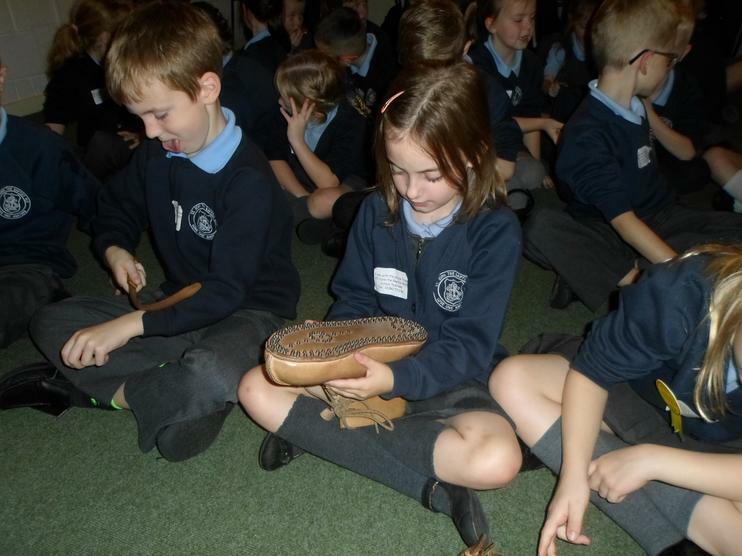 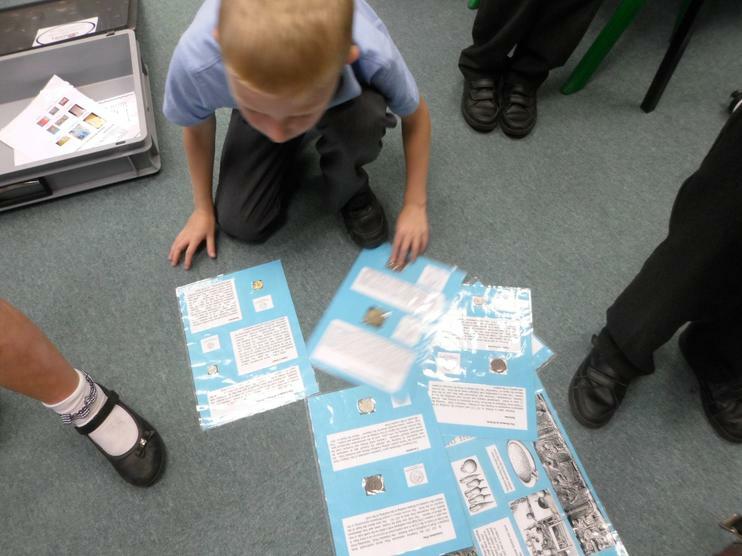 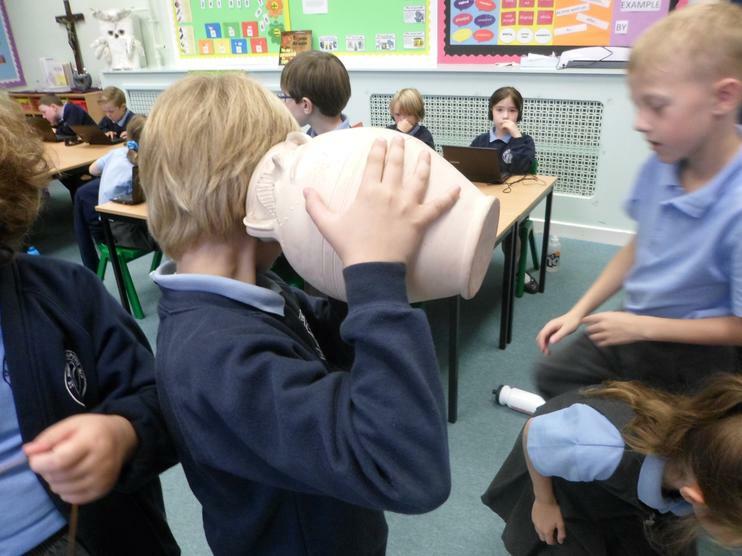 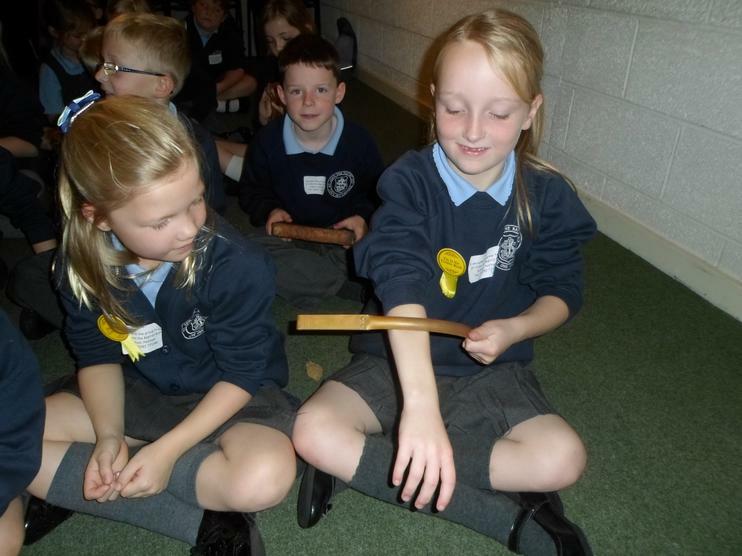 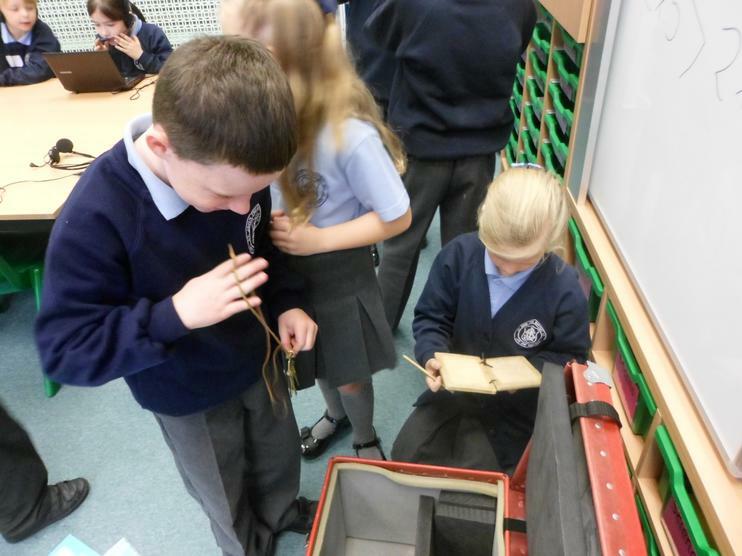 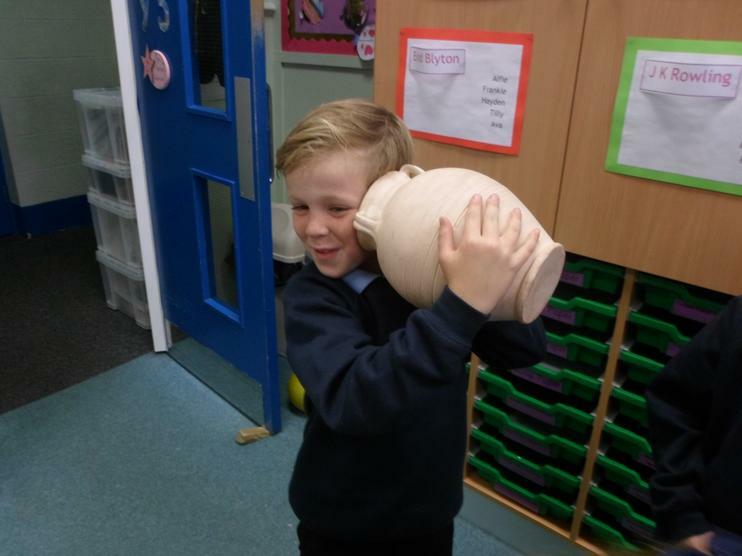 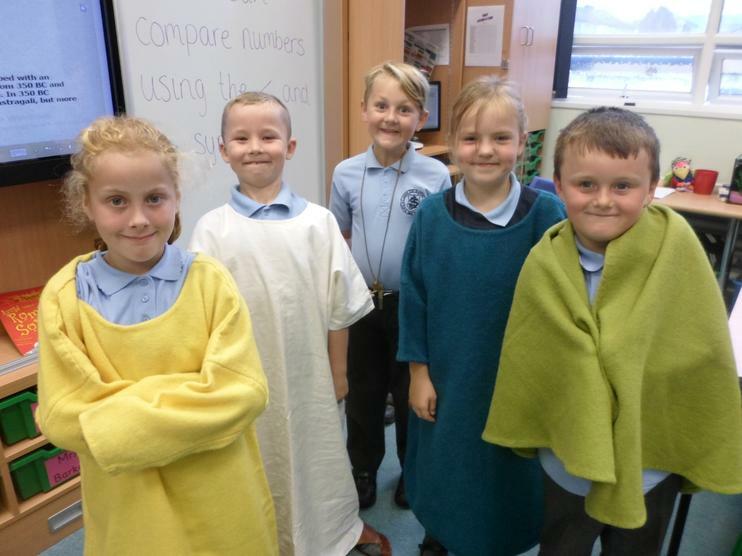 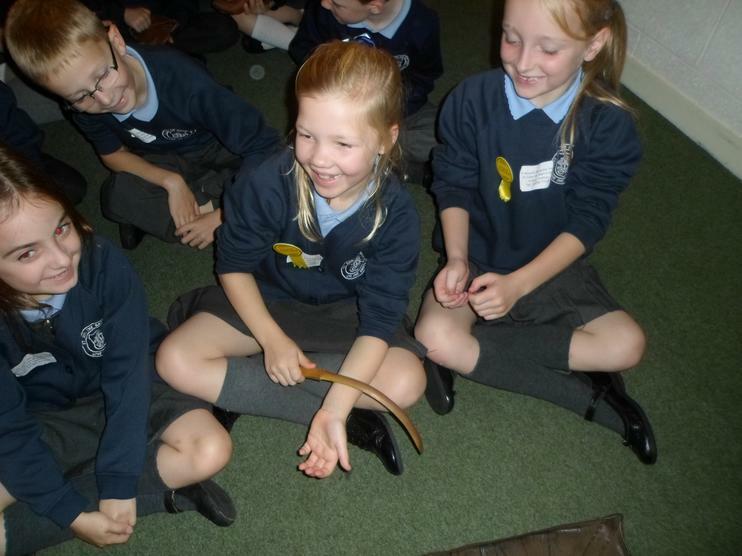 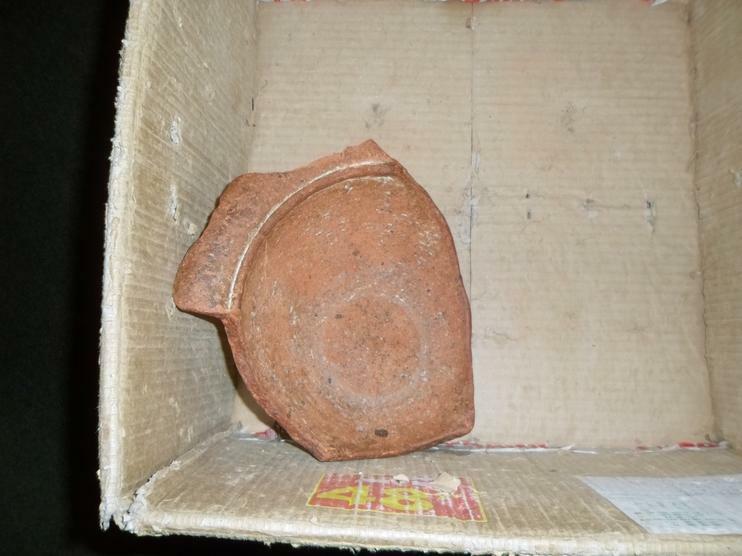 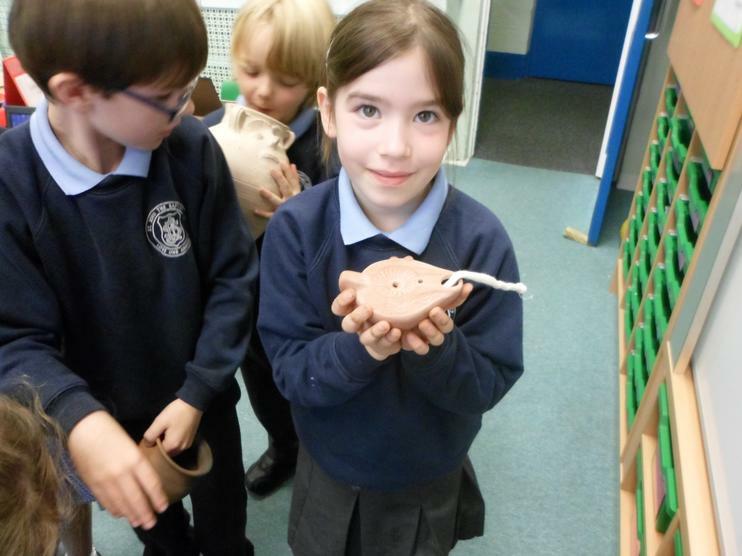 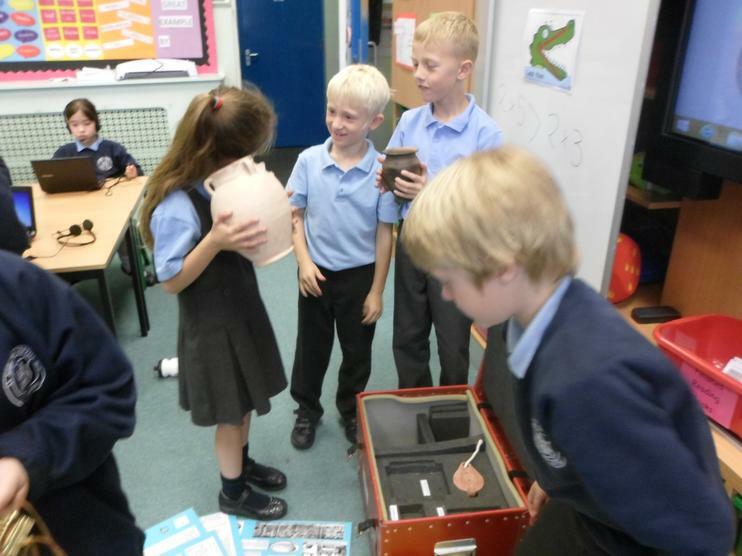 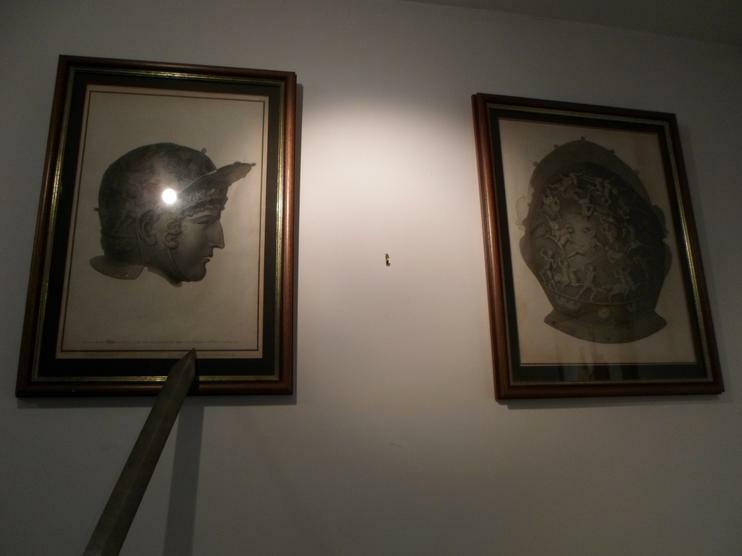 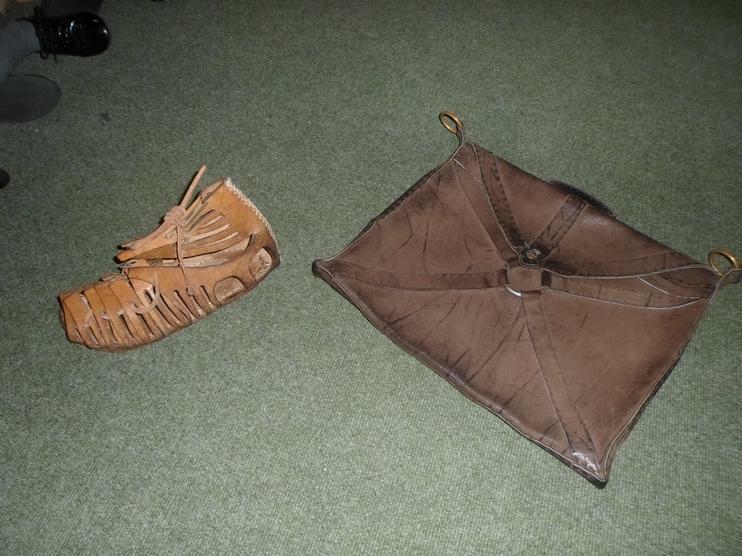 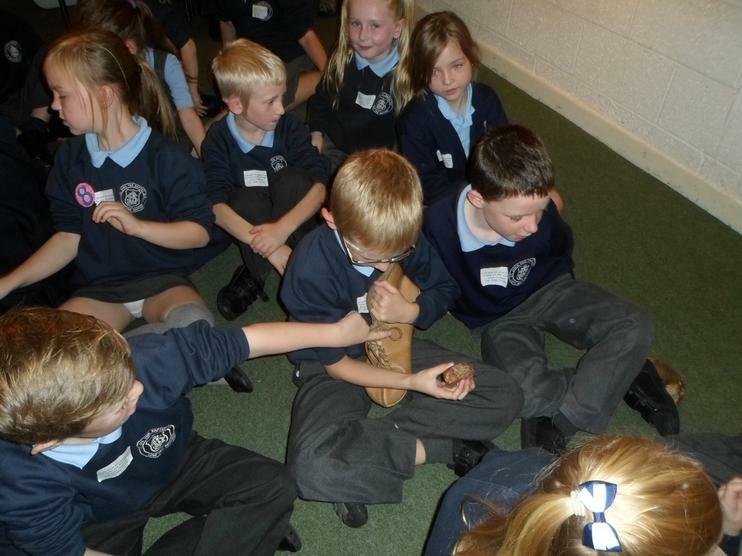 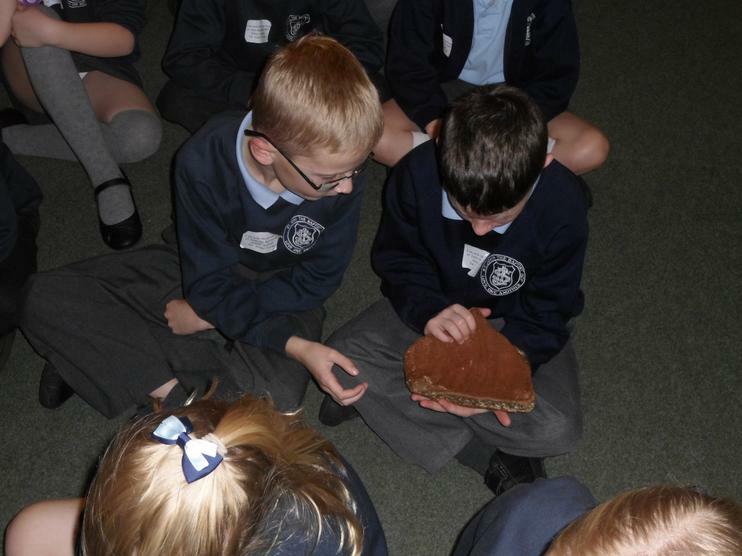 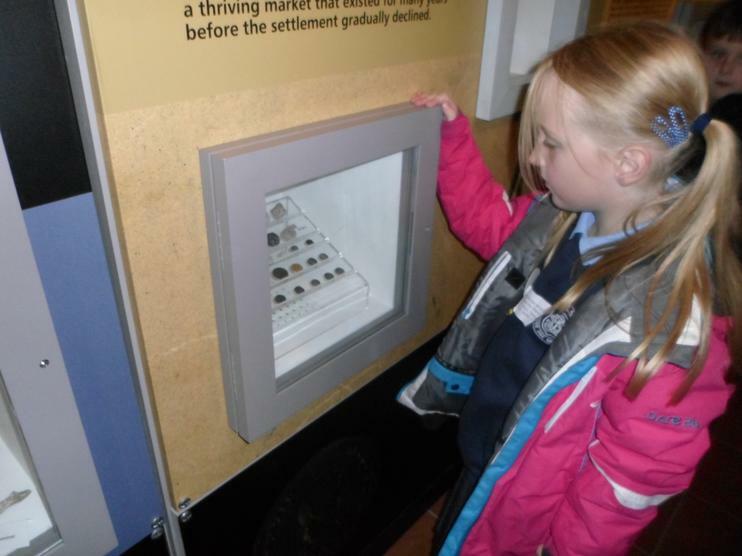 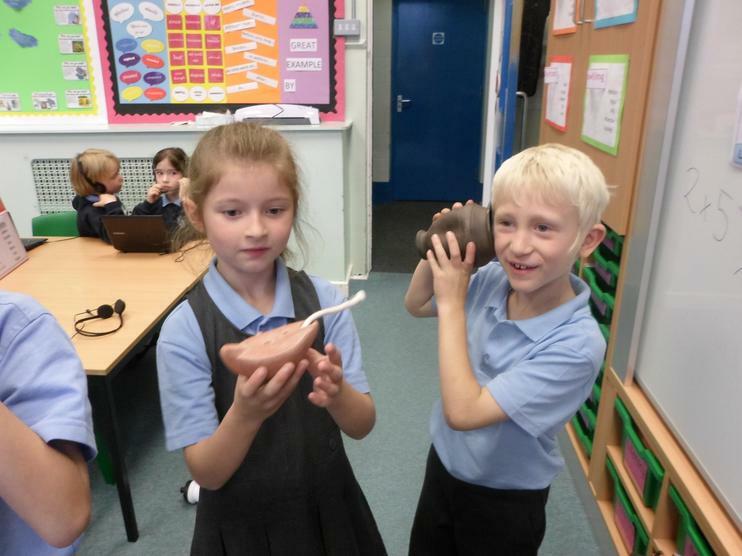 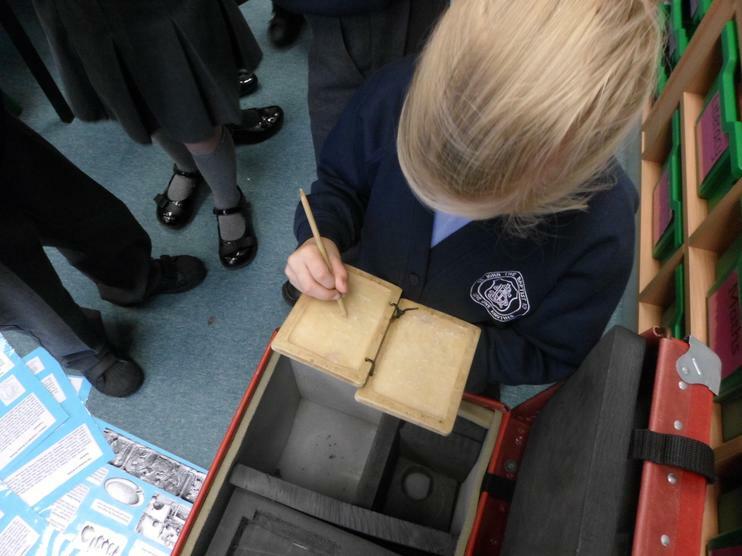 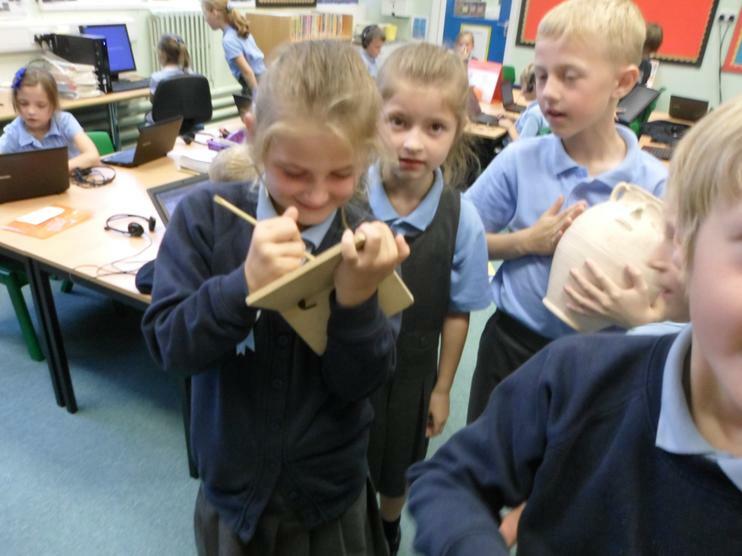 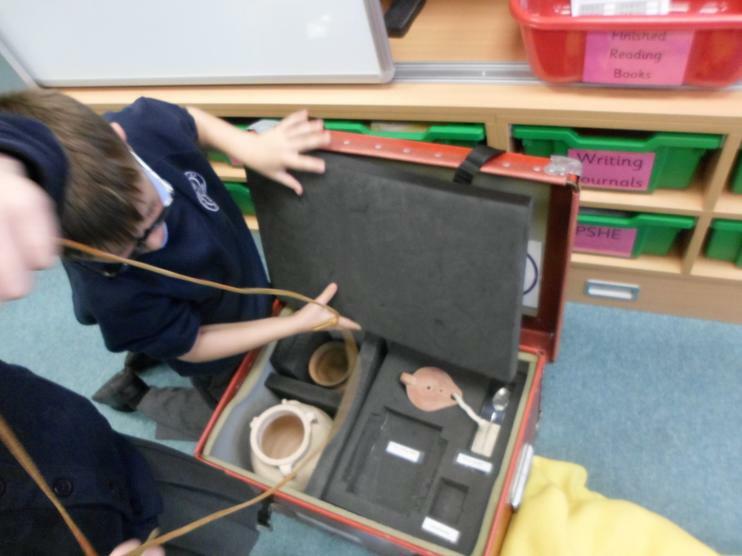 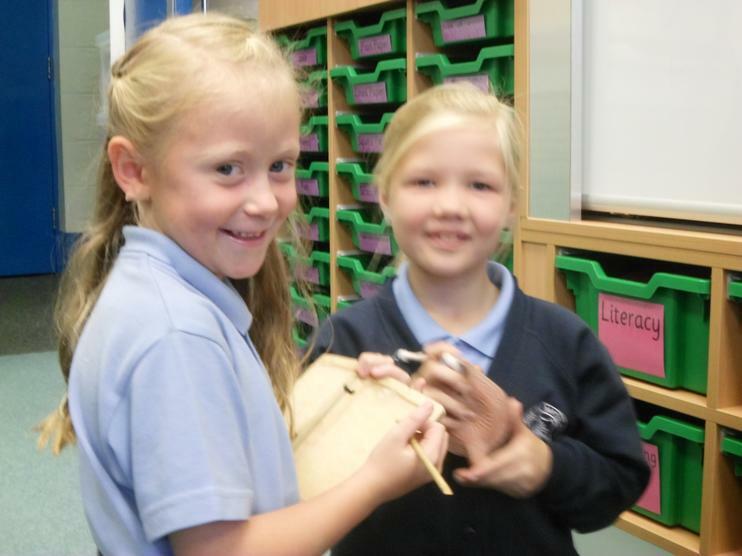 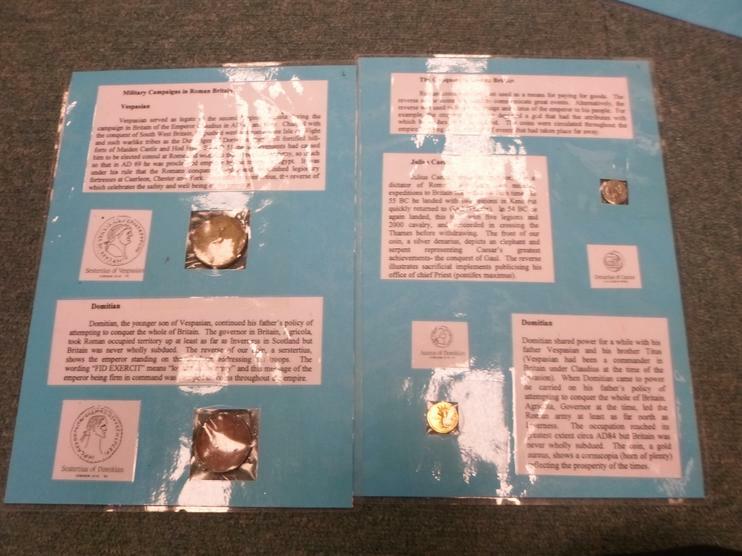 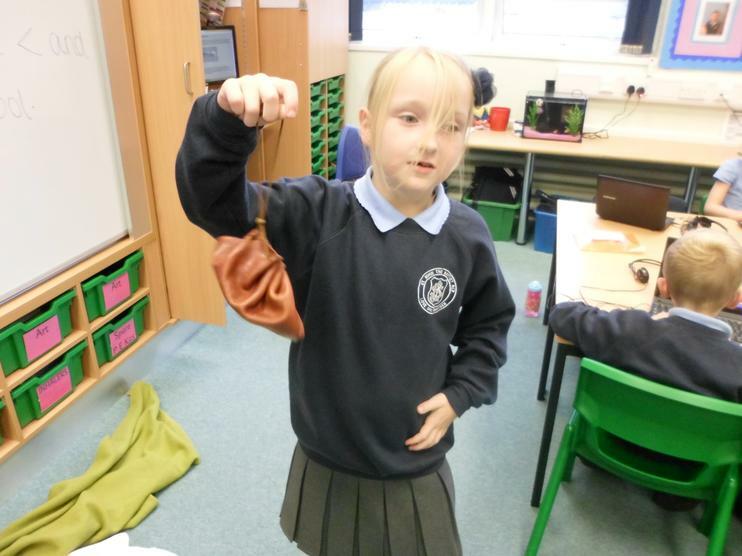 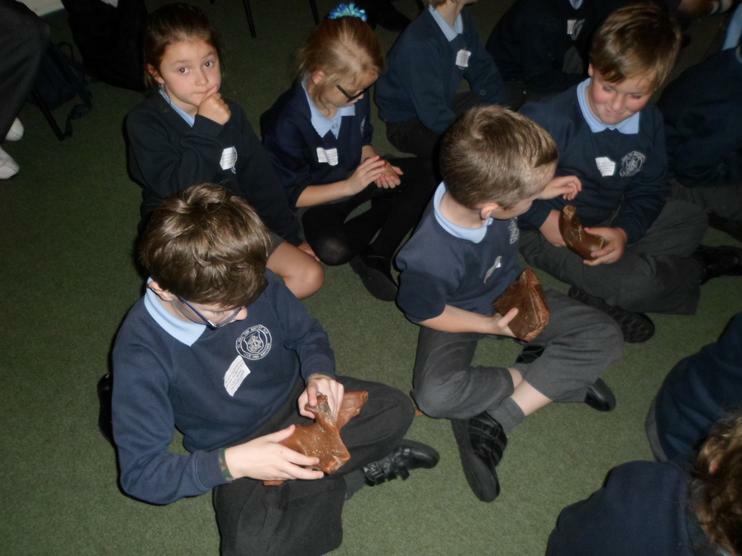 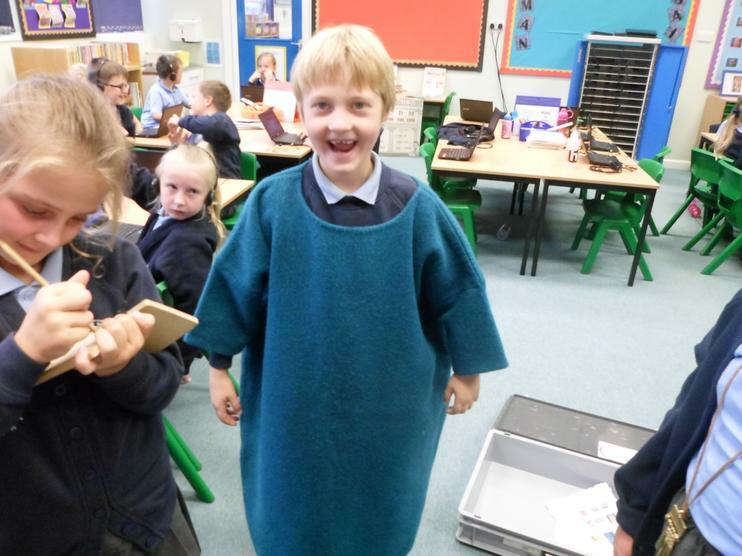 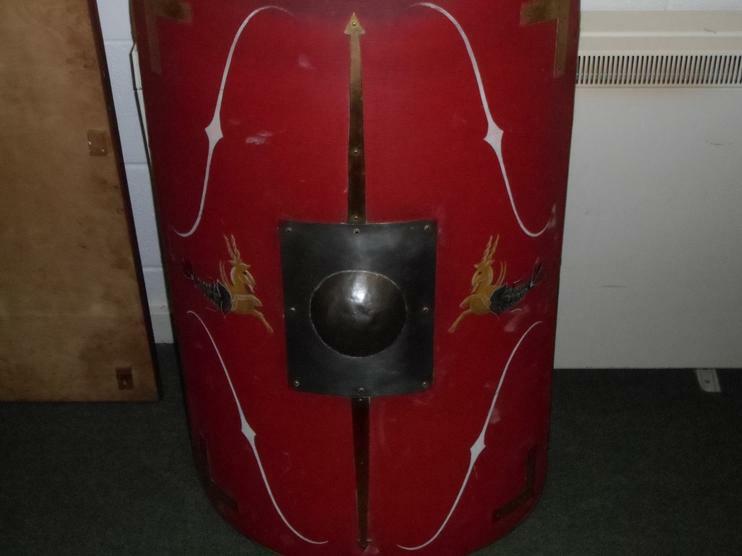 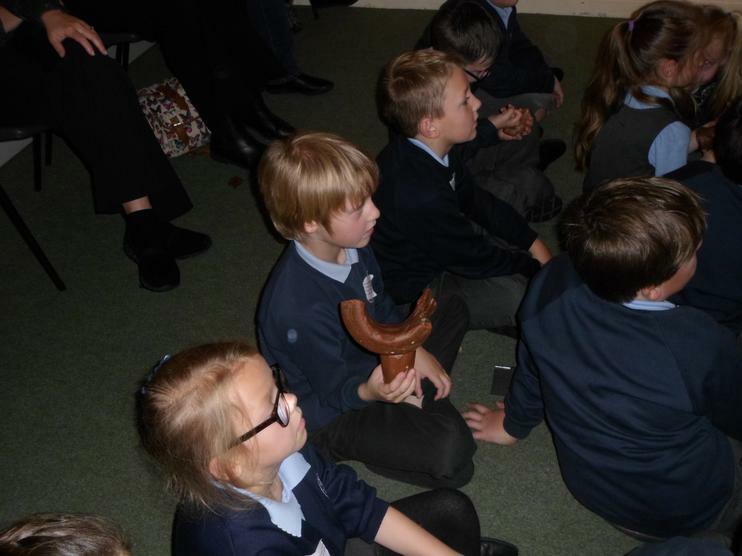 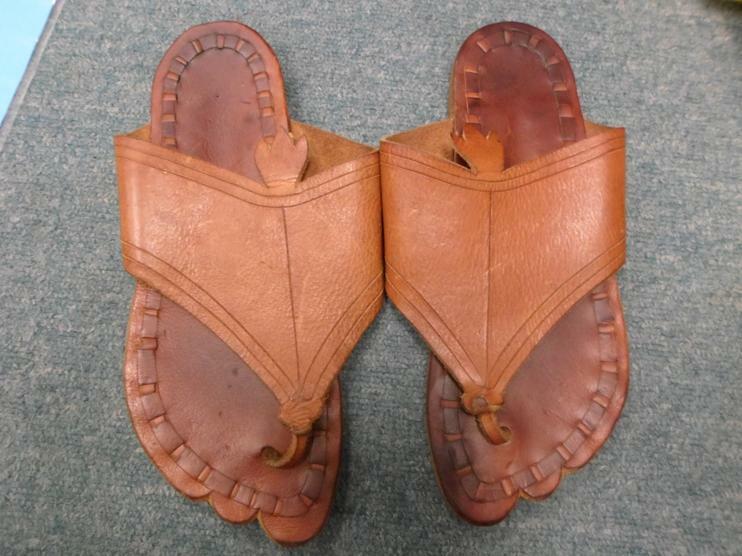 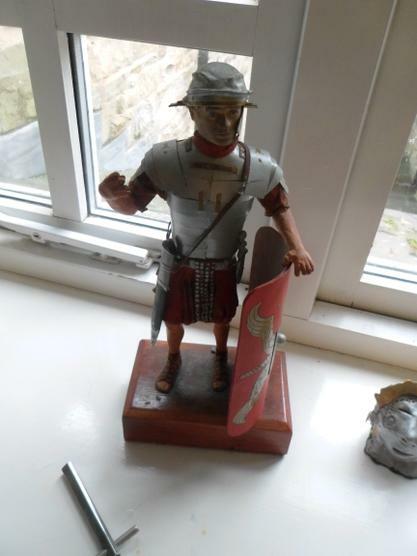 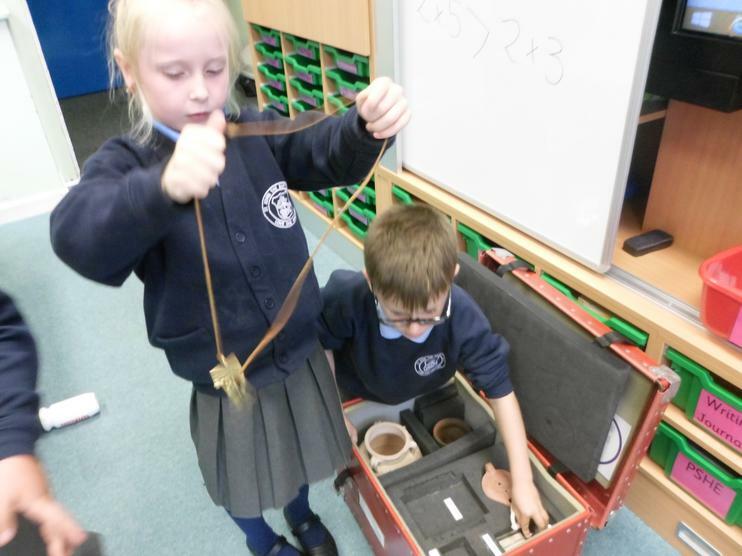 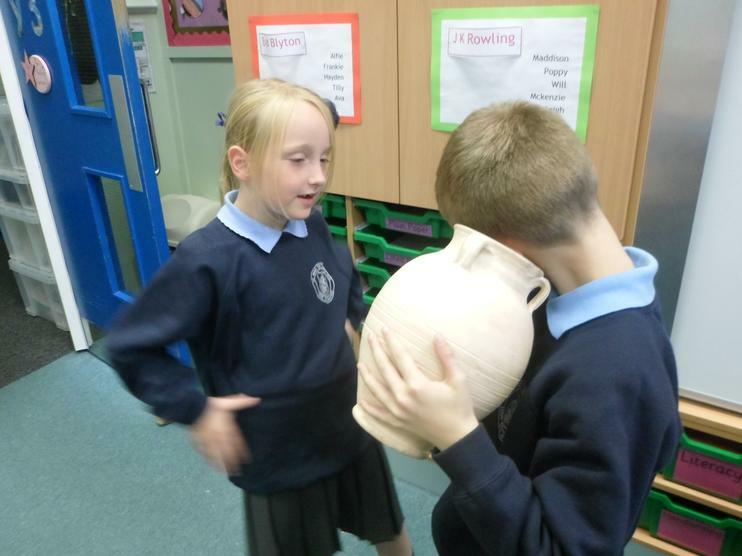 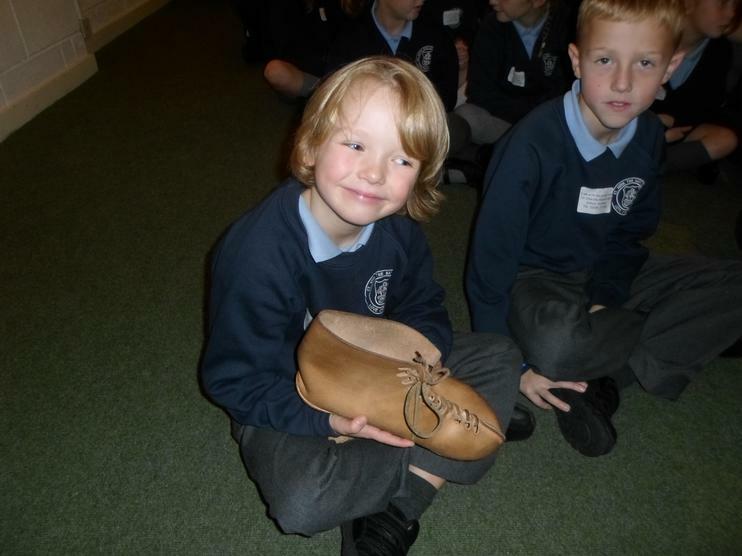 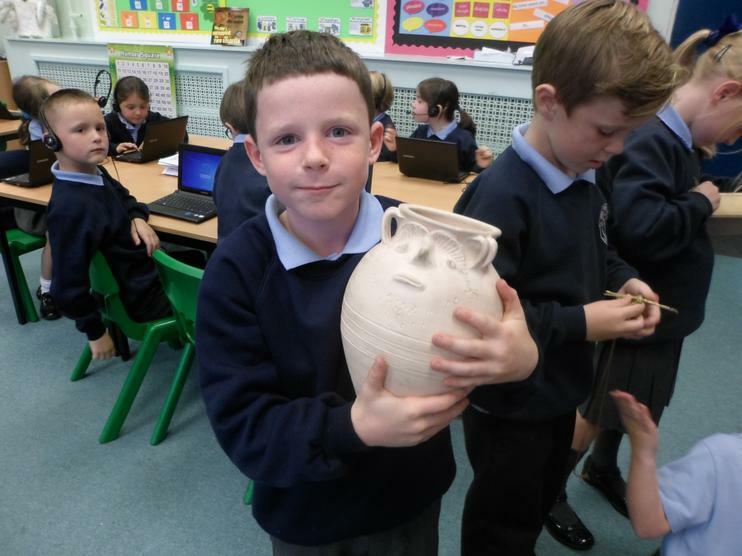 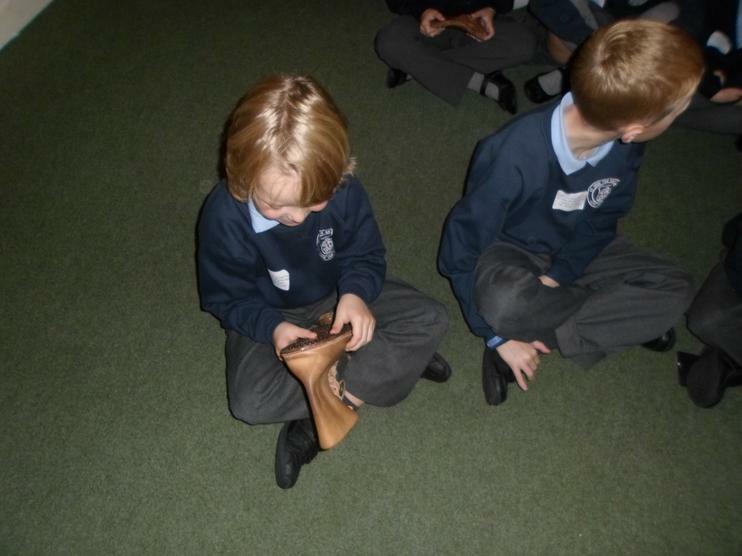 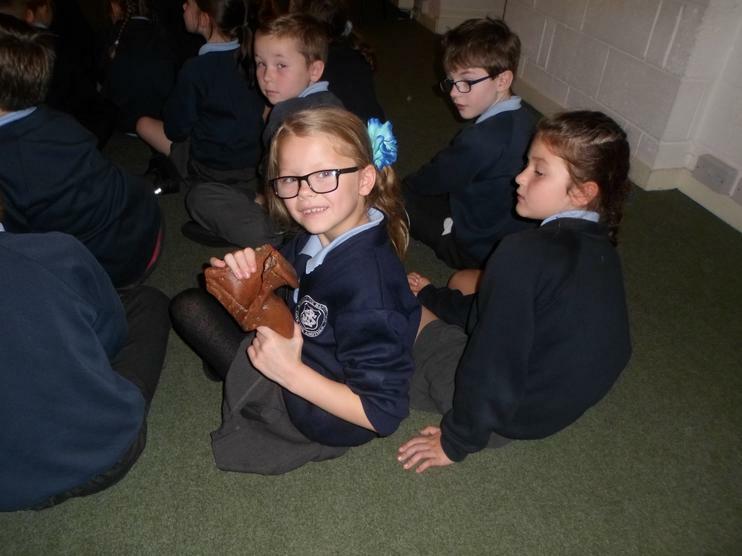 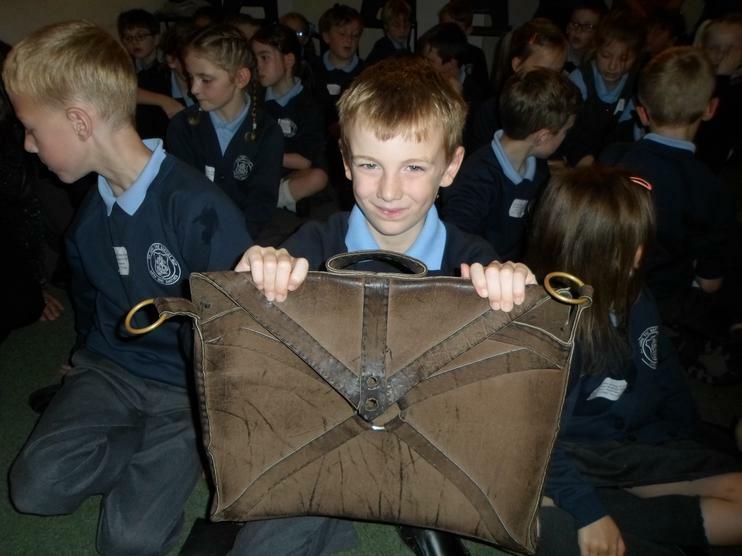 To start off our topic, we enjoyed looking at our Roman museum loan. 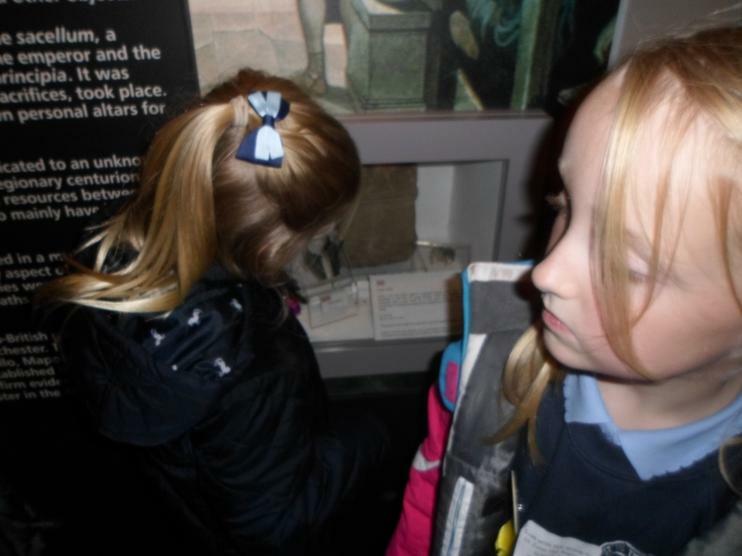 We were really interested to look at all the things inside! 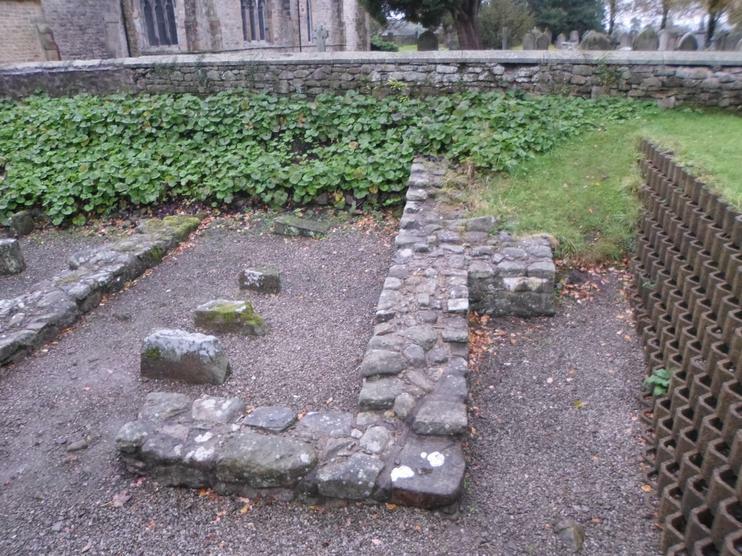 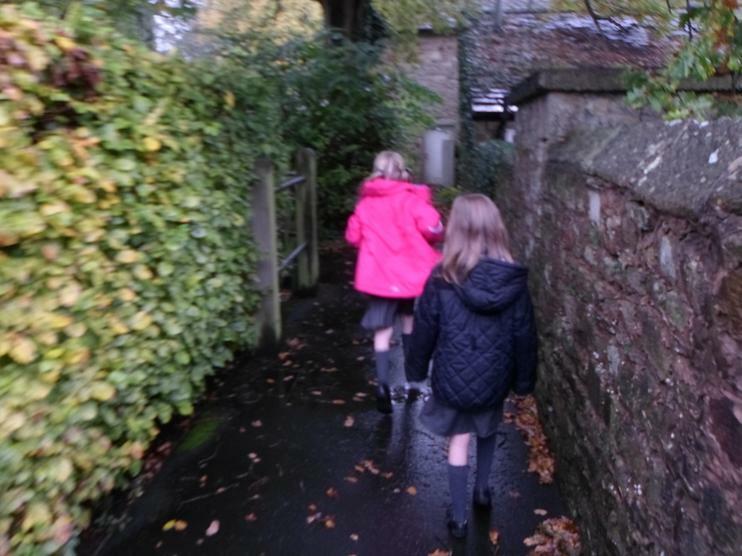 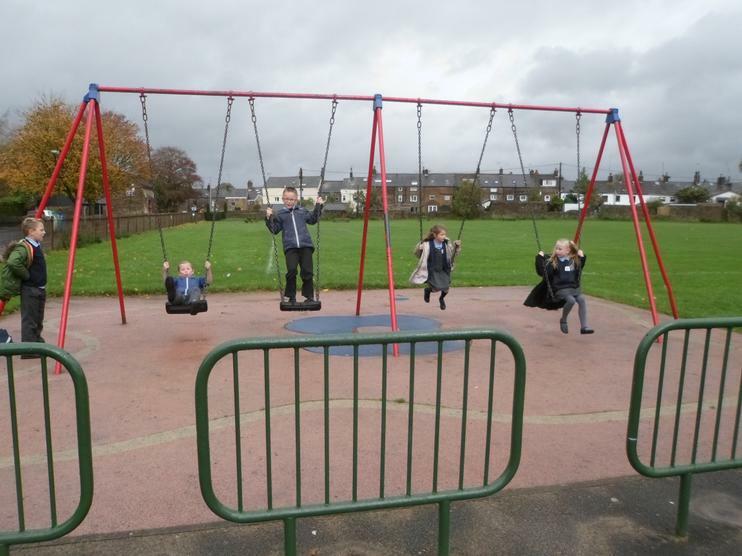 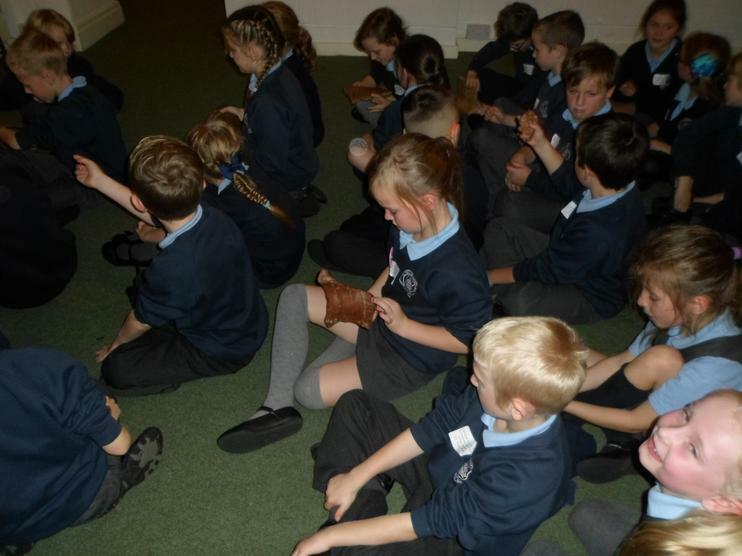 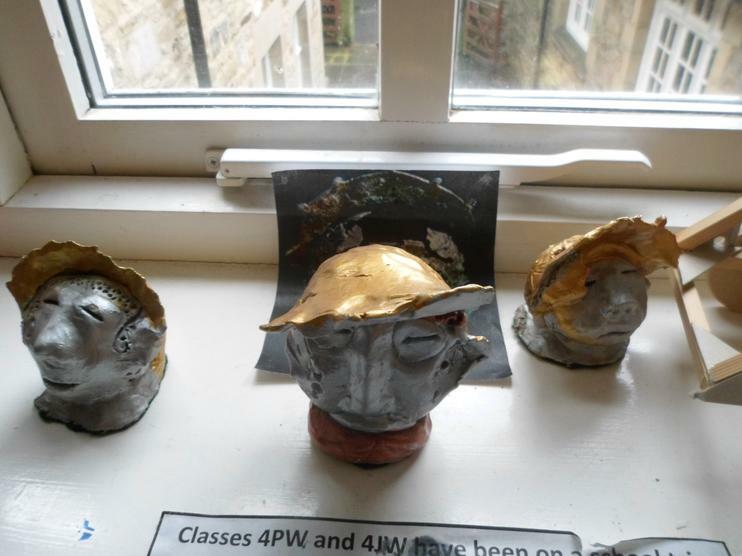 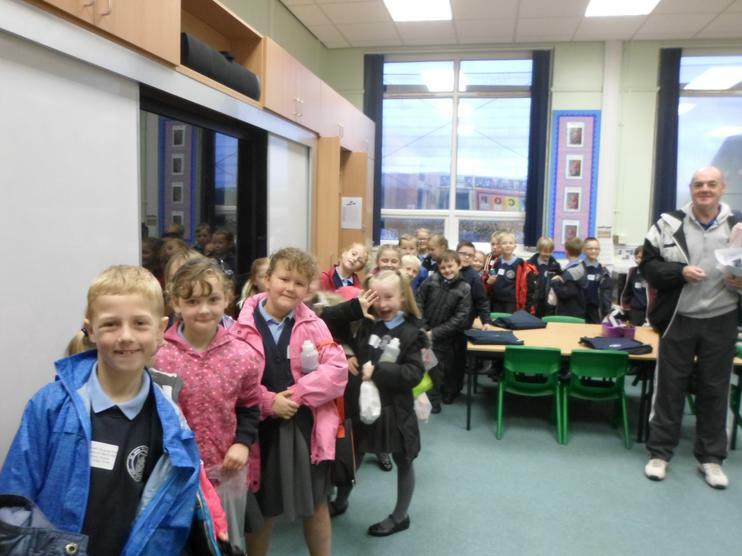 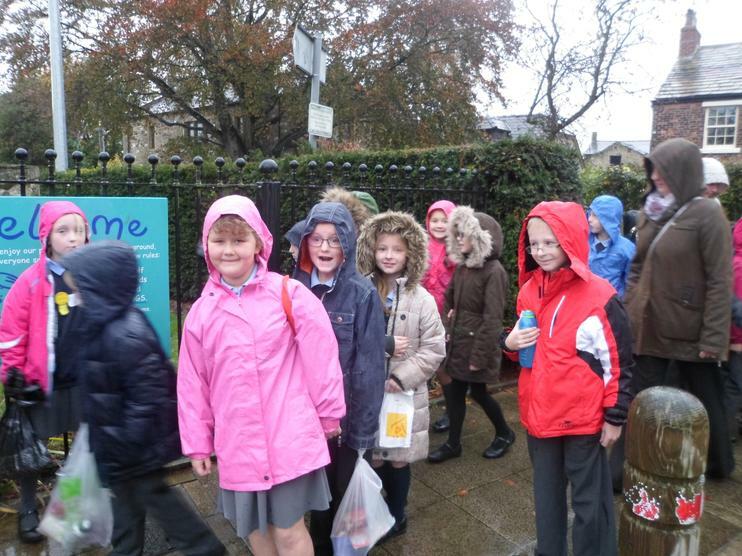 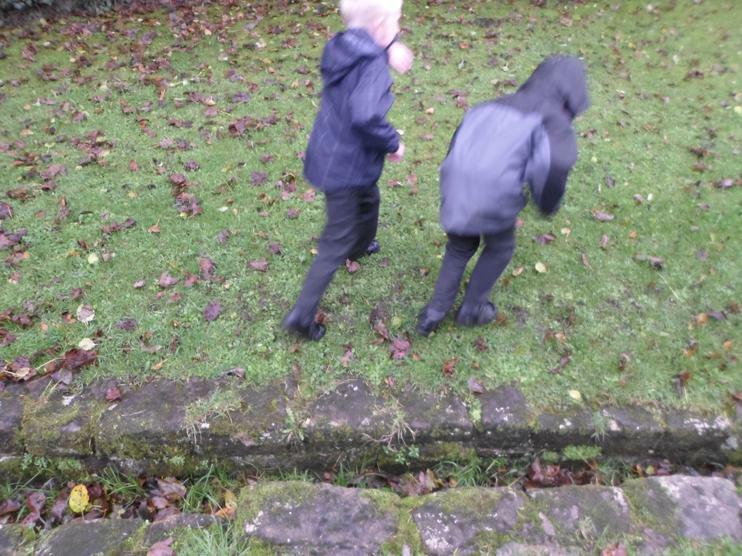 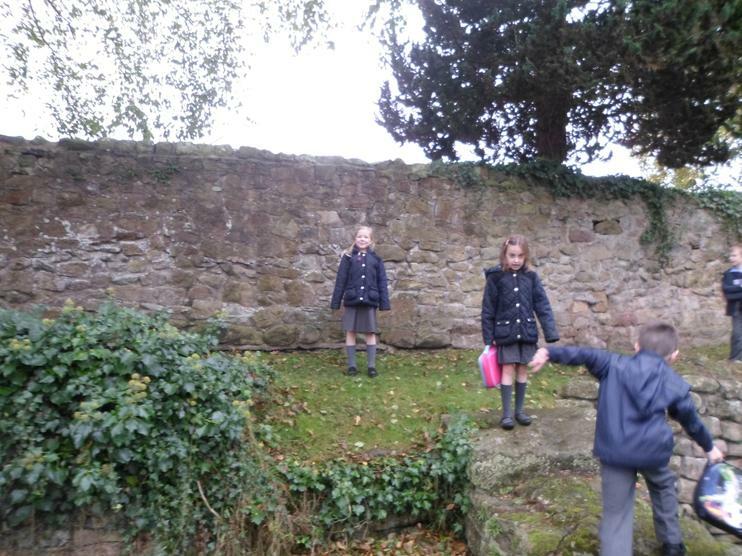 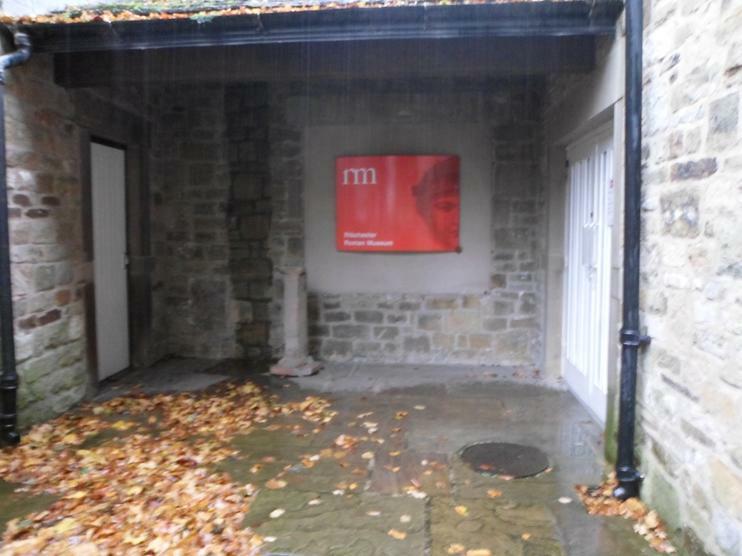 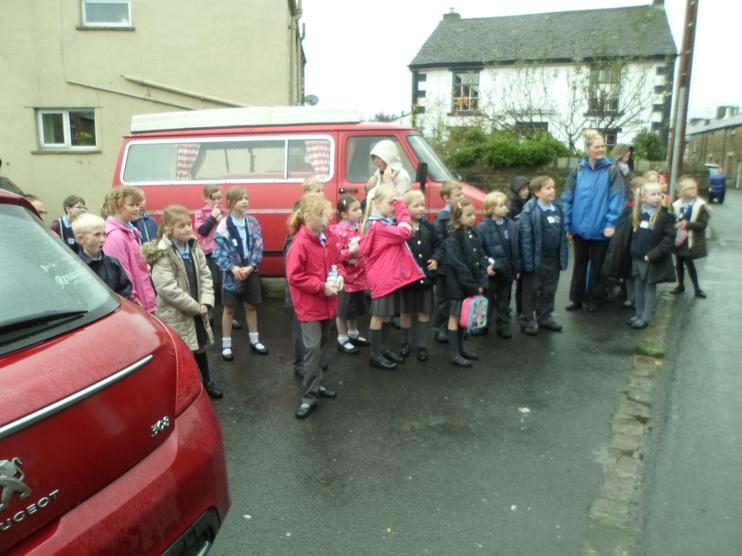 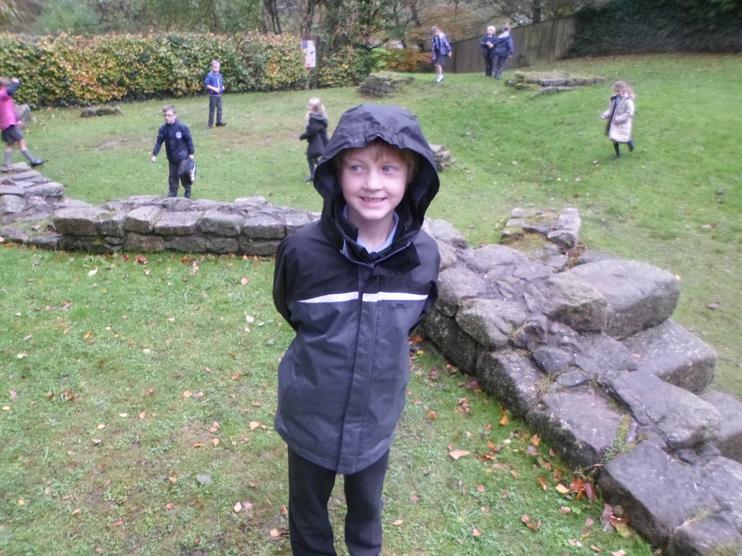 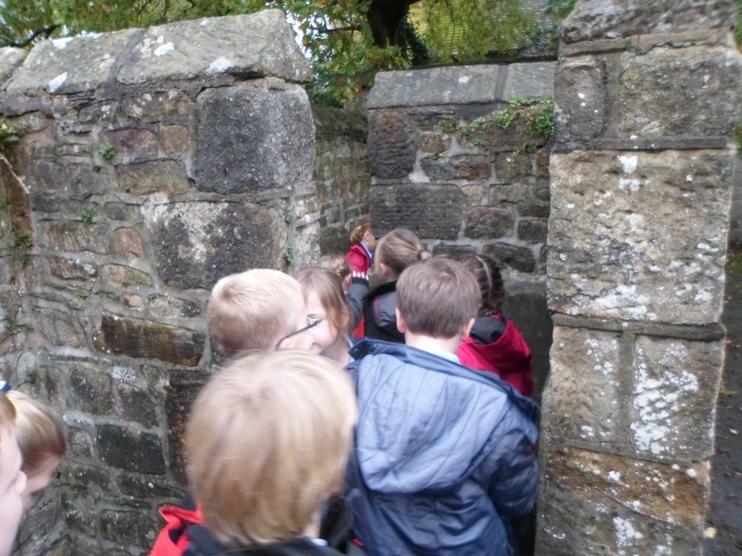 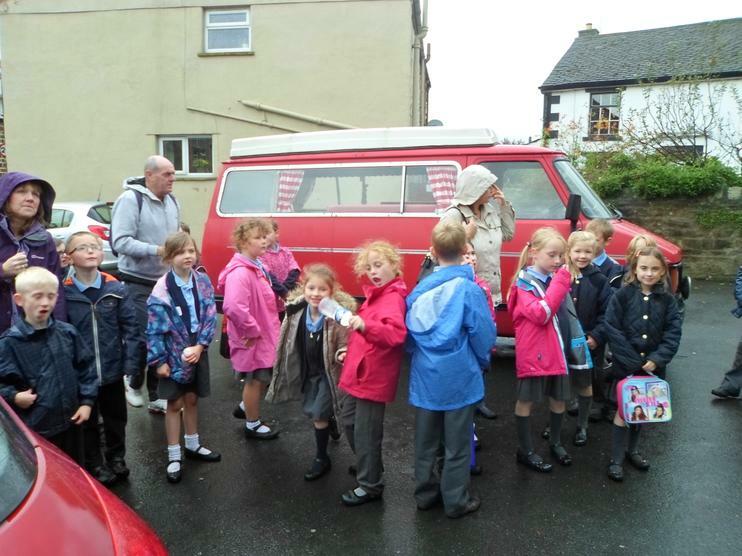 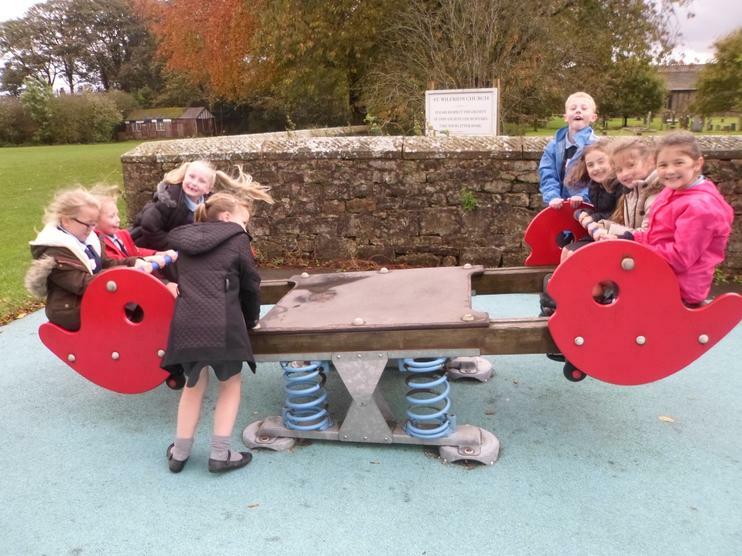 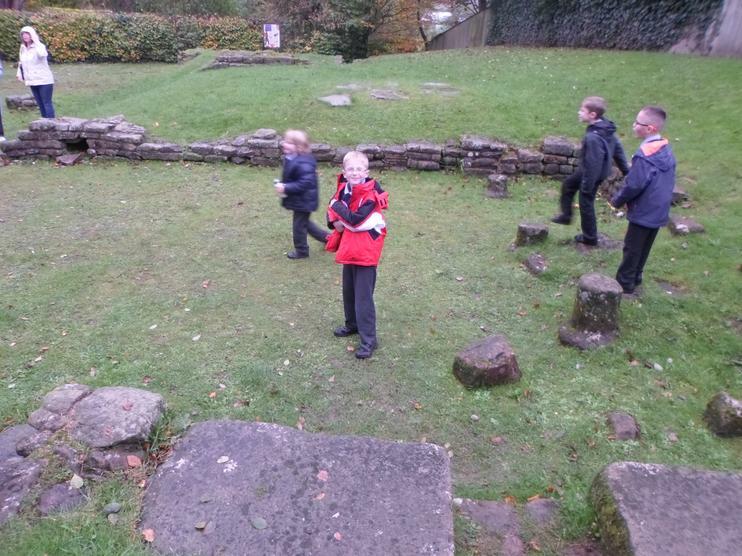 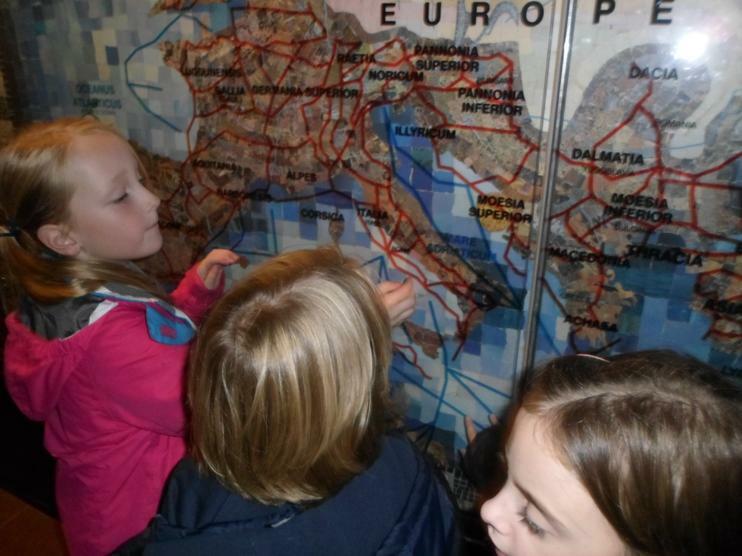 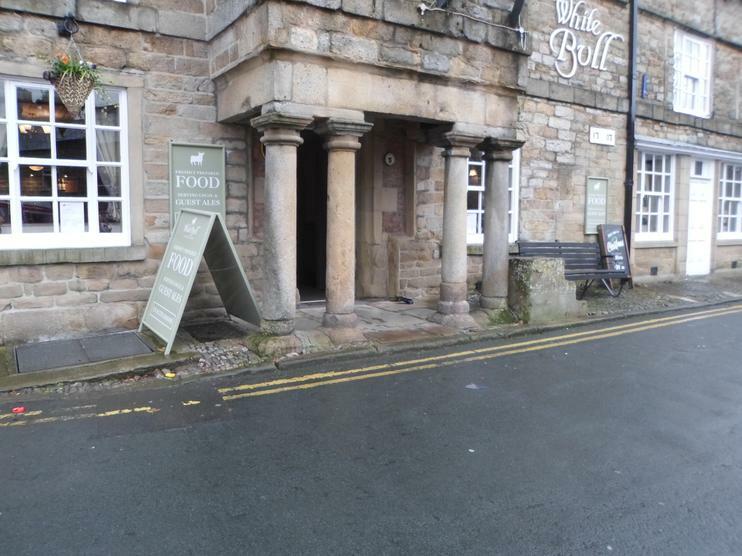 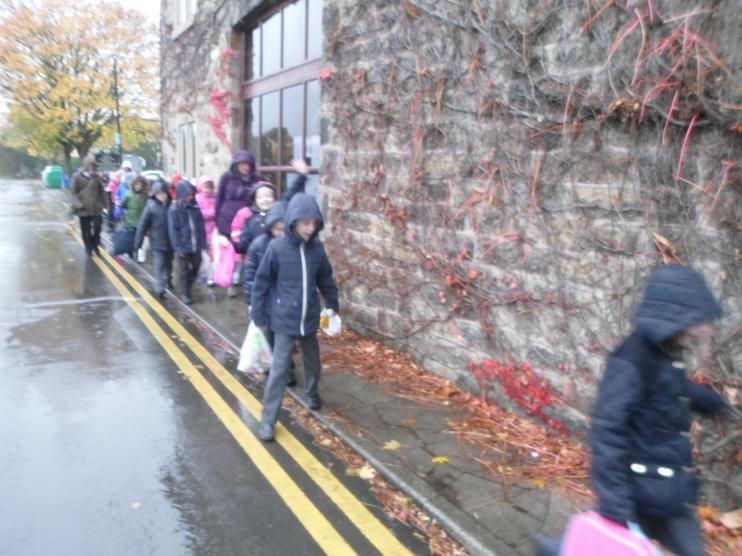 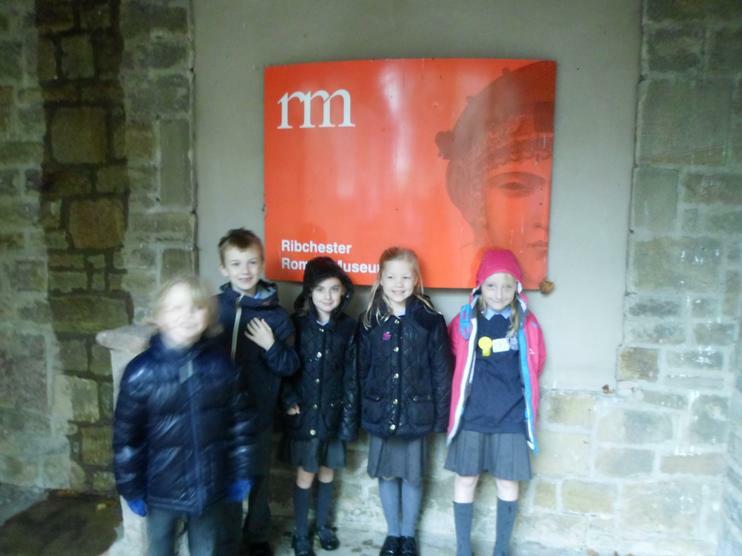 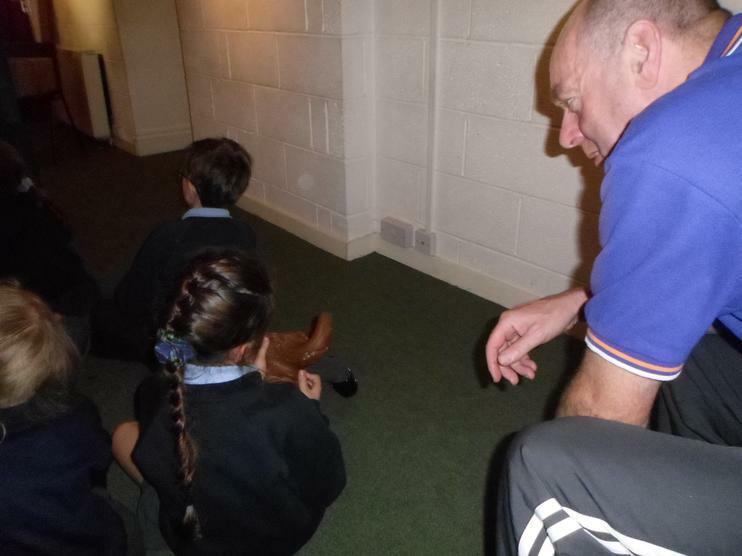 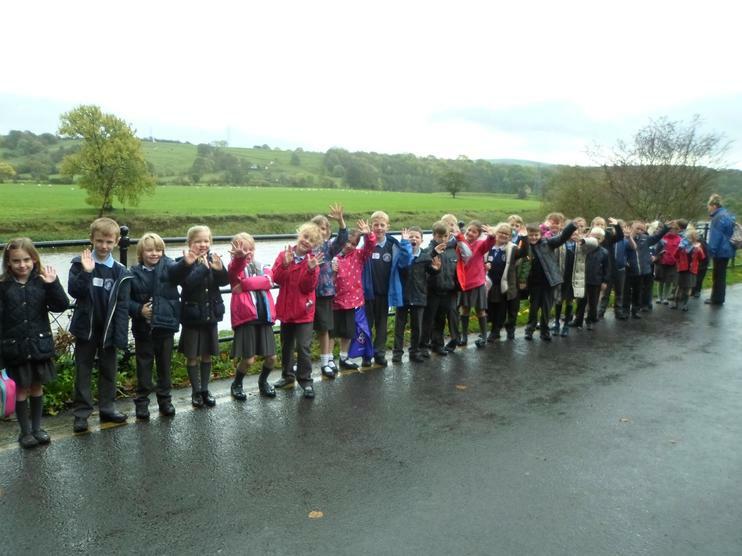 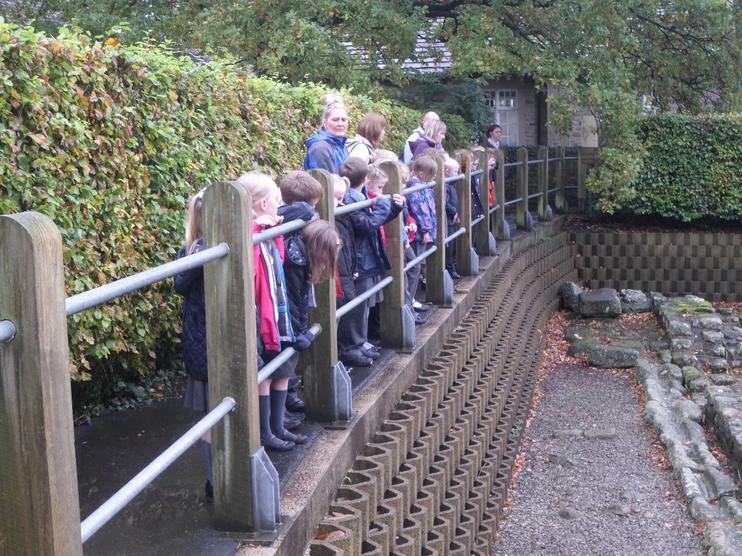 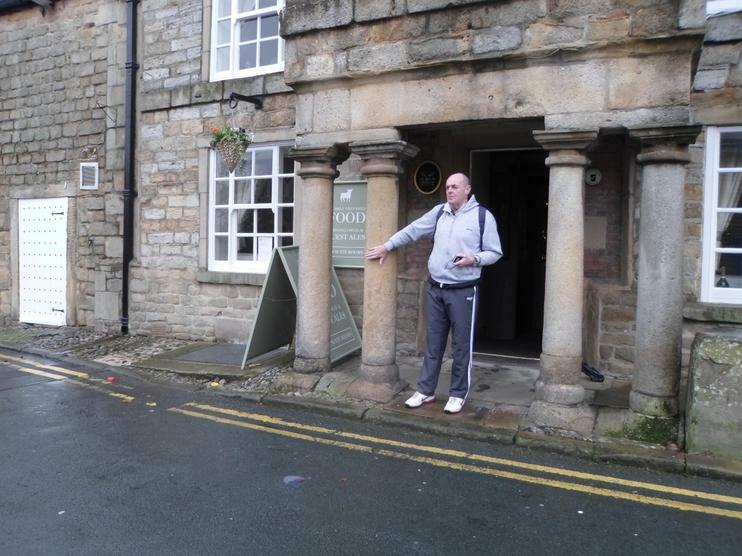 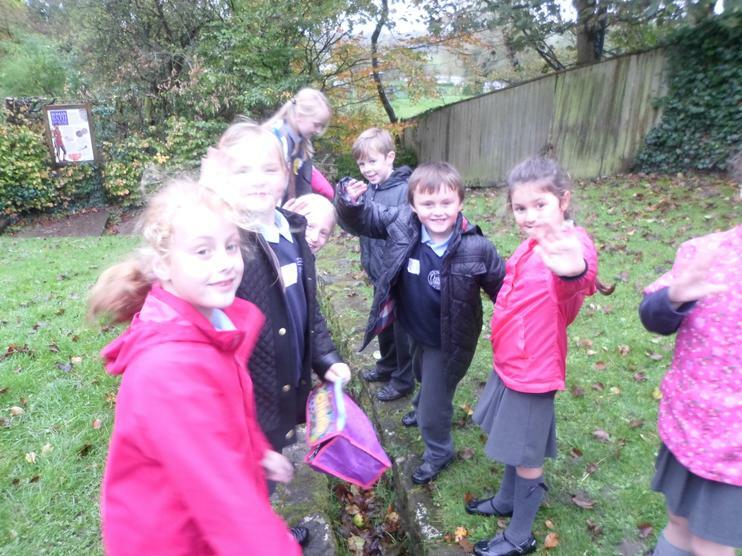 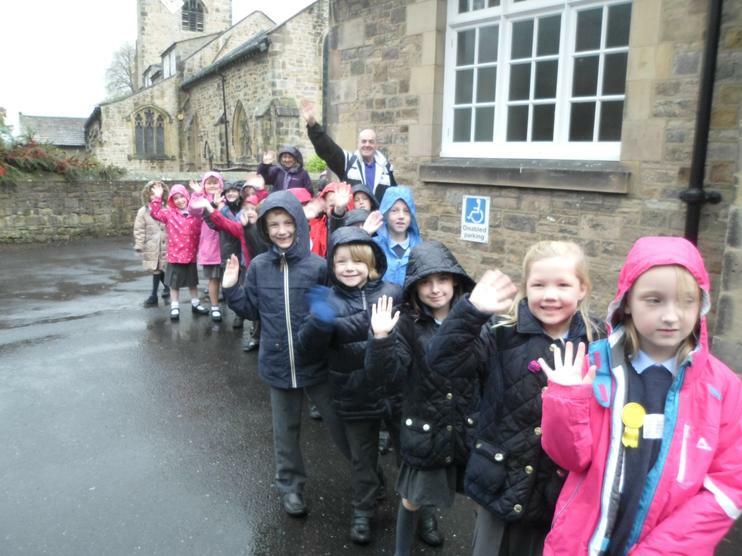 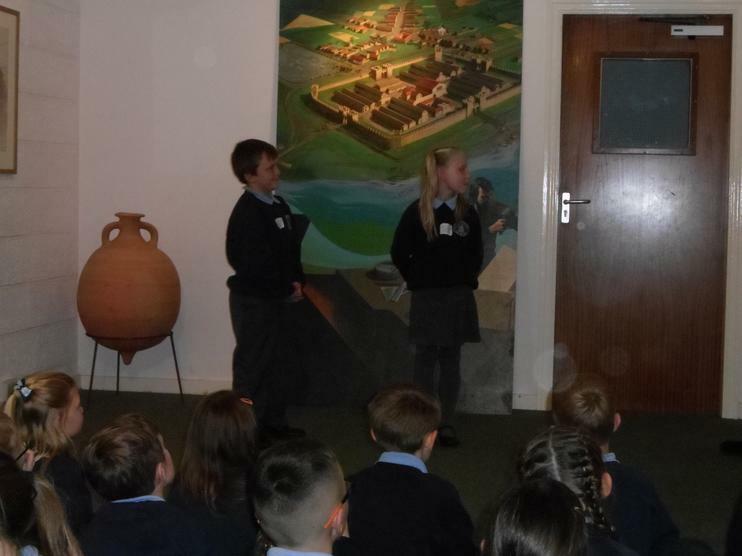 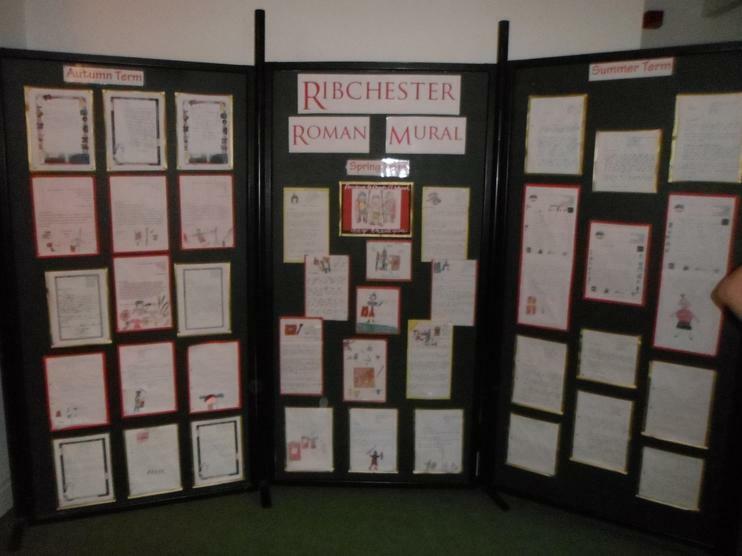 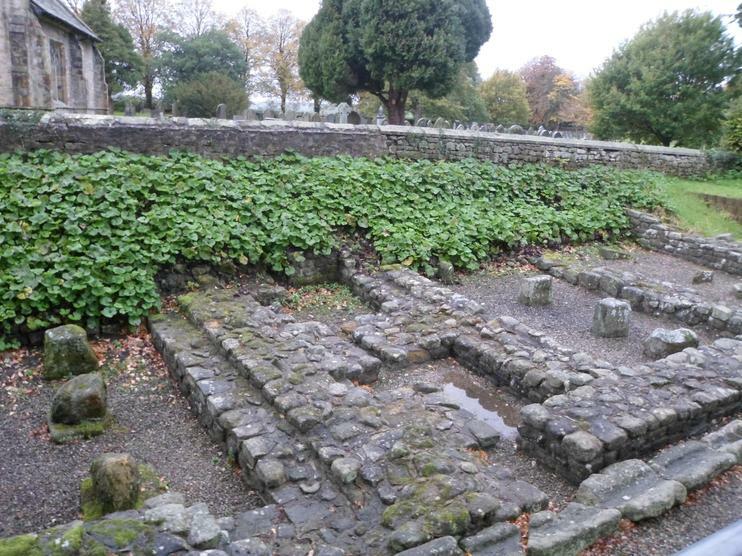 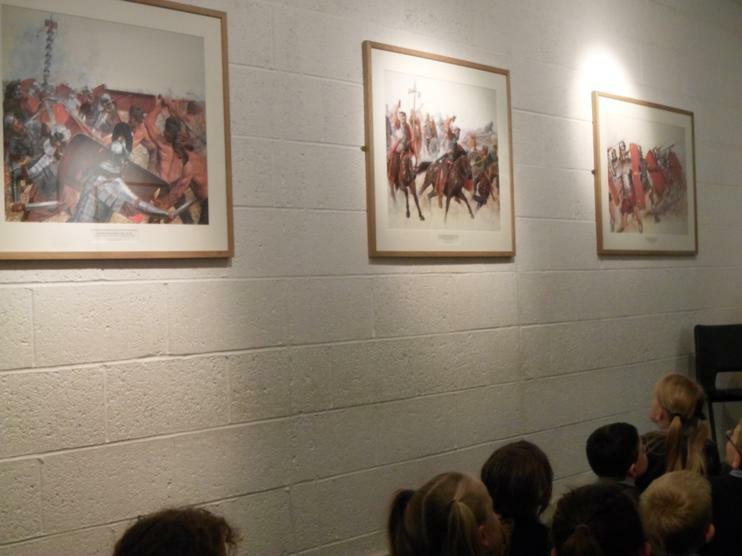 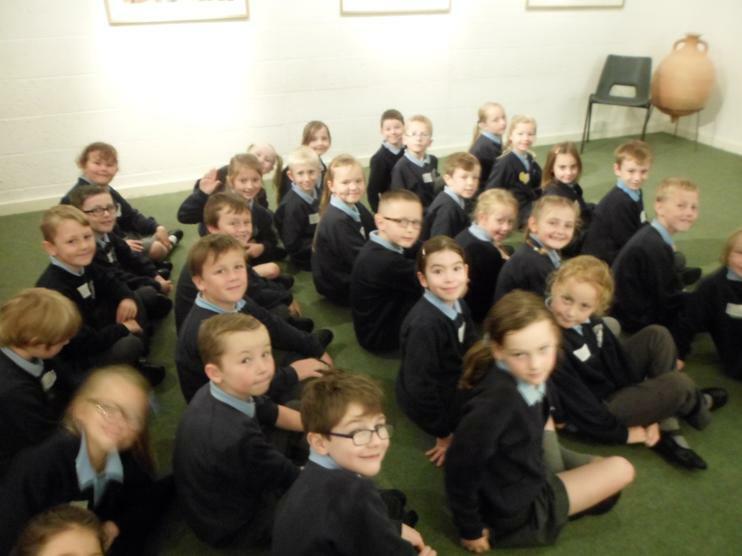 On a windy and rainy Monday 20th October, we set off to Ribchester to finish our topic and learn more about the Romans. 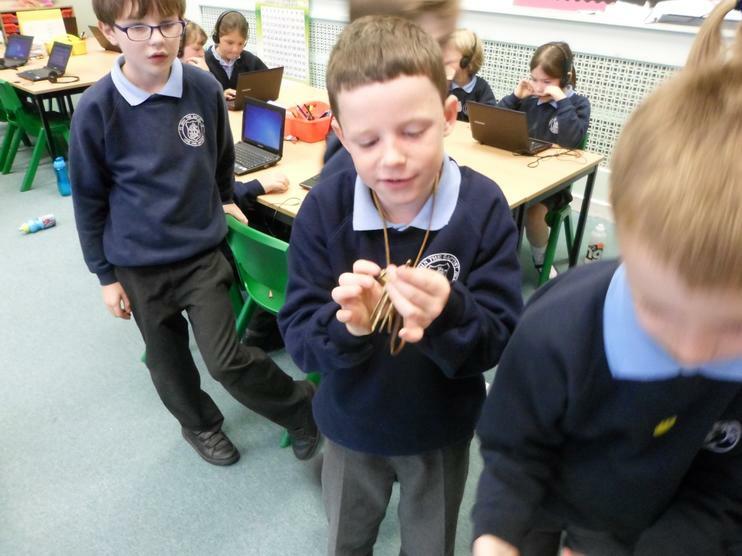 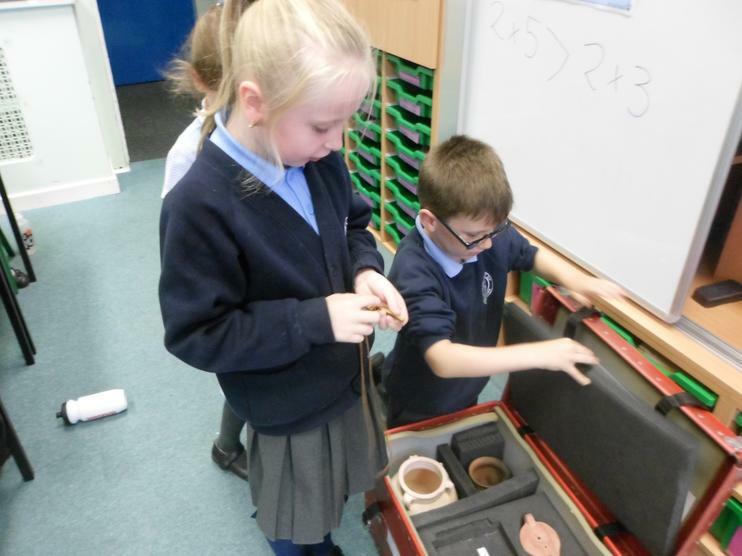 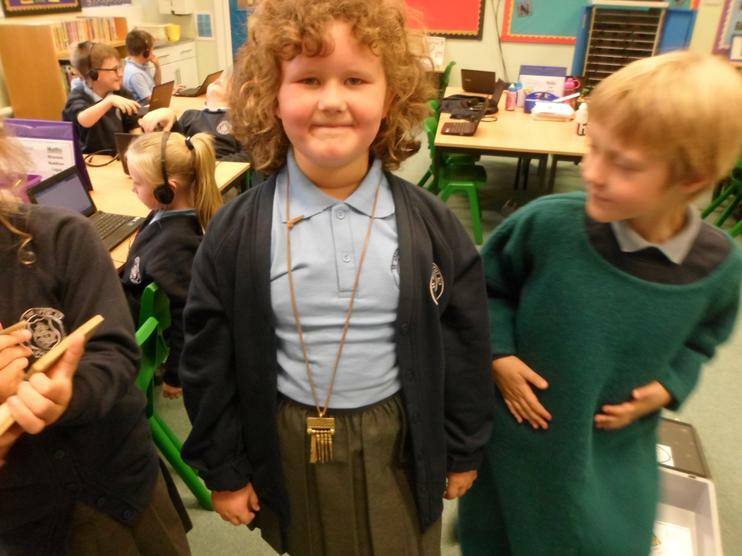 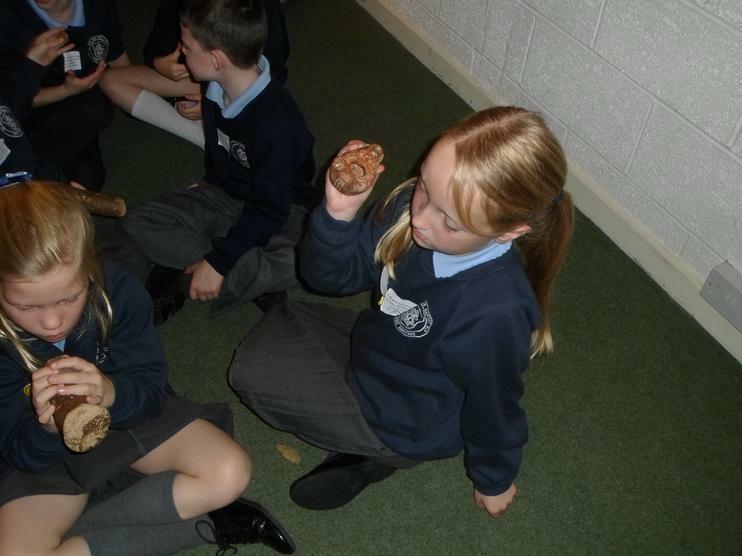 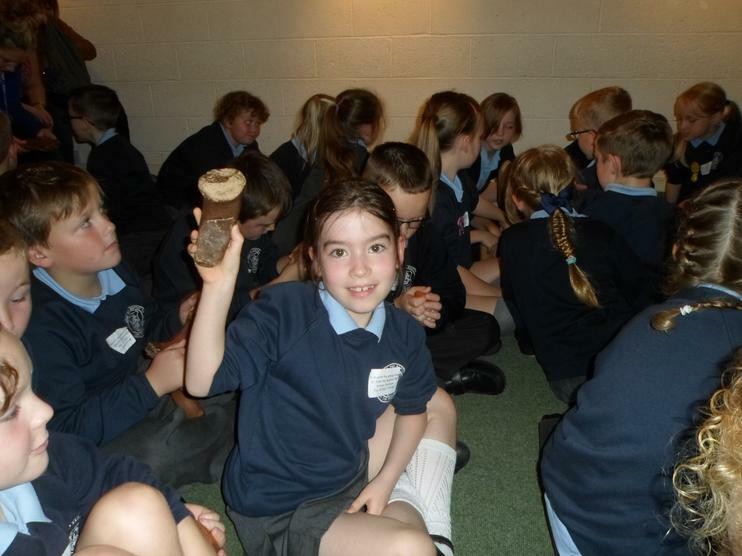 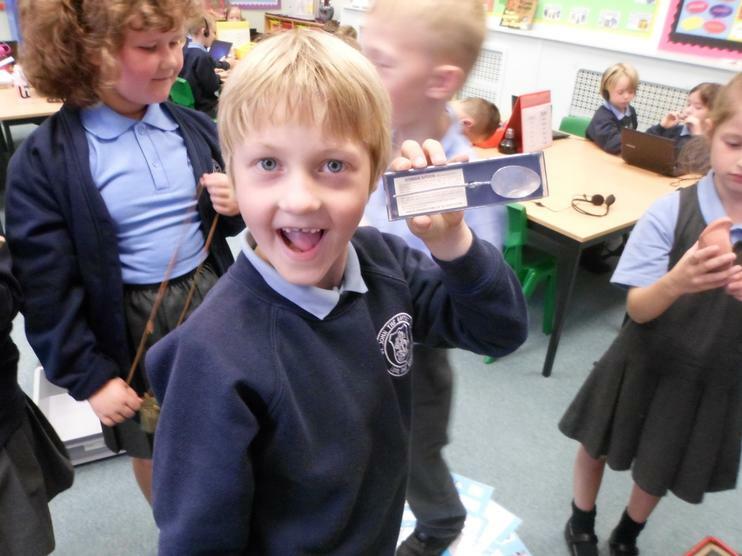 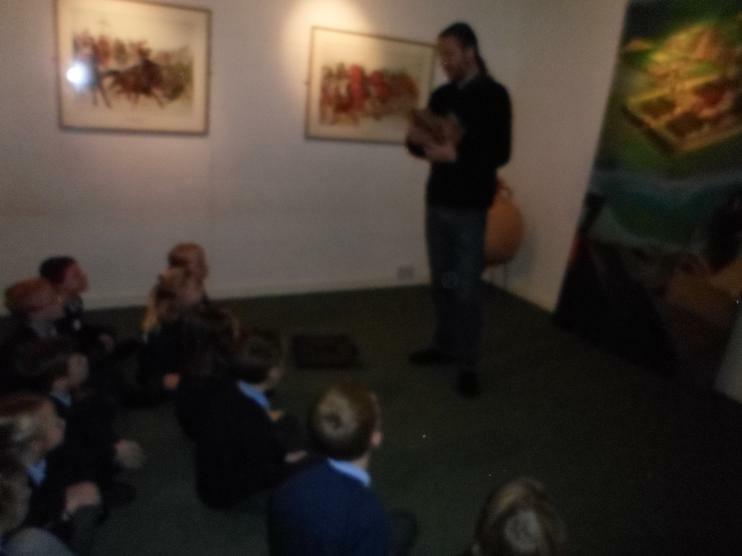 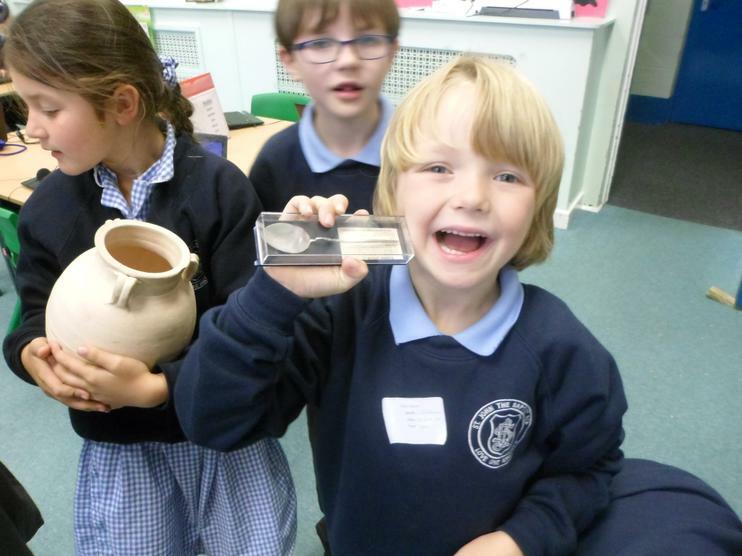 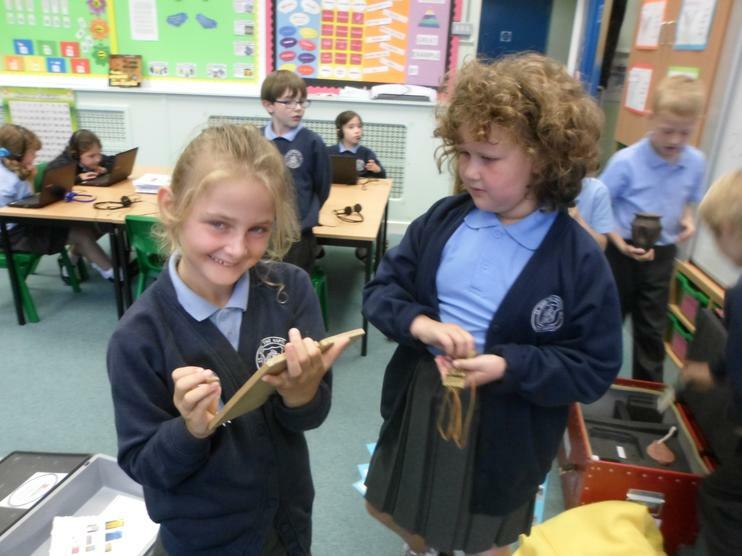 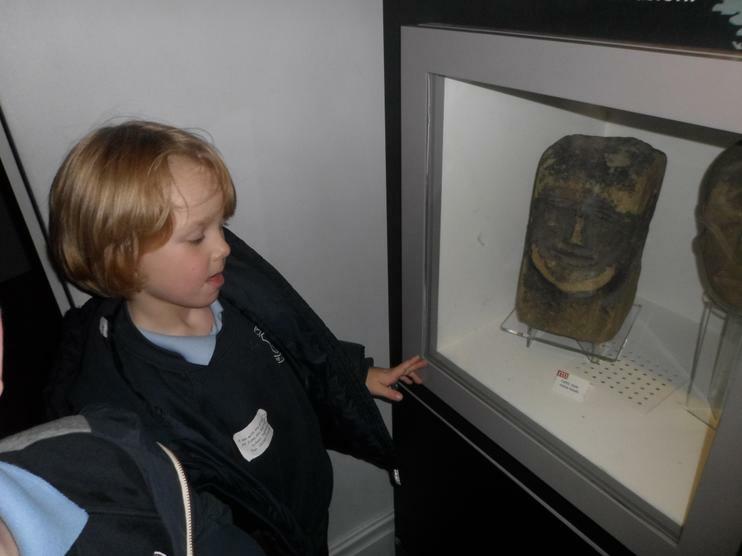 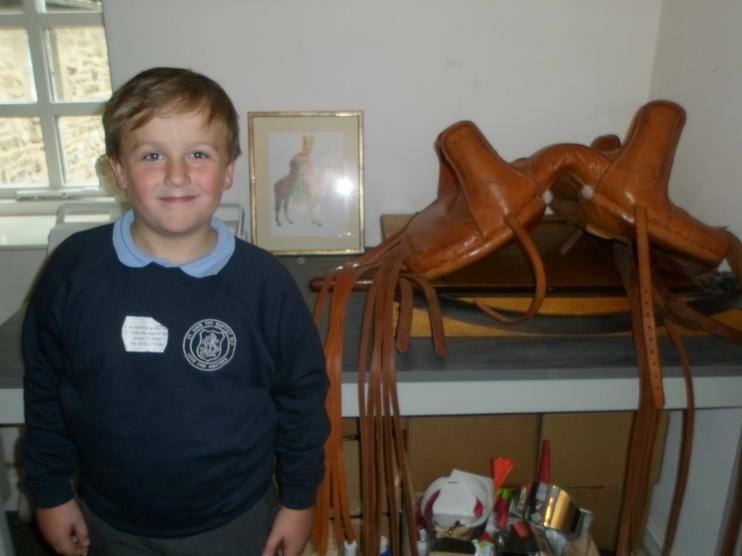 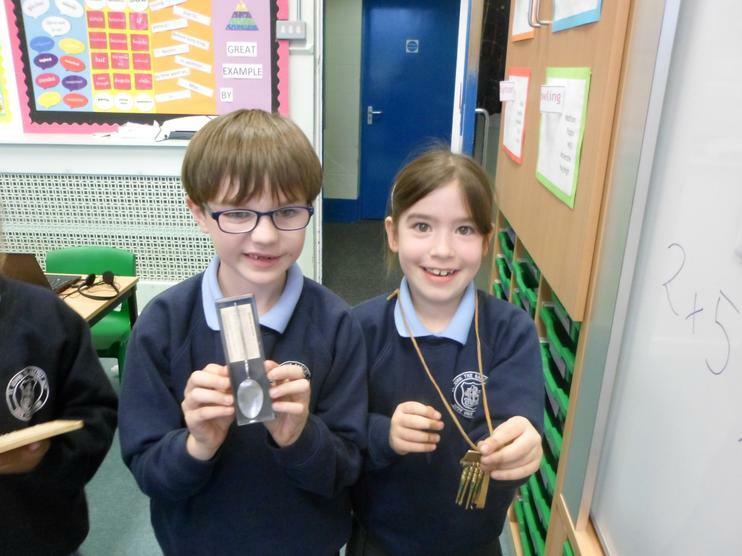 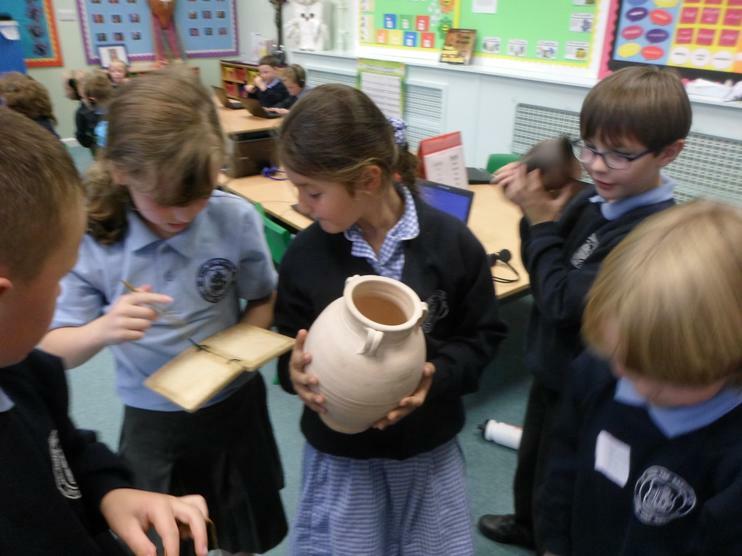 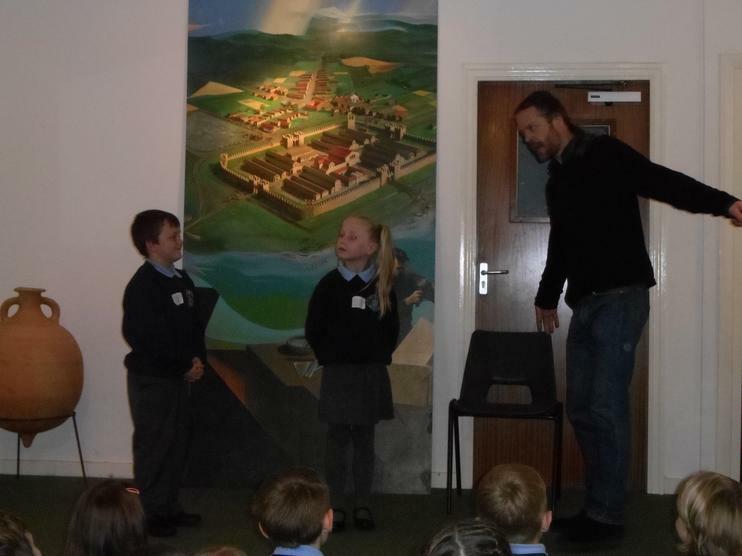 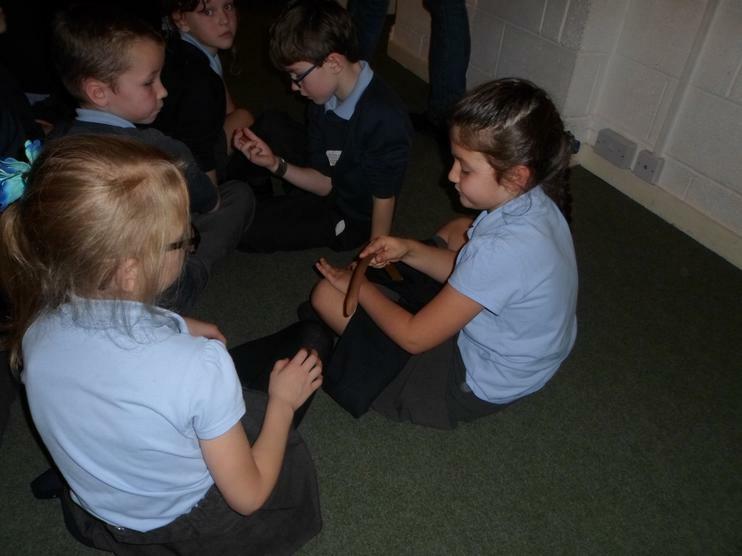 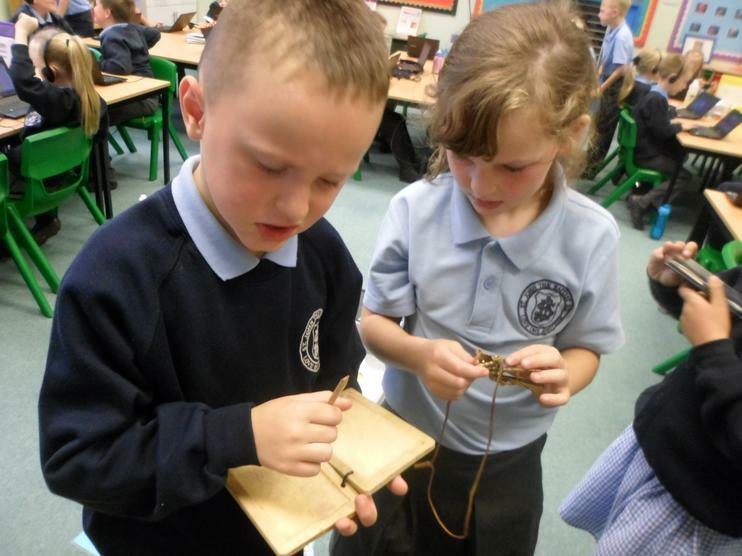 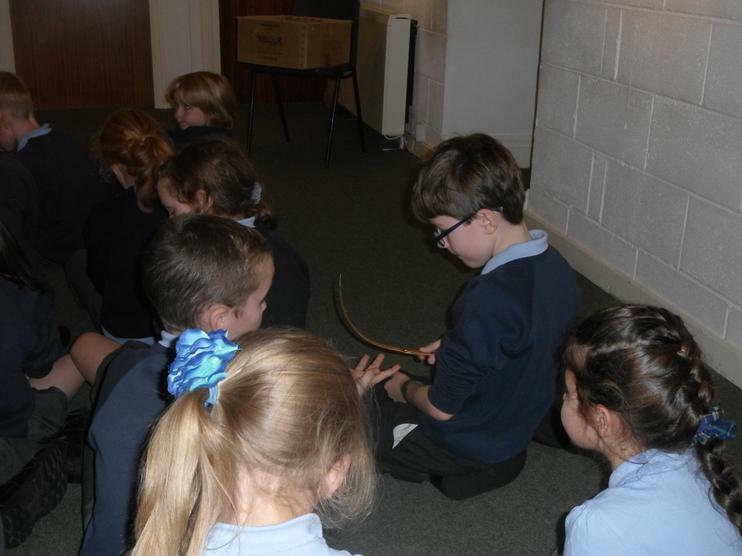 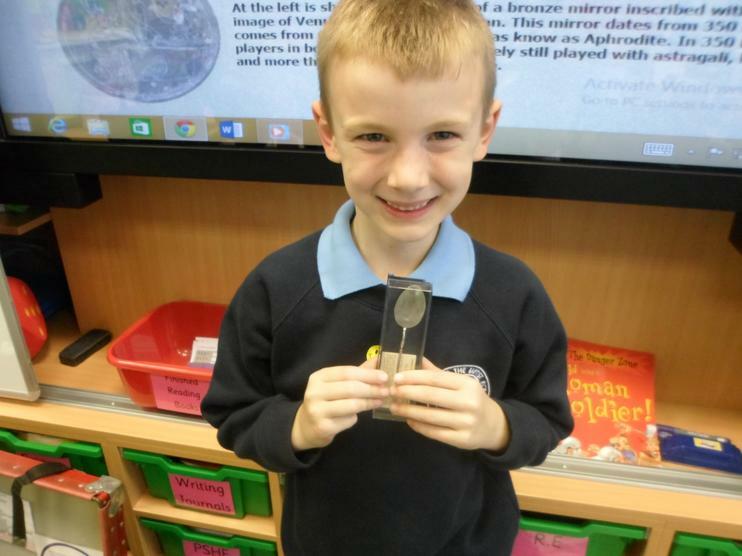 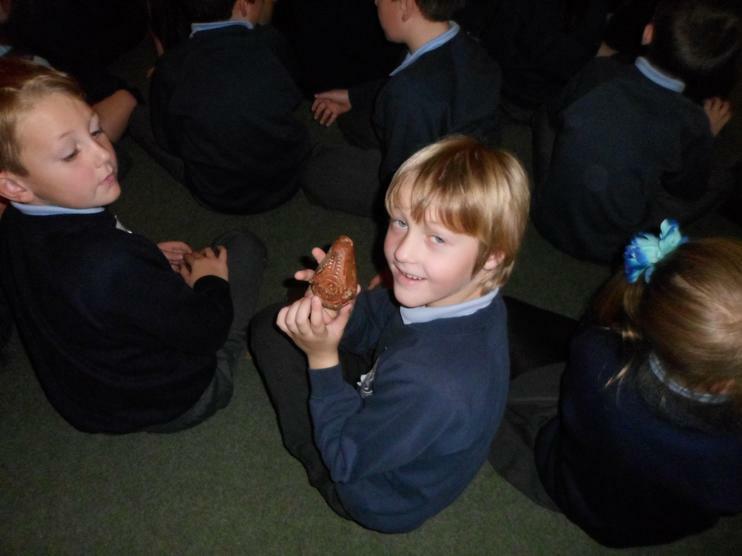 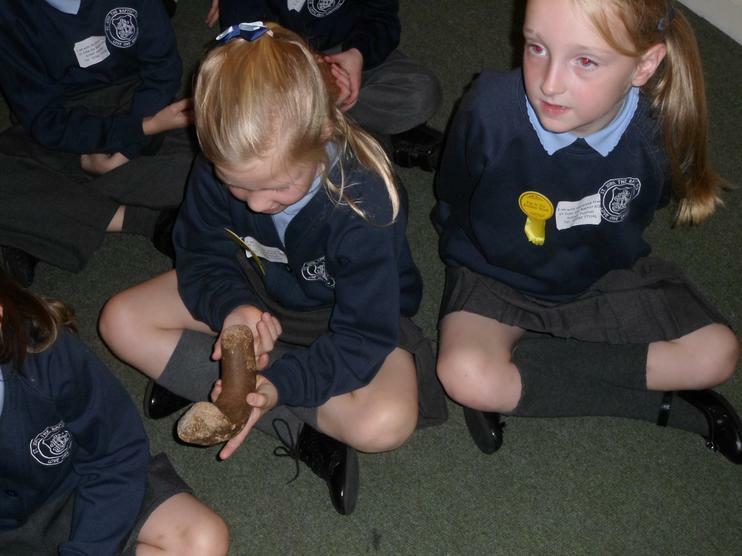 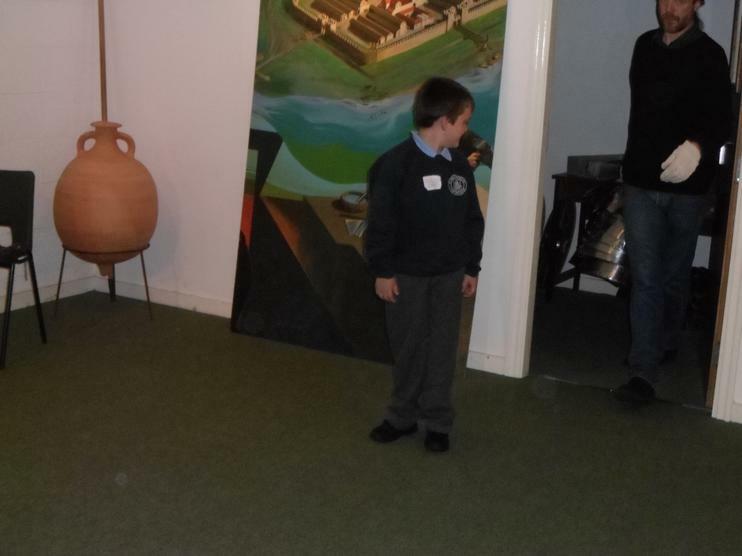 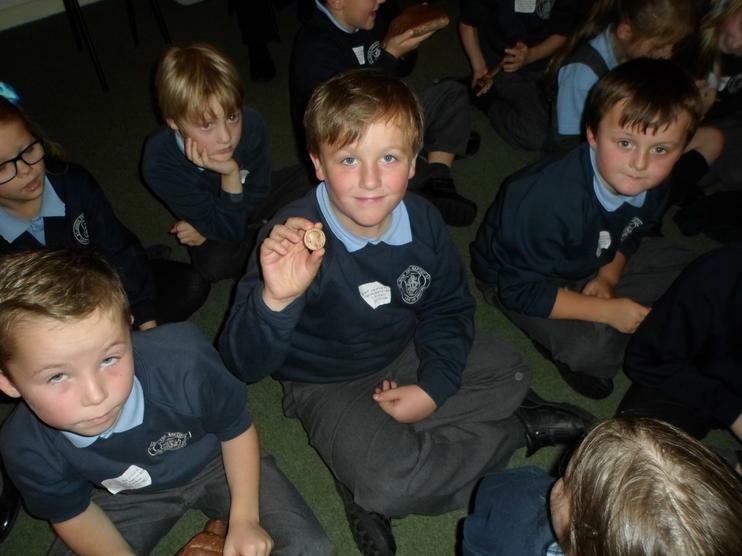 We worked with Patrick in the morning who showed us some real Roman artefacts. 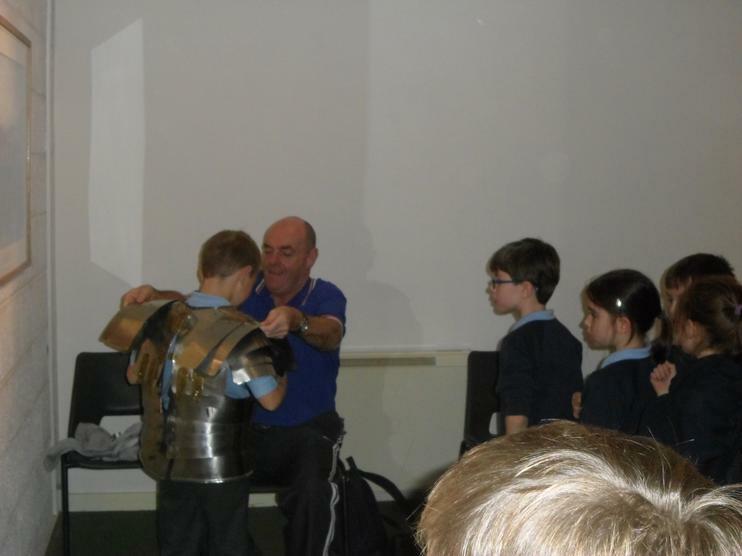 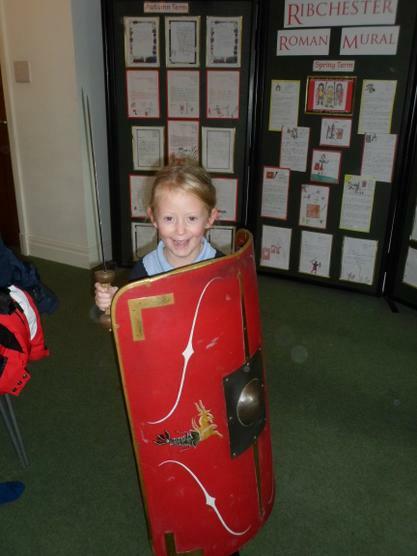 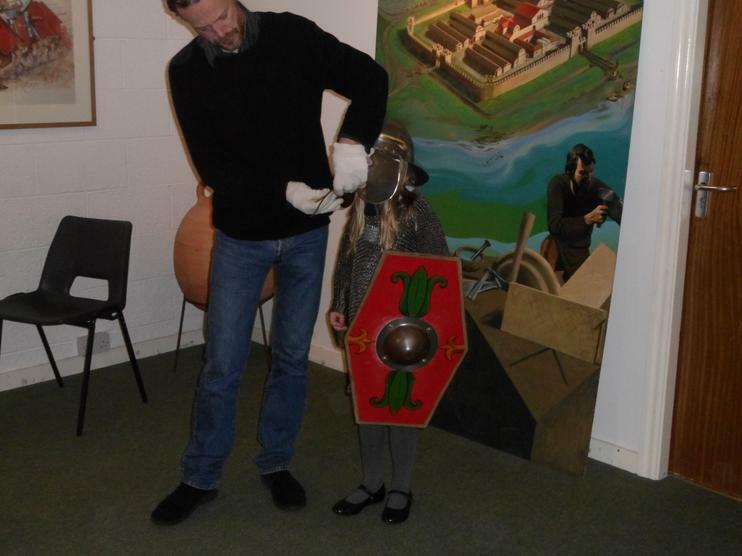 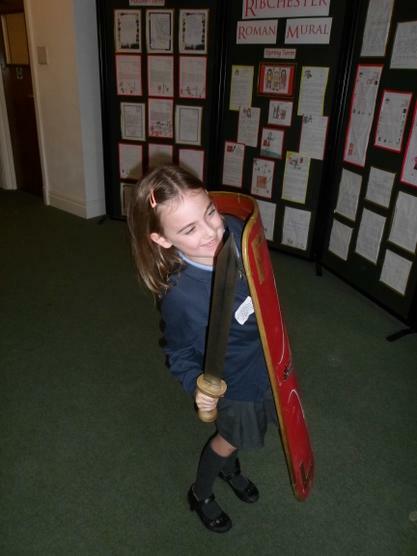 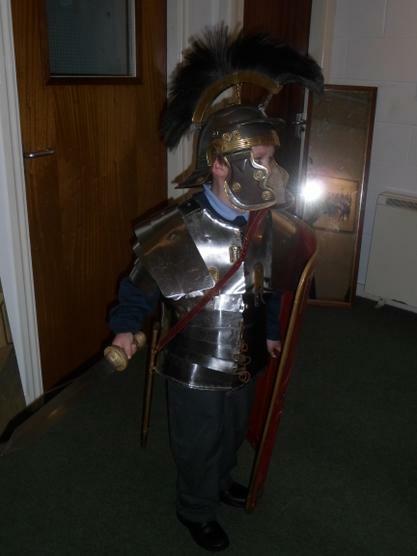 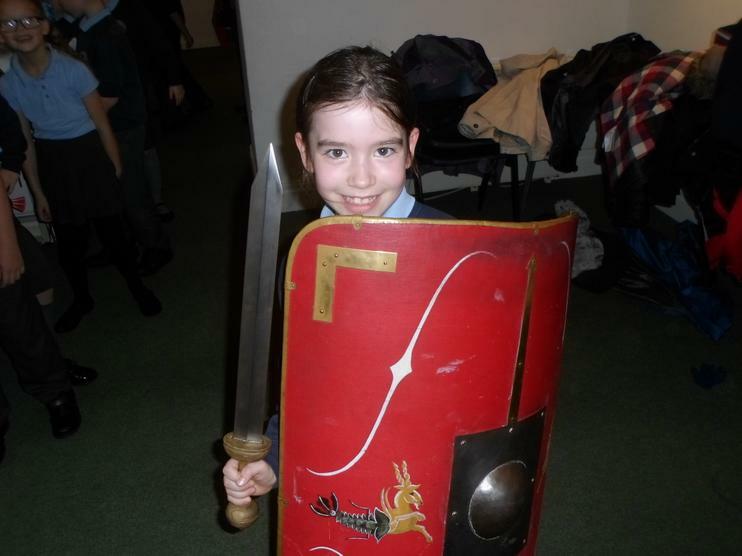 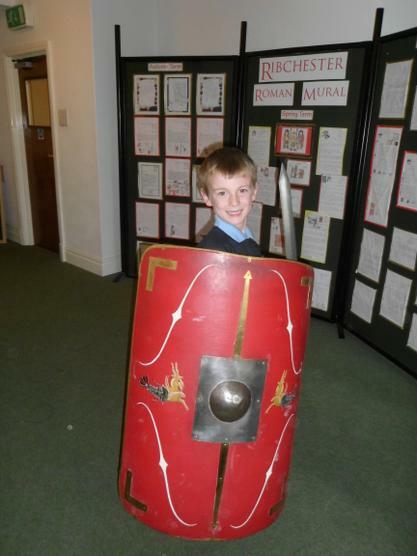 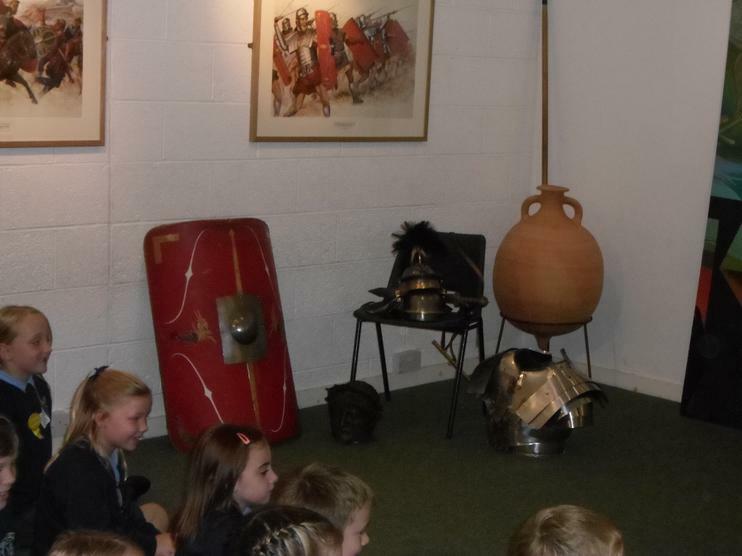 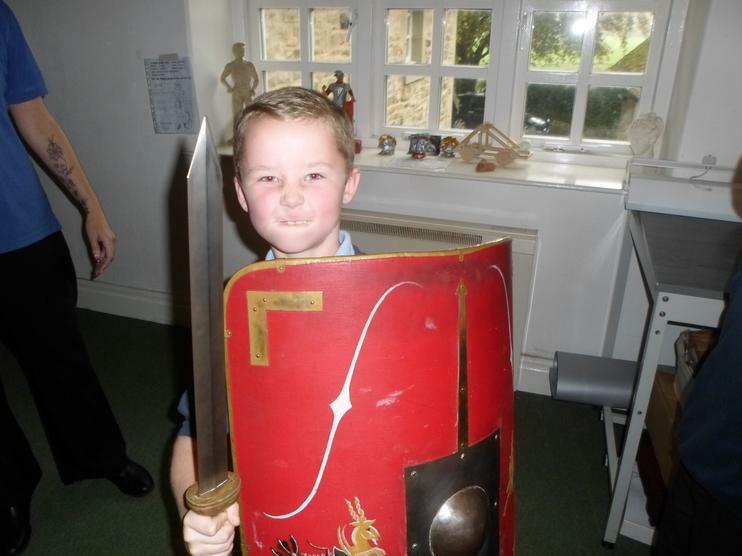 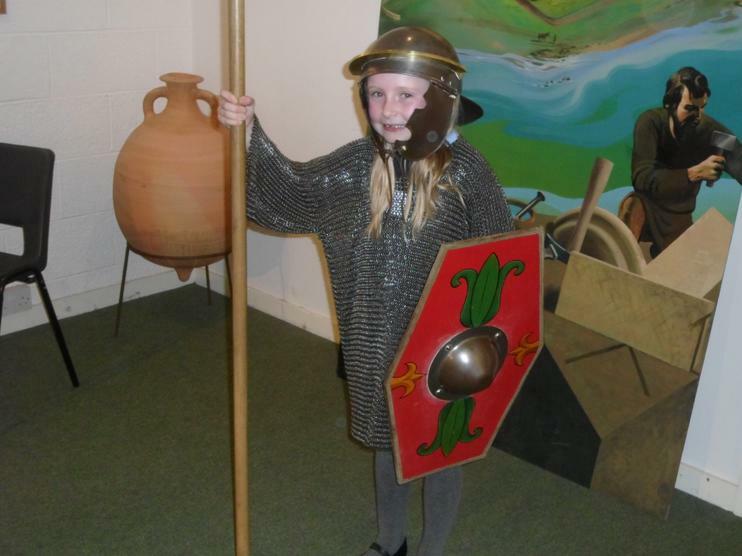 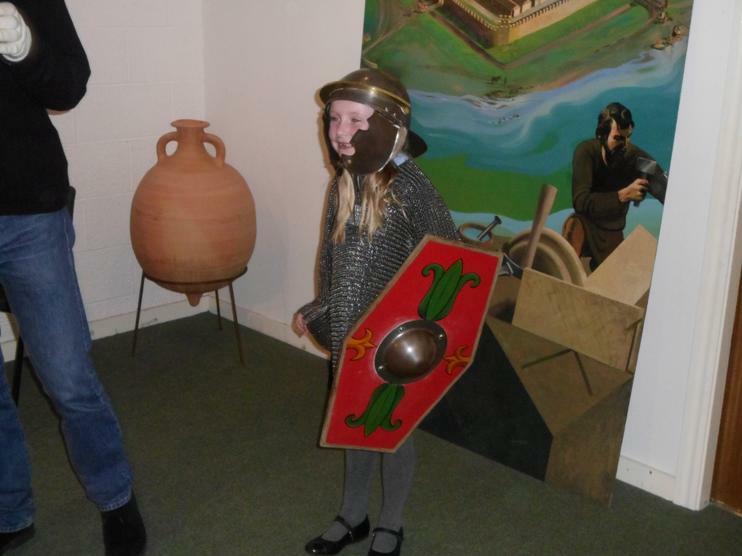 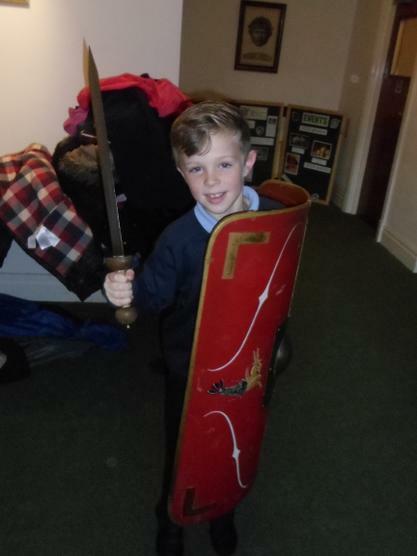 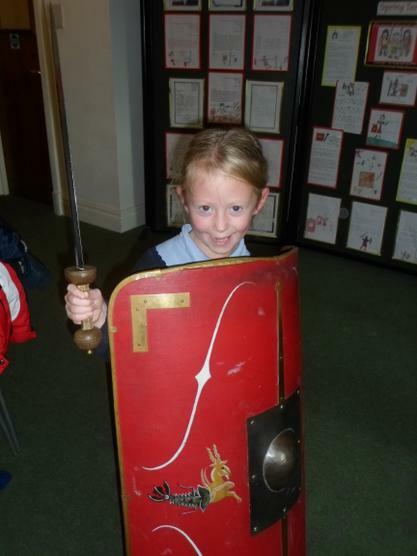 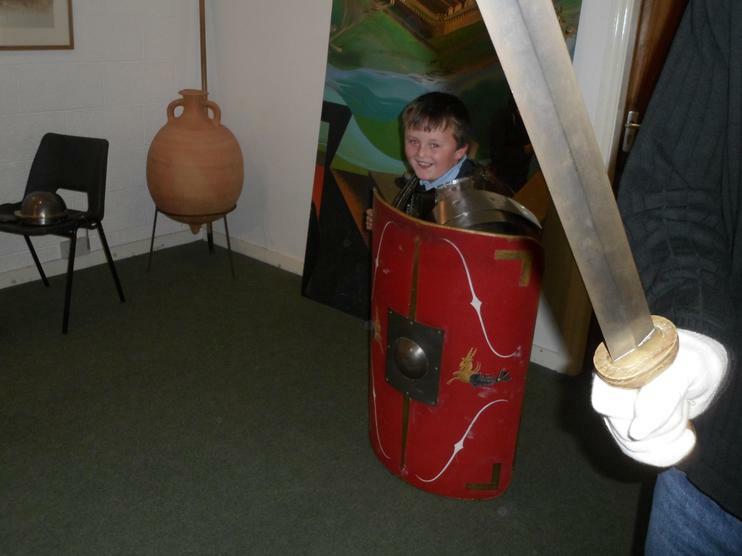 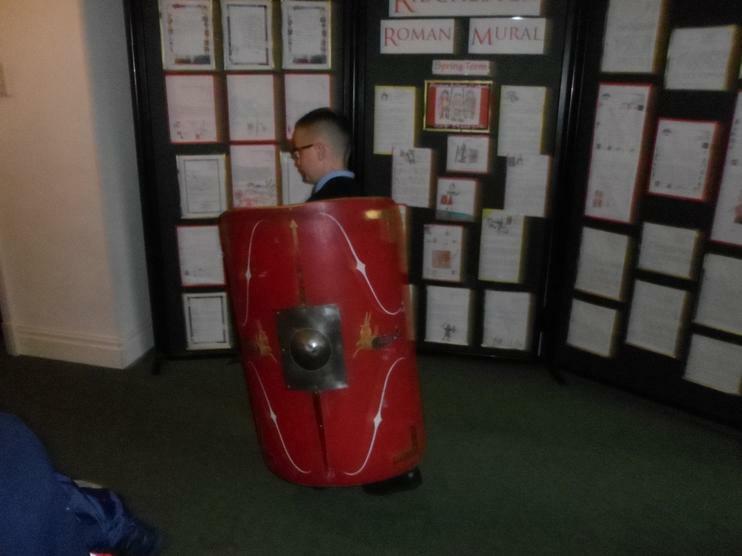 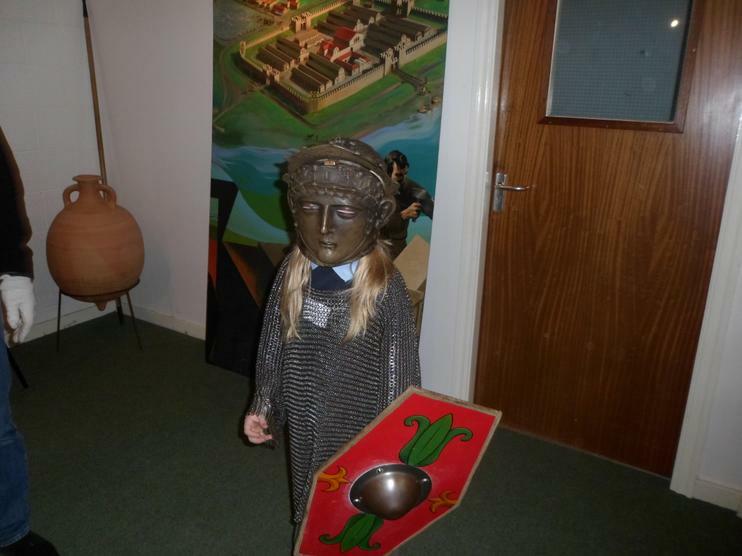 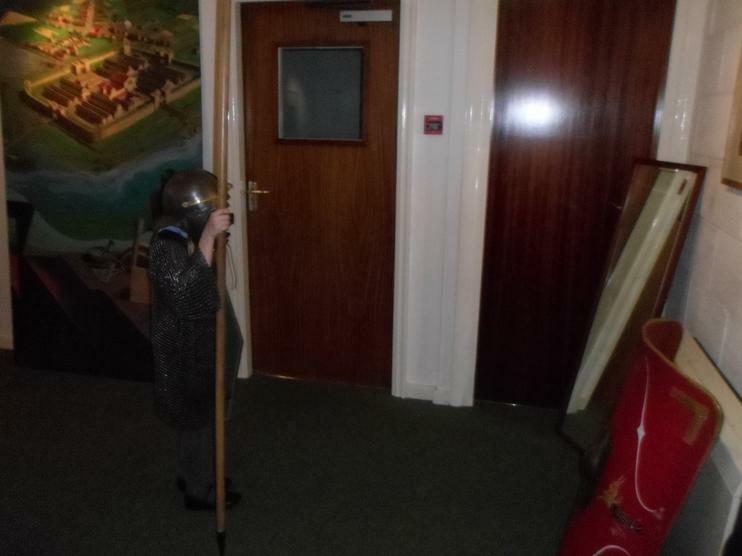 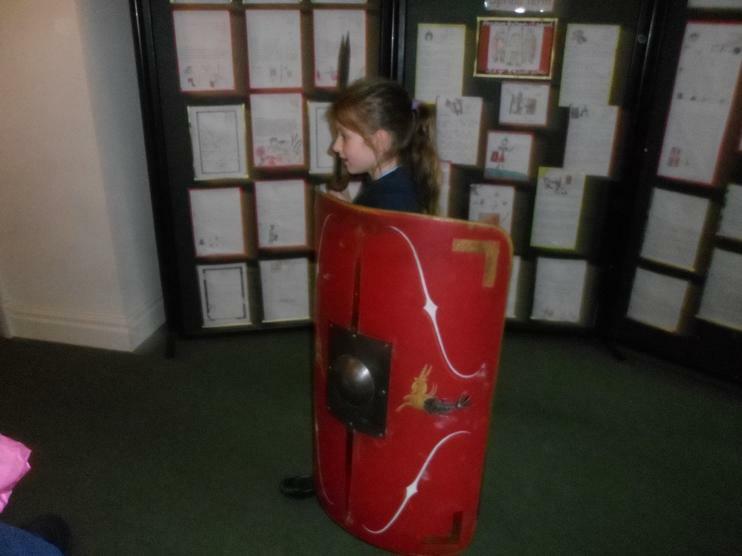 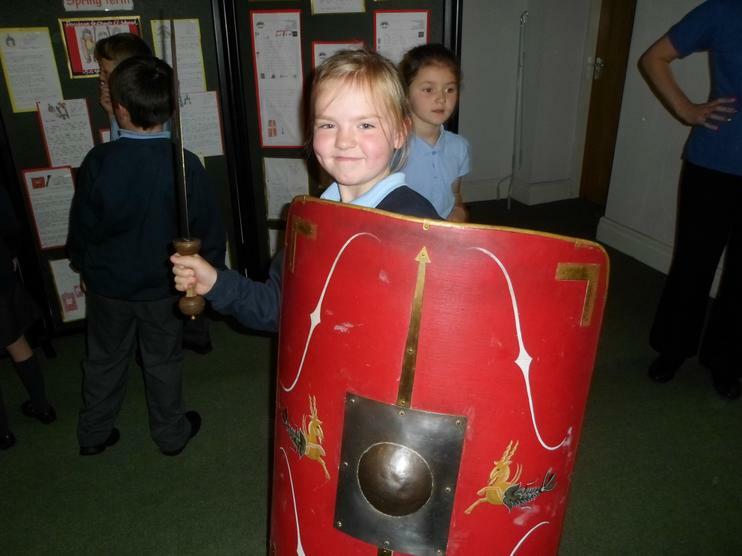 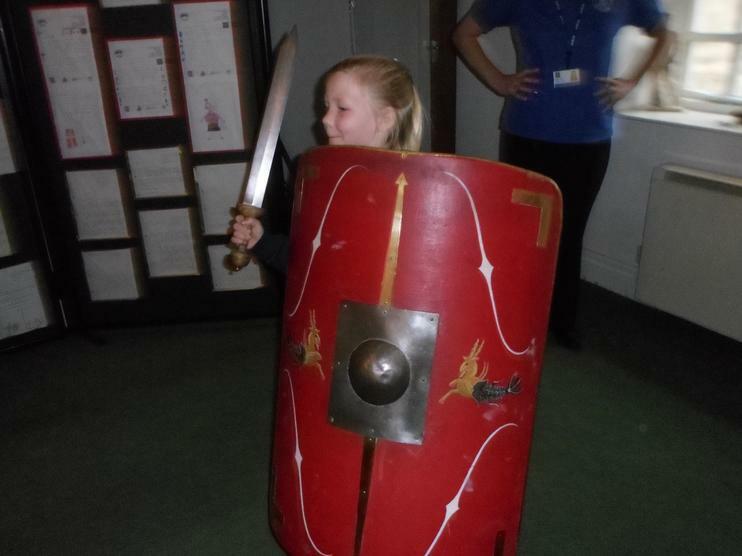 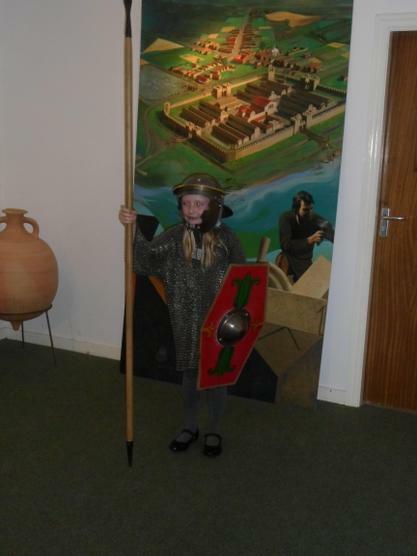 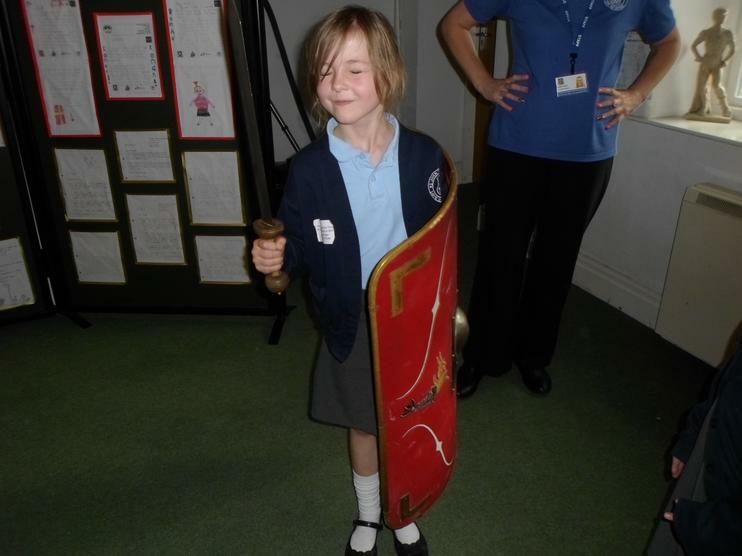 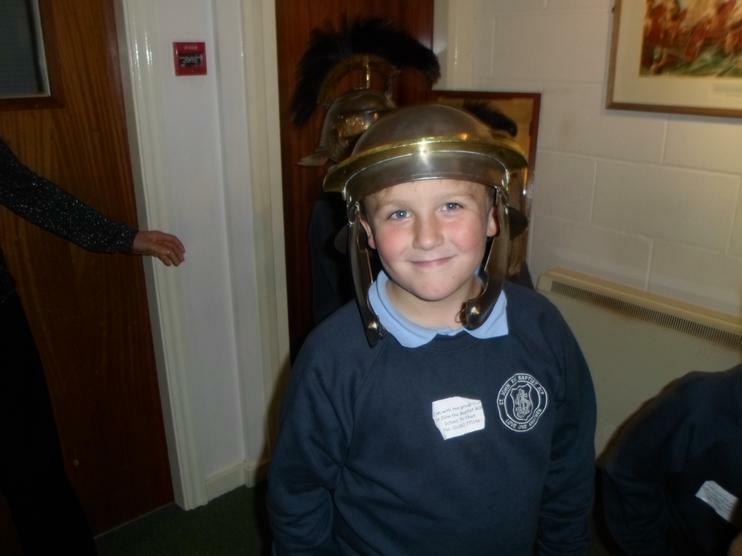 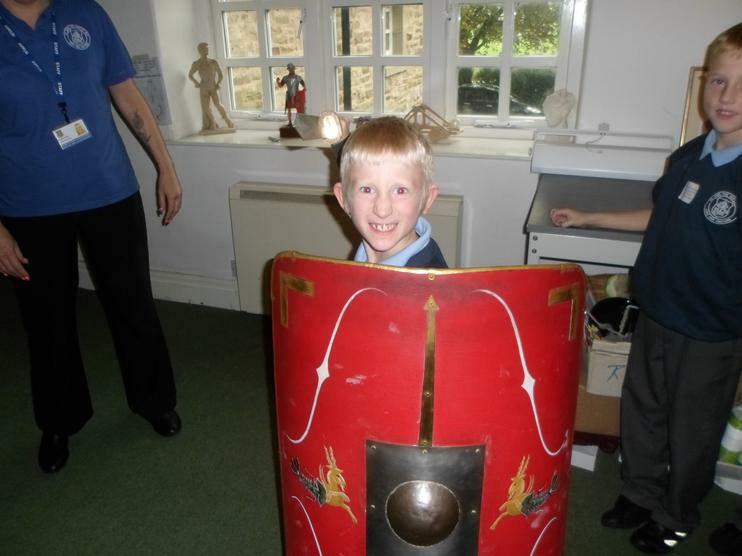 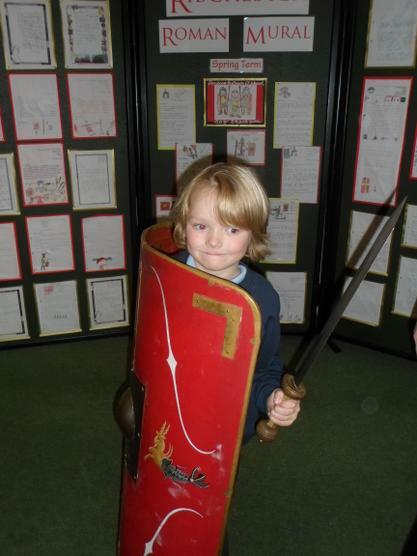 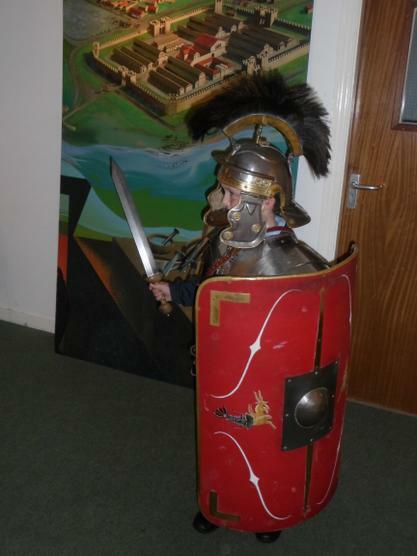 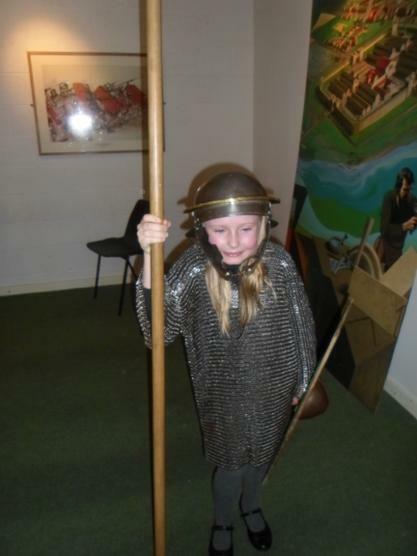 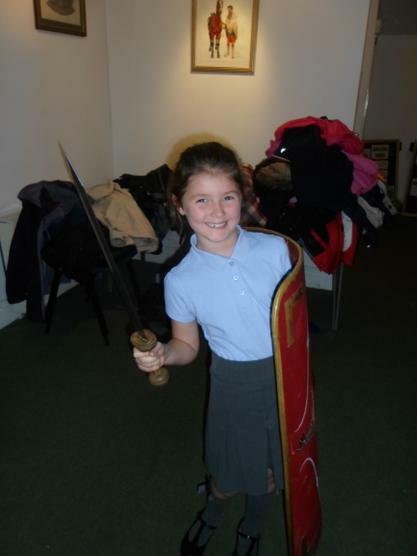 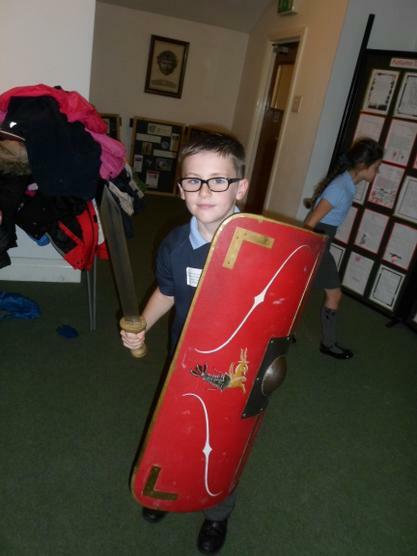 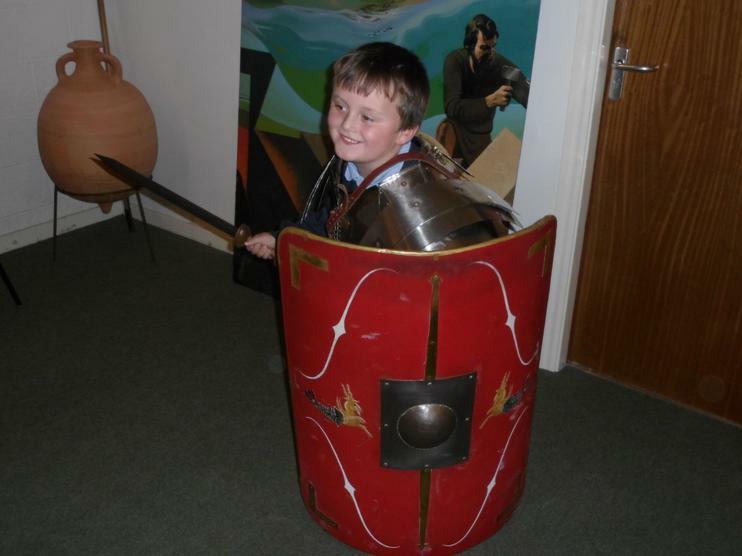 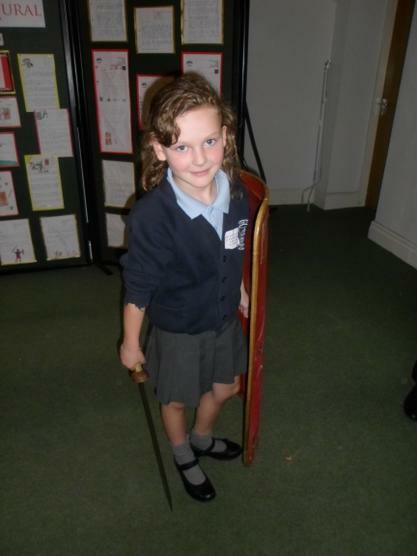 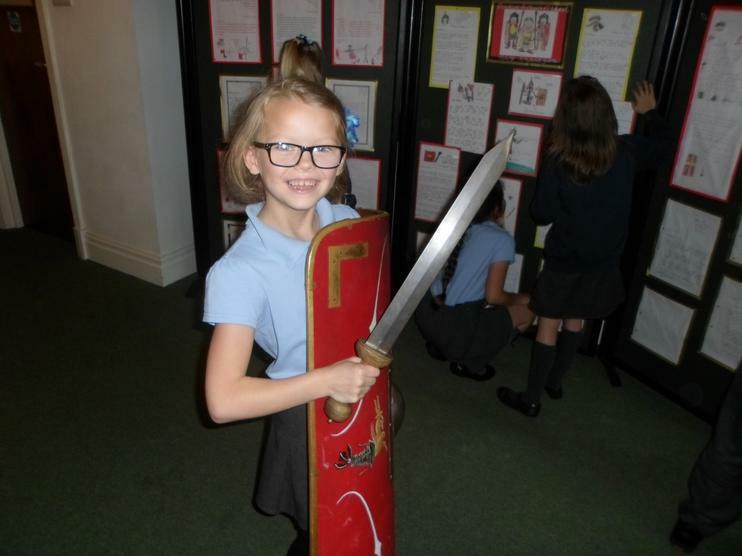 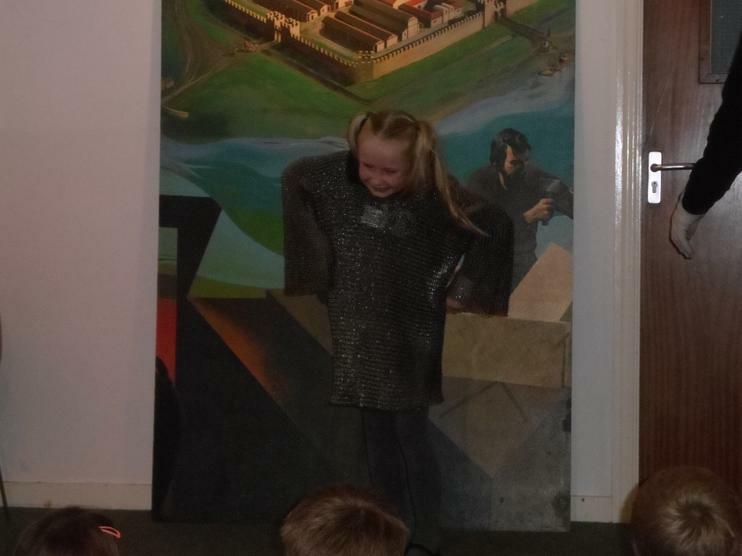 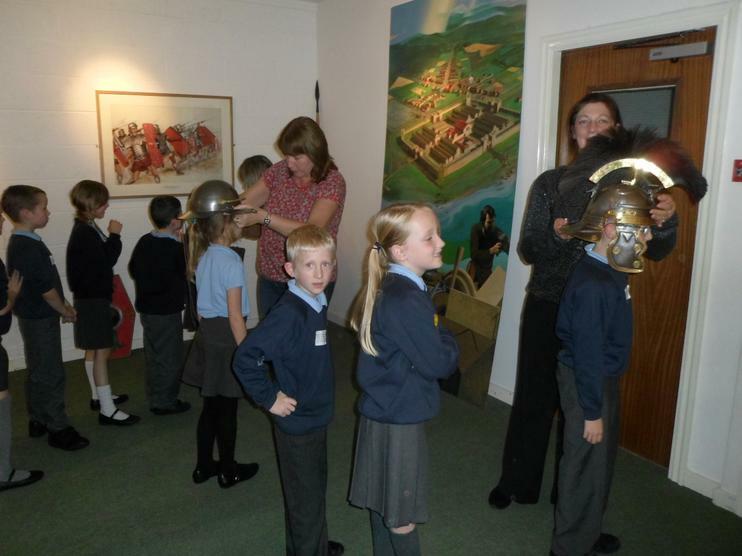 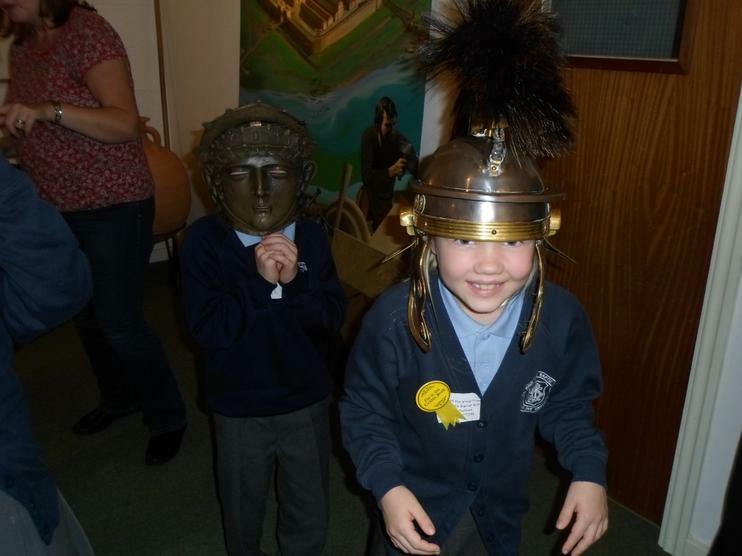 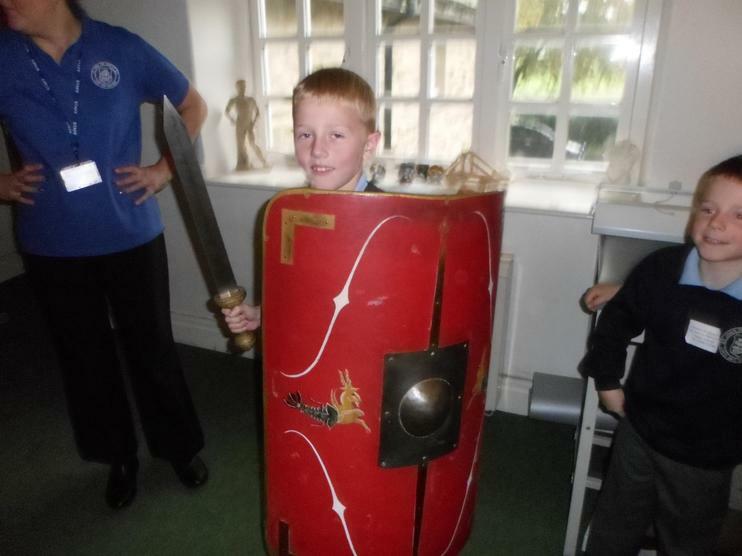 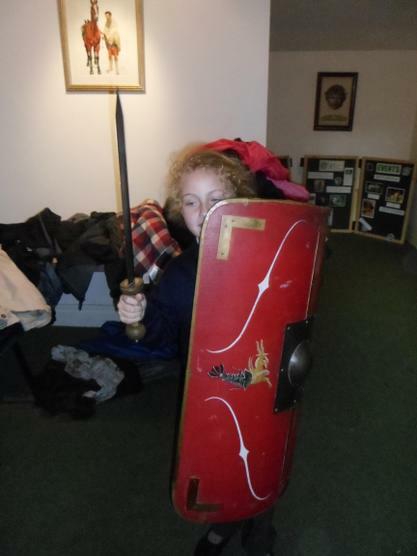 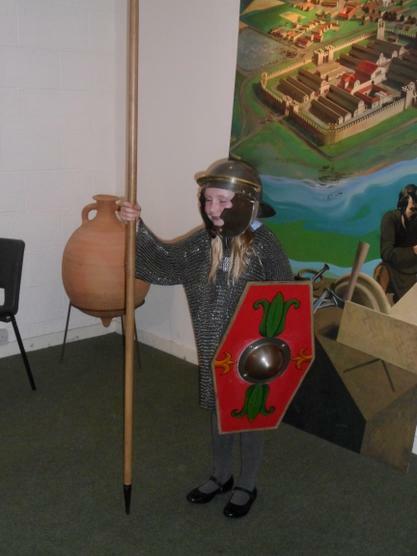 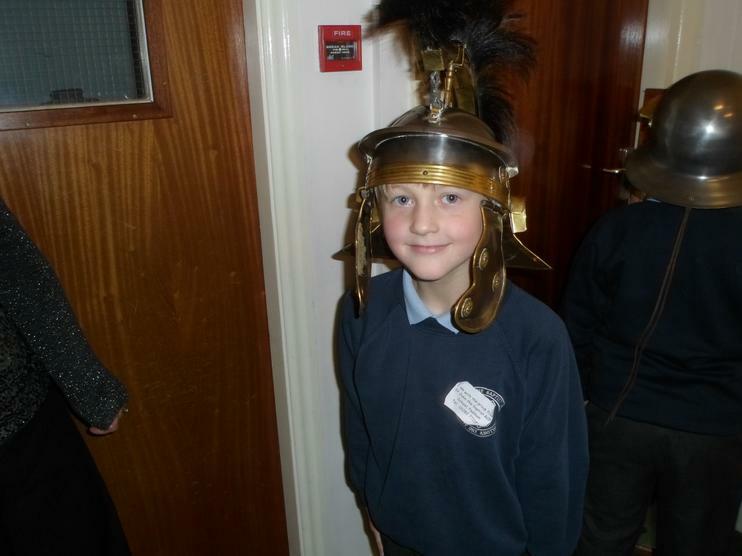 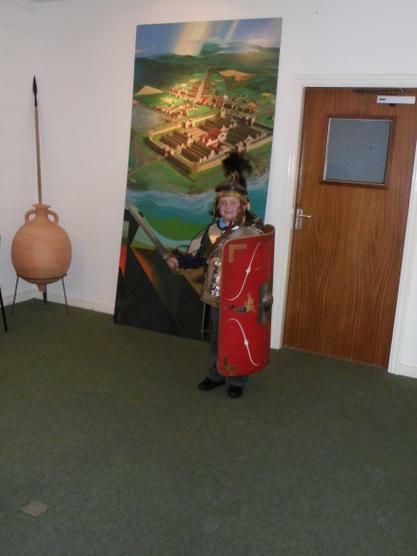 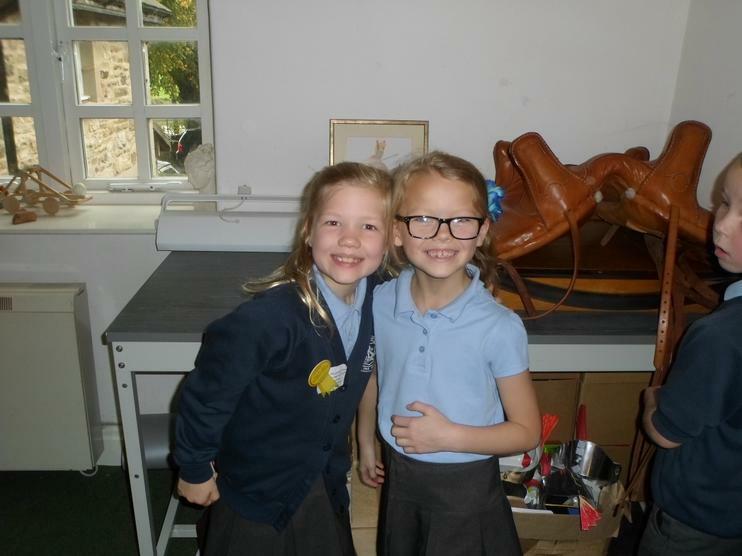 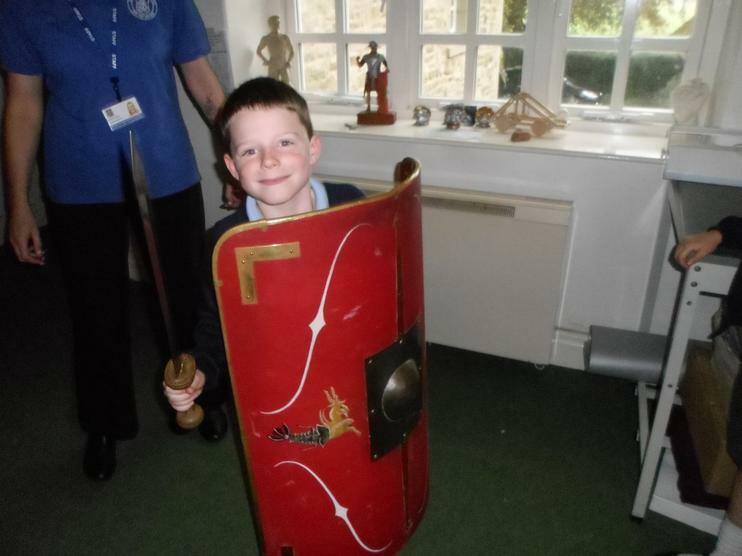 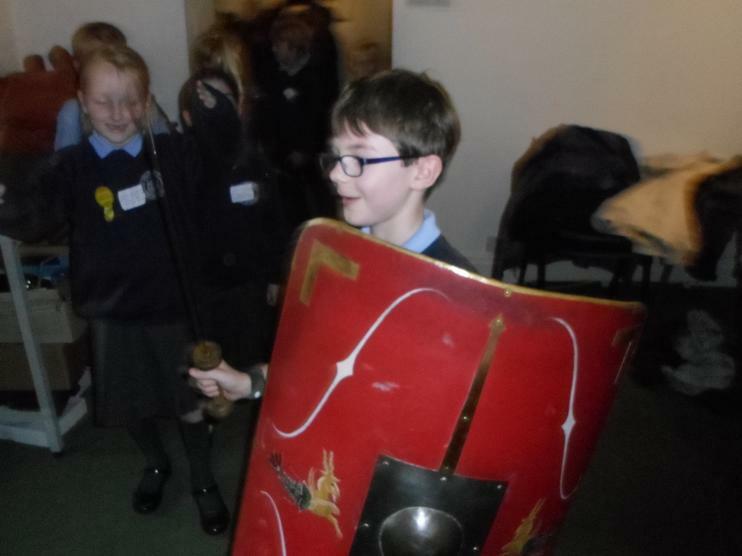 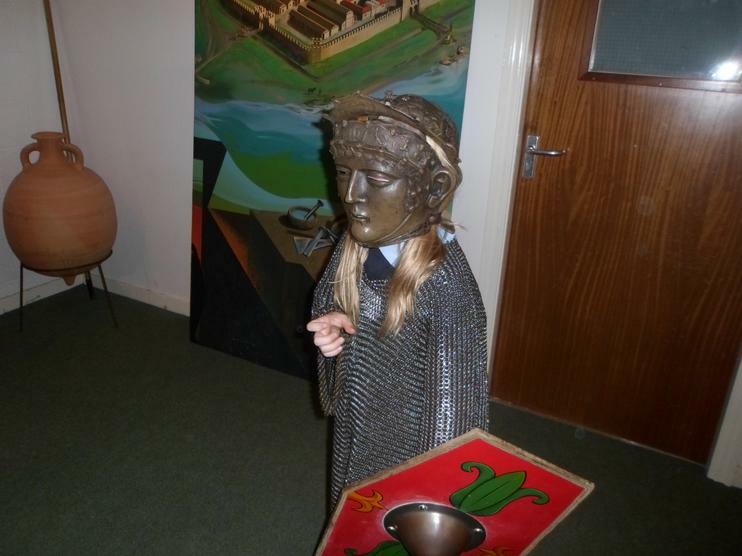 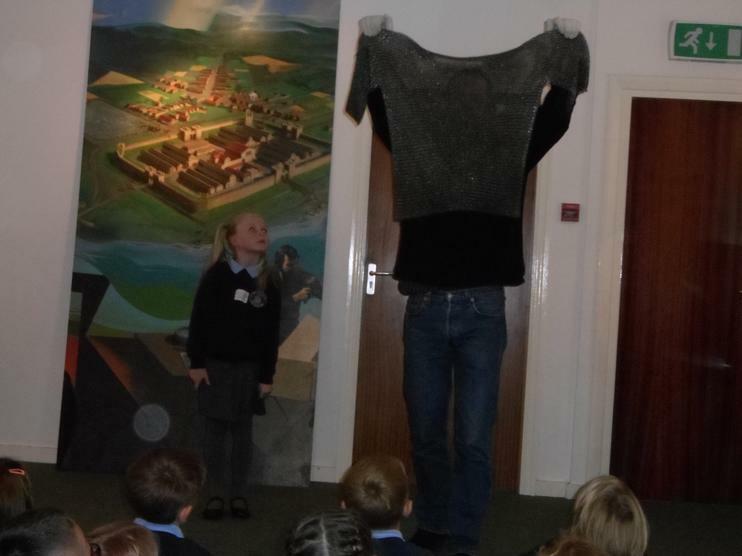 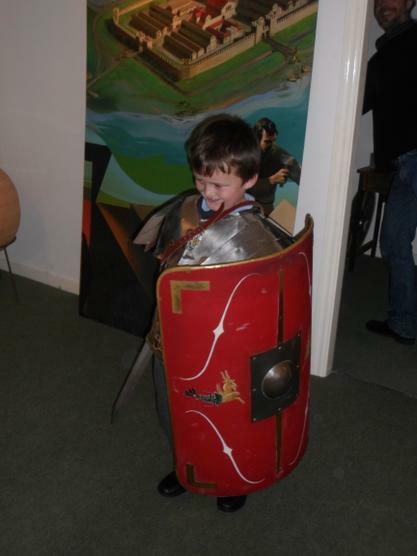 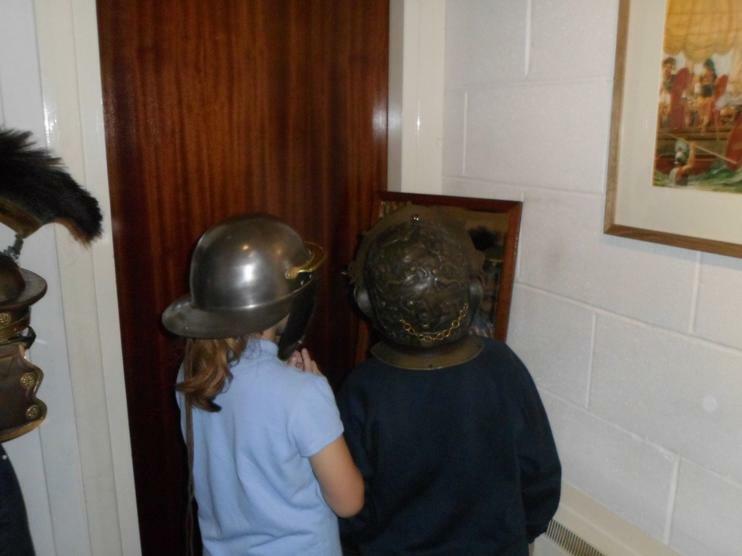 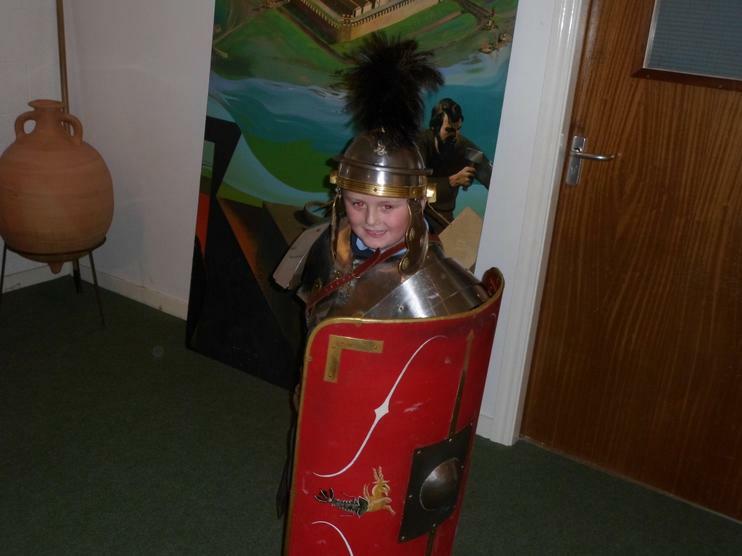 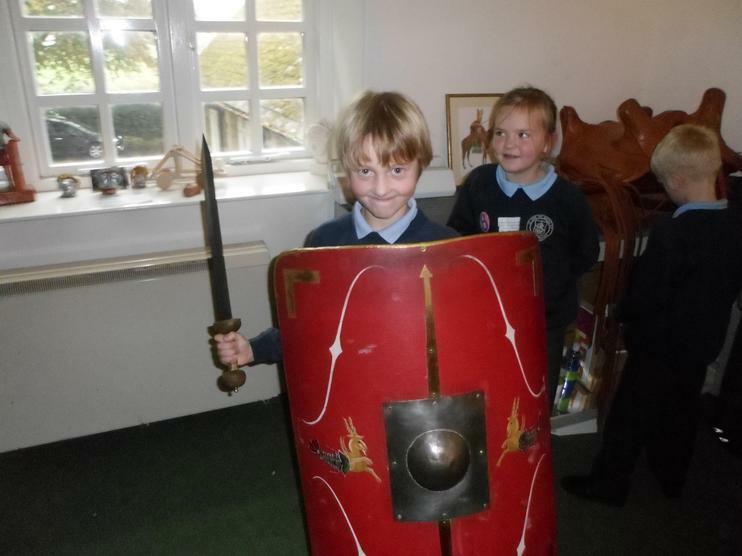 Maddison and James were also lucky enough to try on some Roman armour! 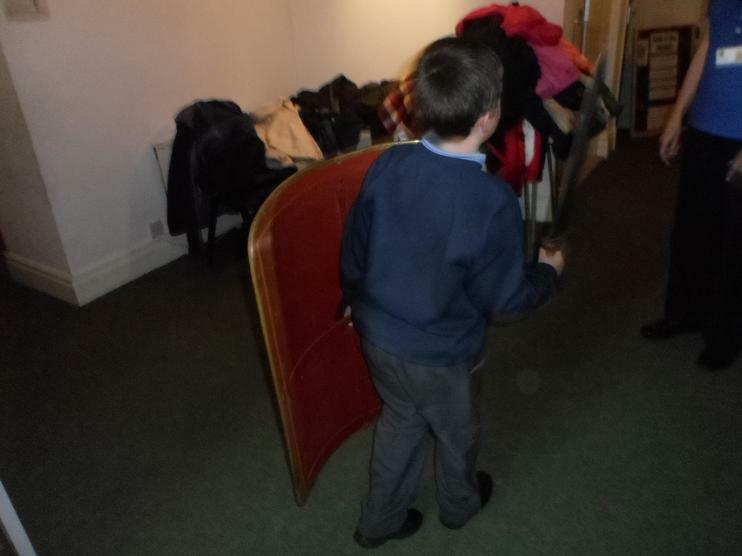 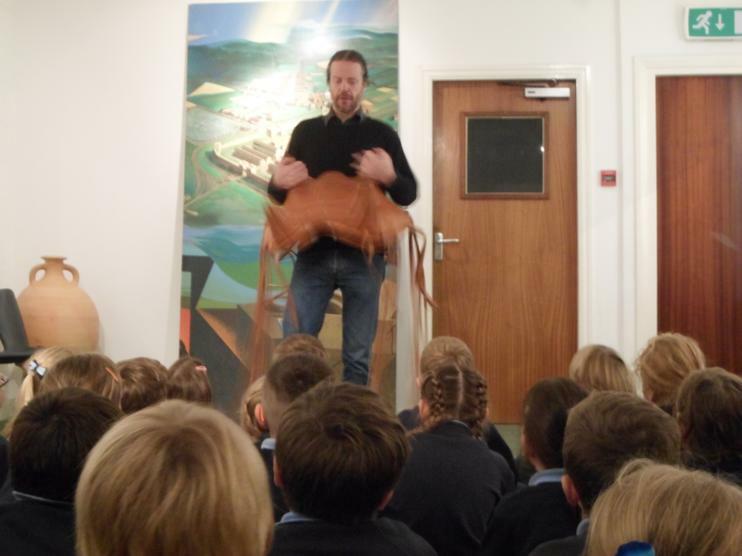 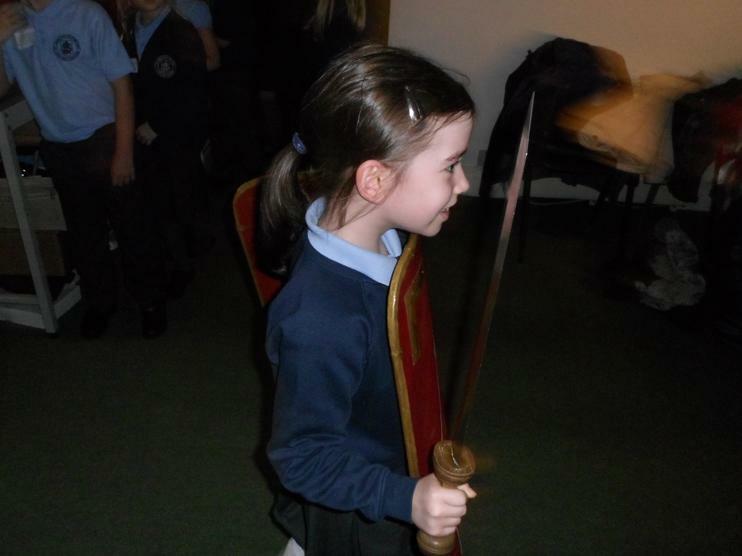 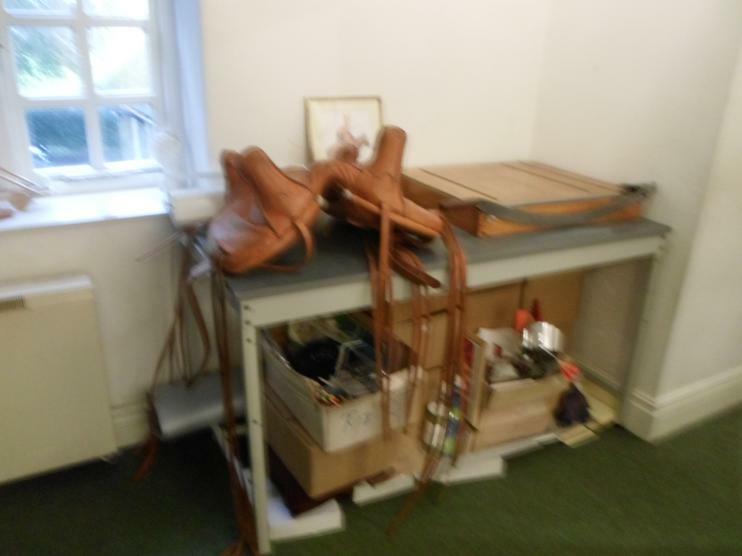 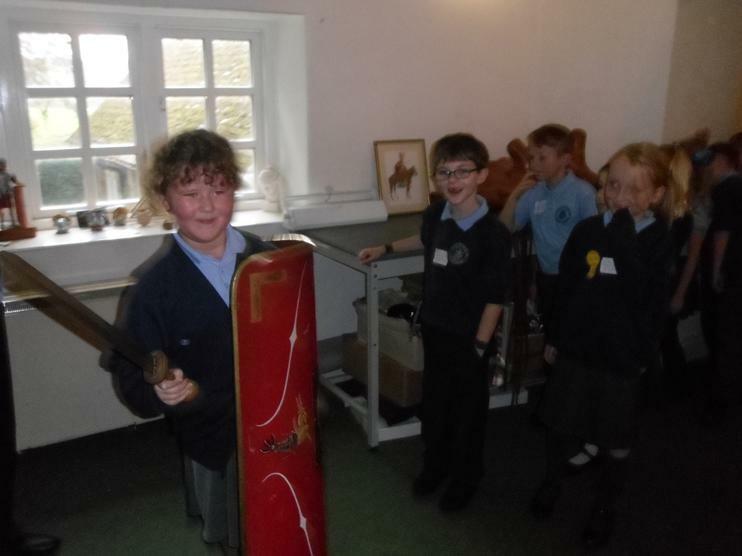 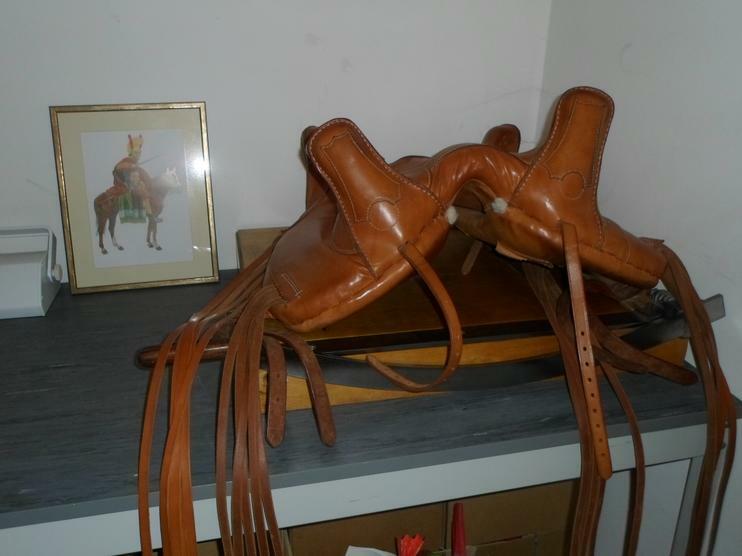 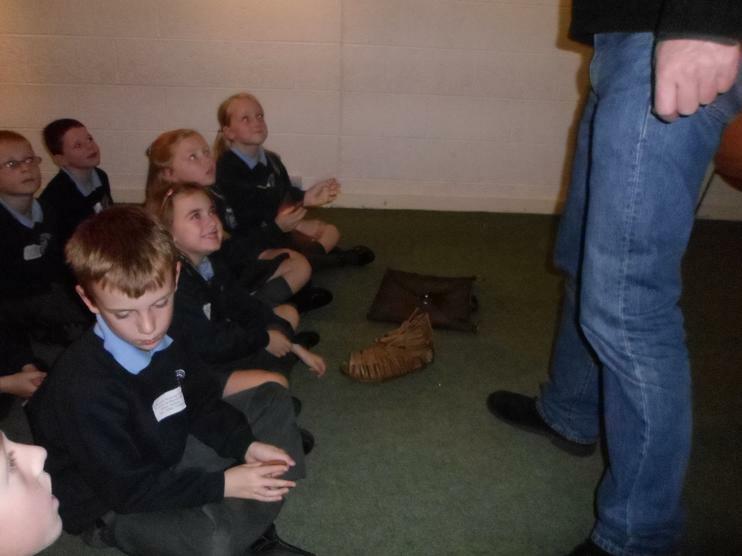 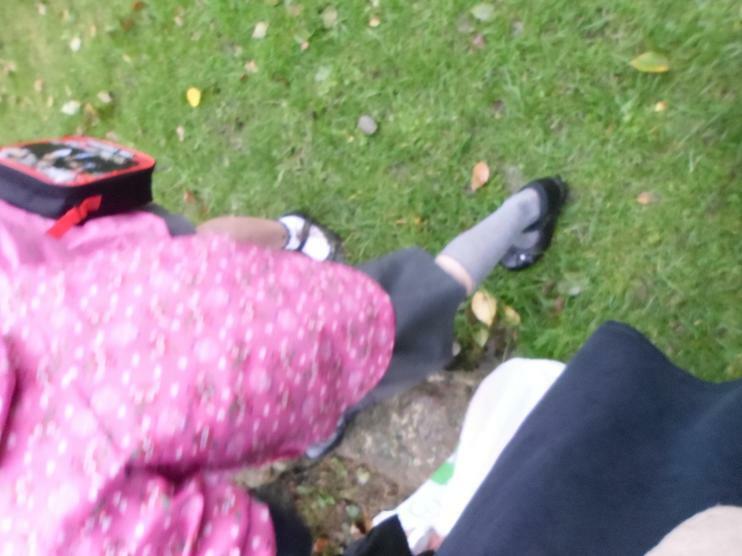 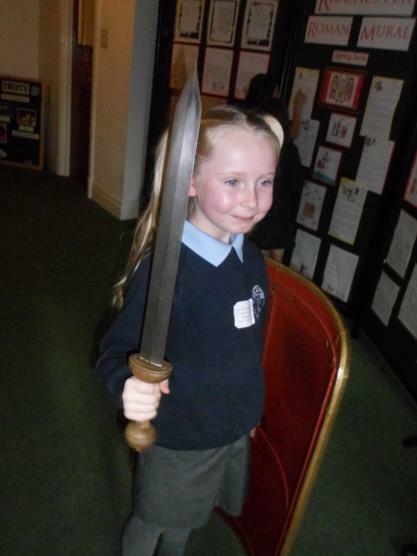 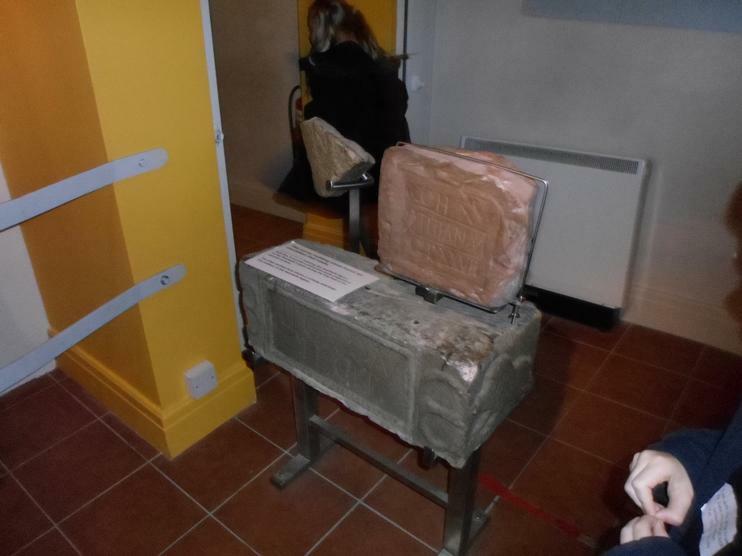 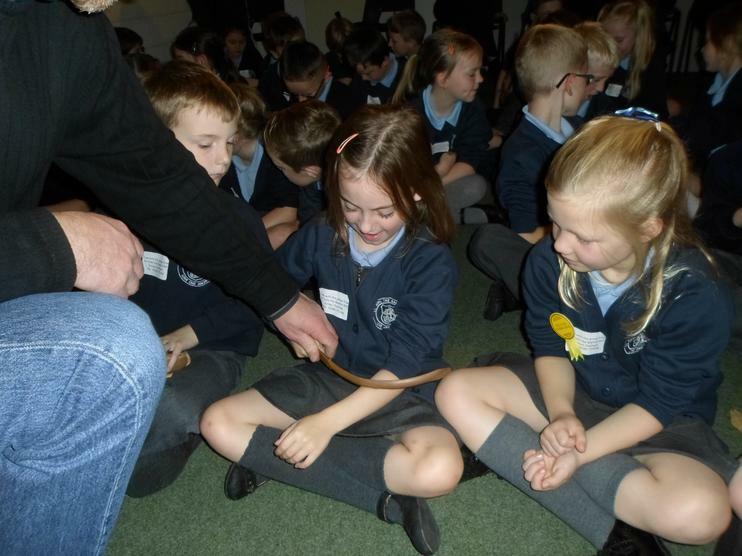 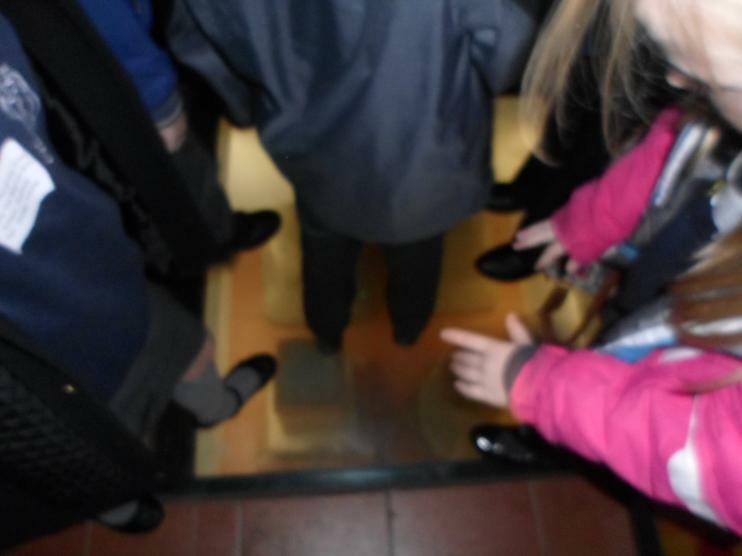 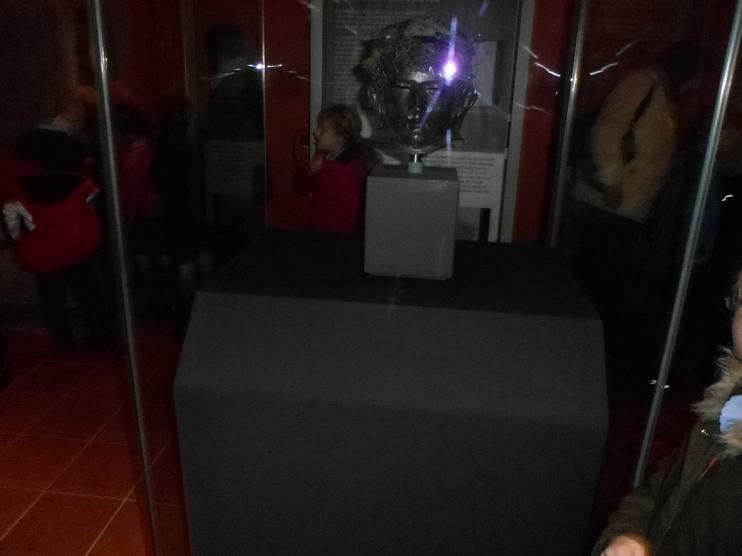 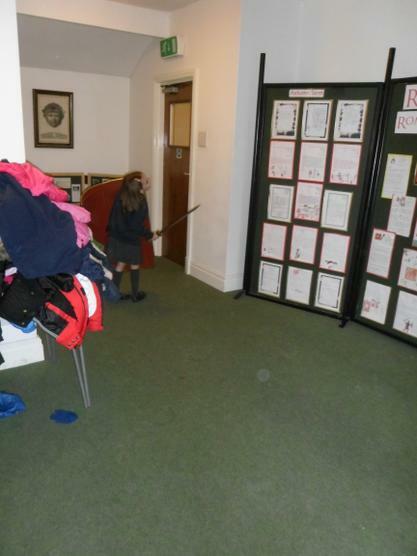 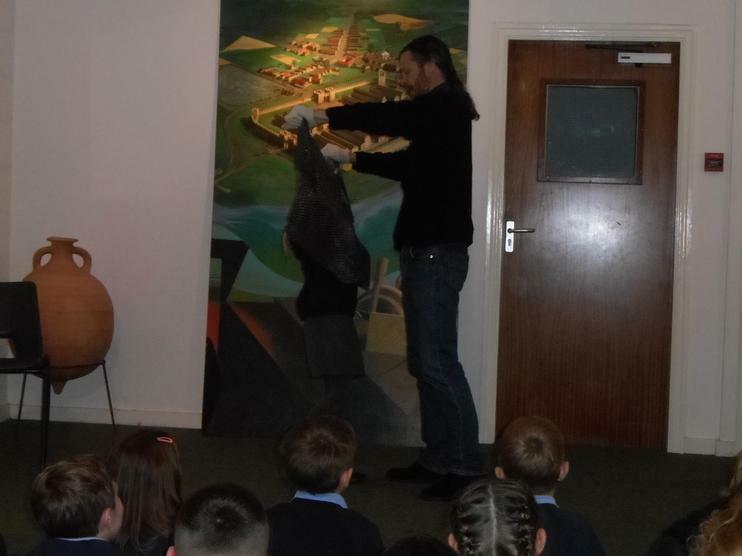 It was really heavy and we really got a feel of what it would have been like for a Roman soldier. 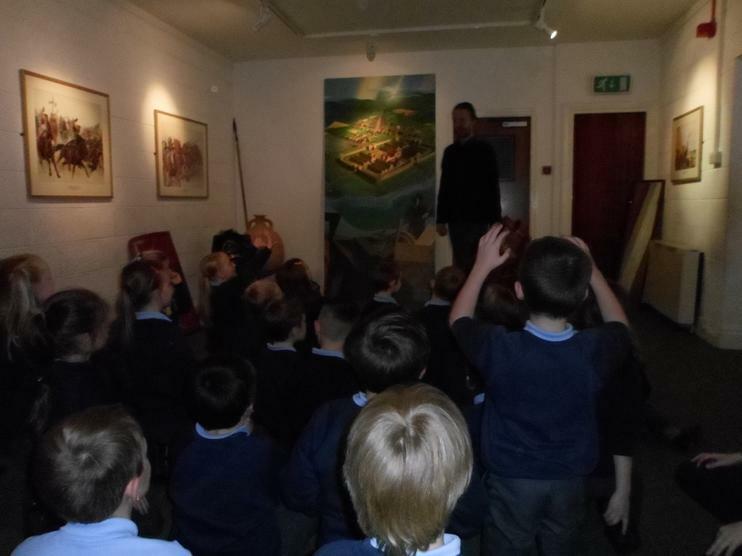 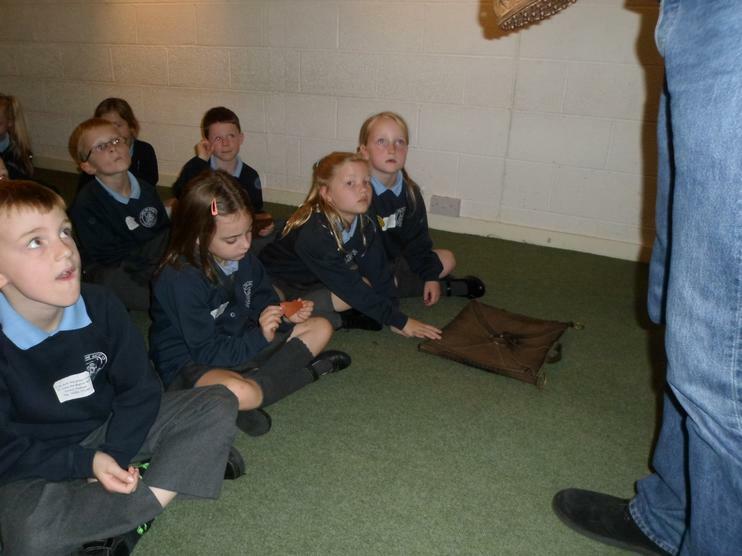 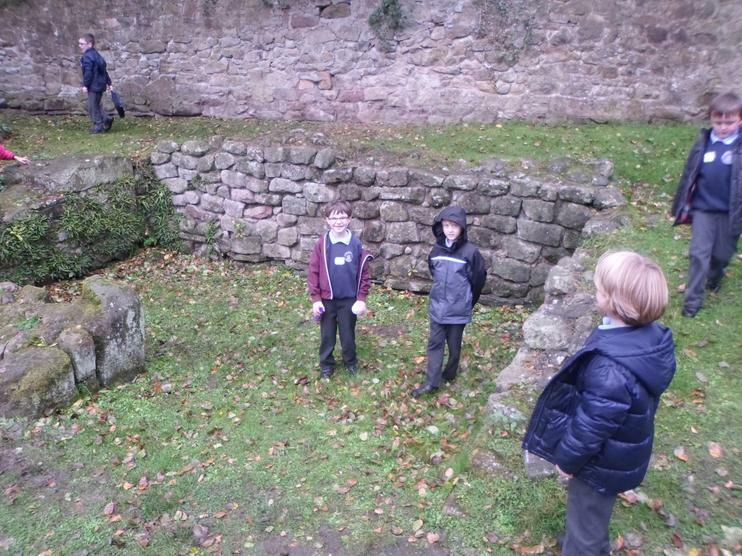 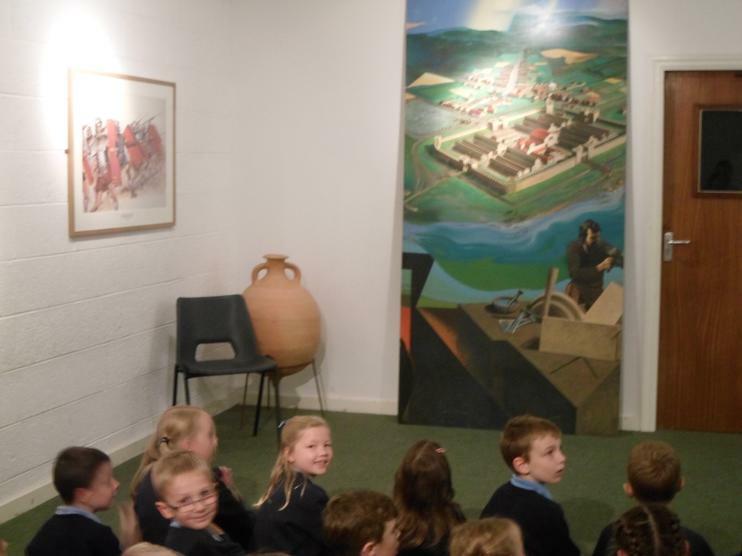 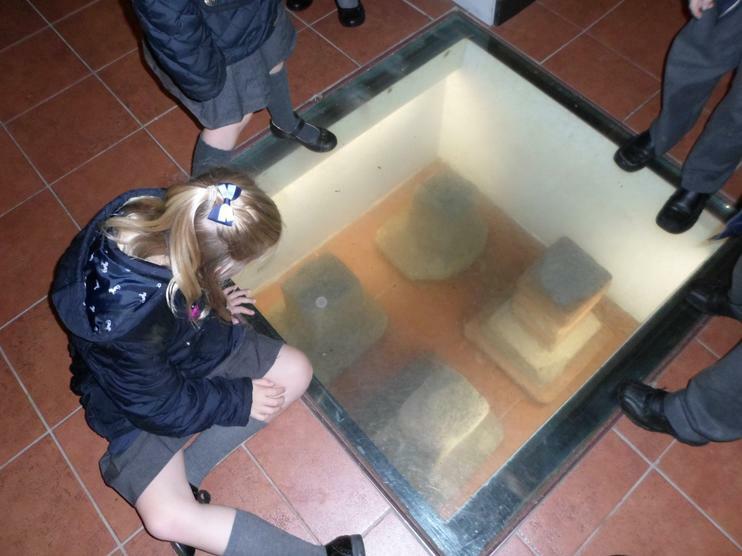 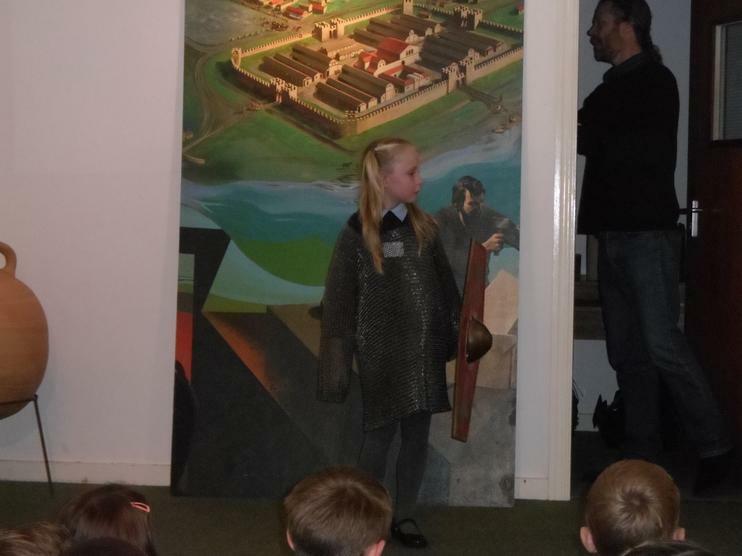 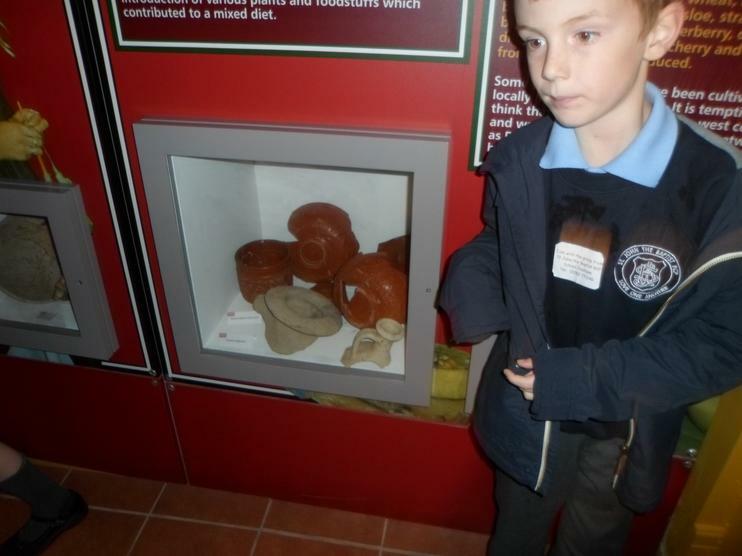 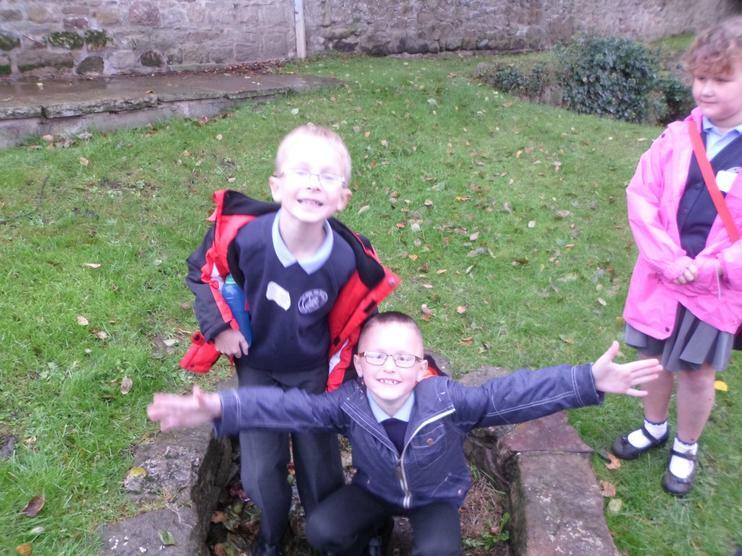 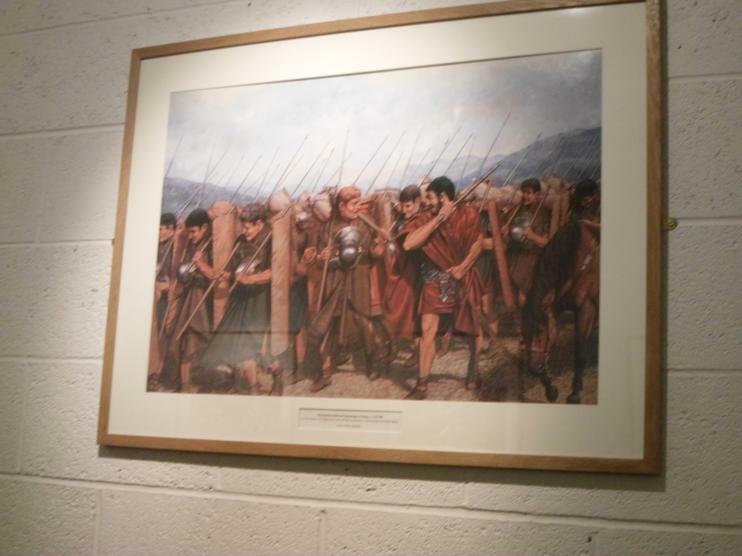 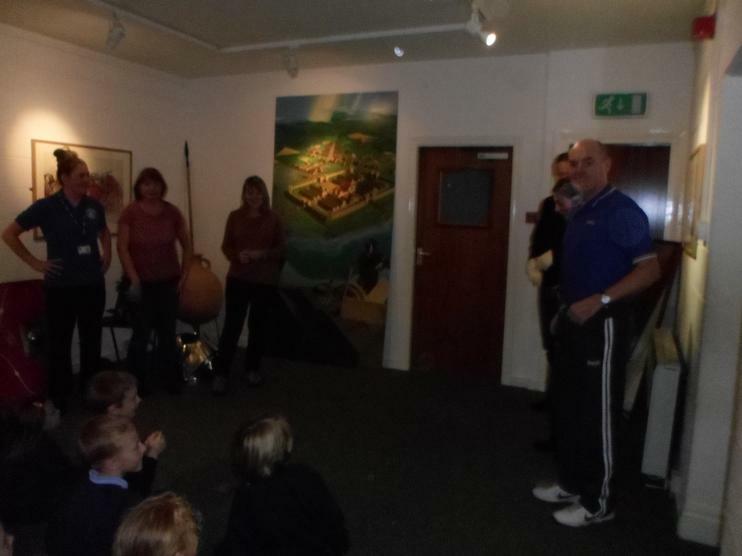 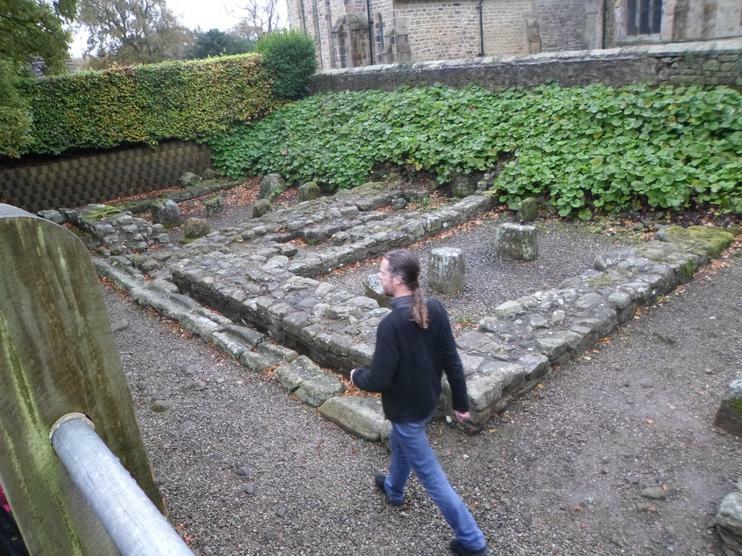 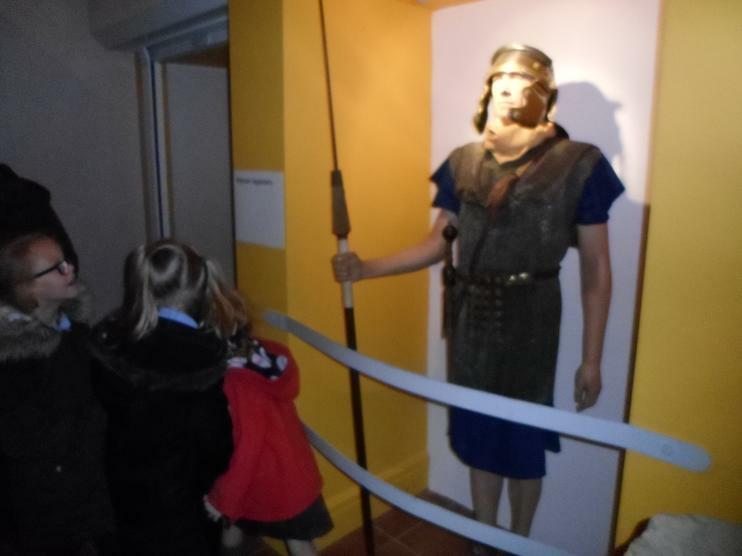 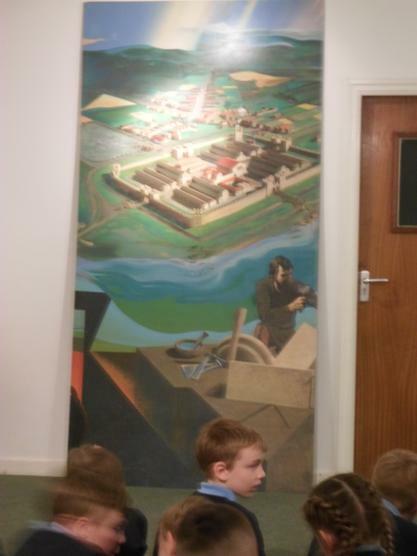 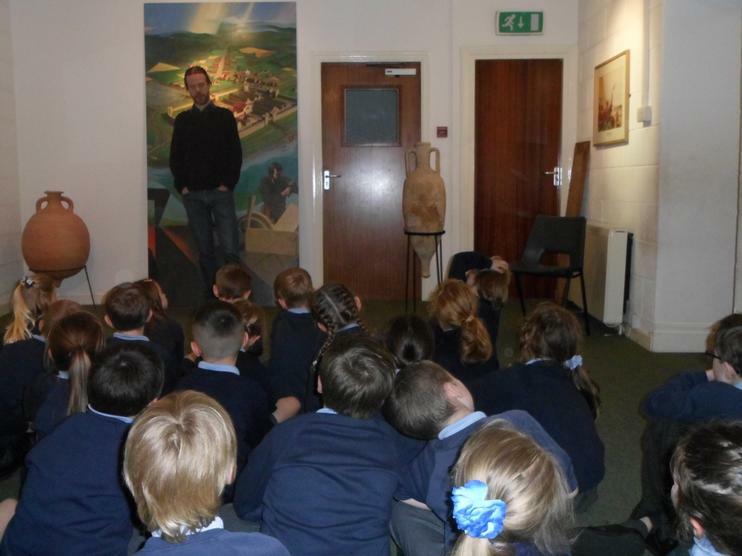 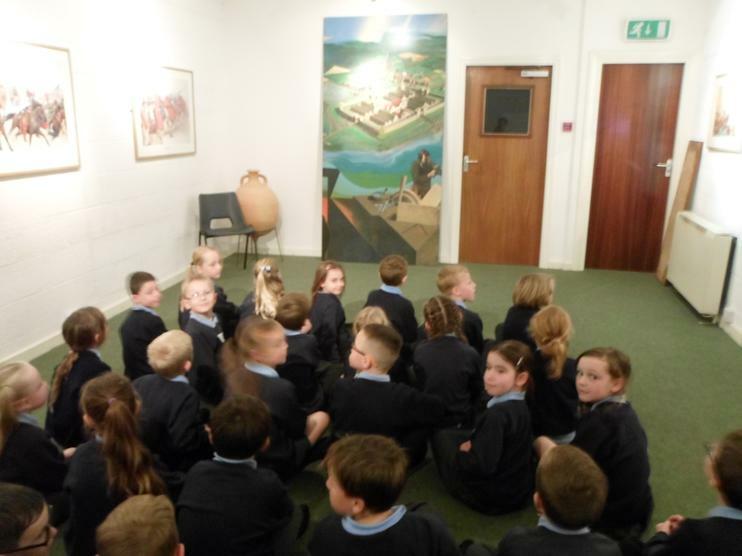 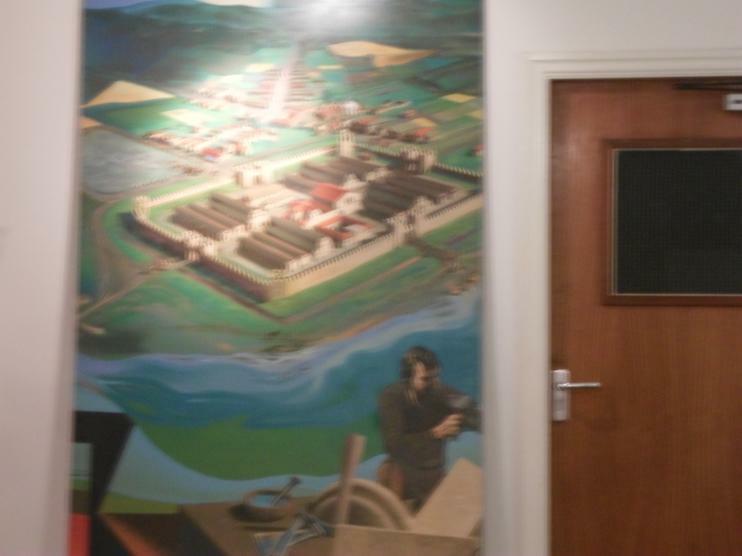 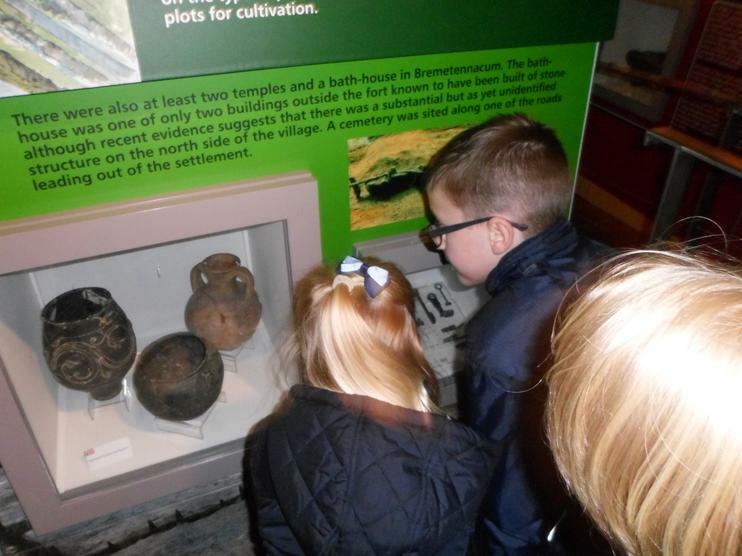 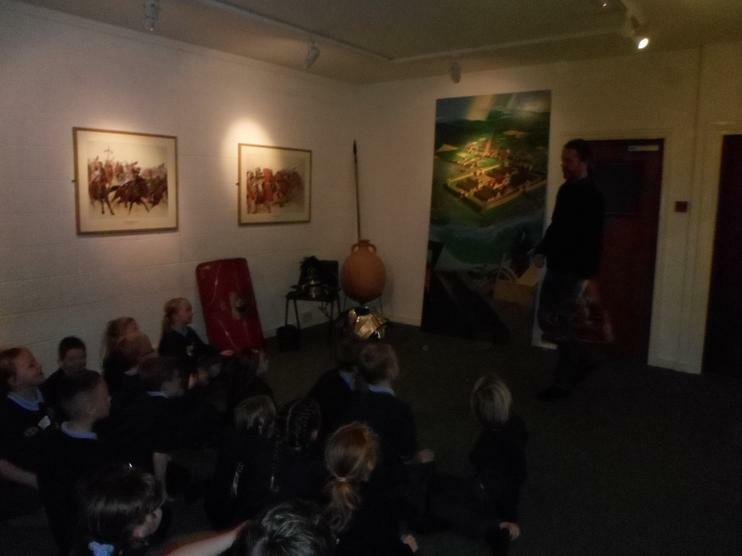 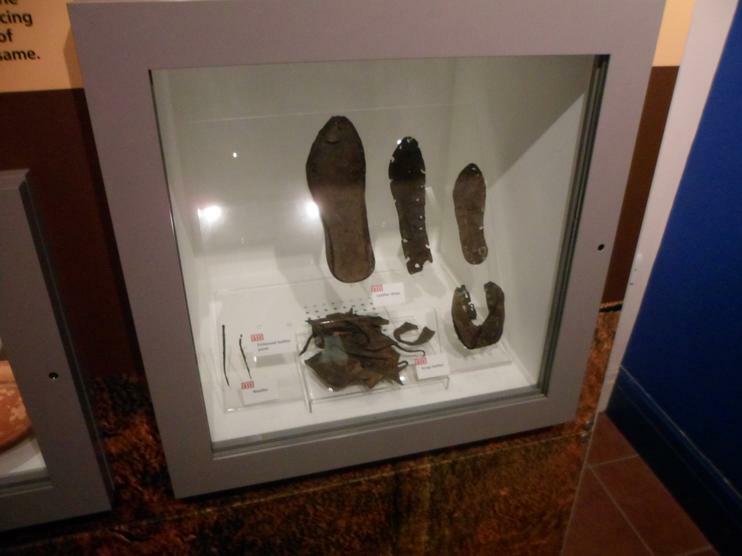 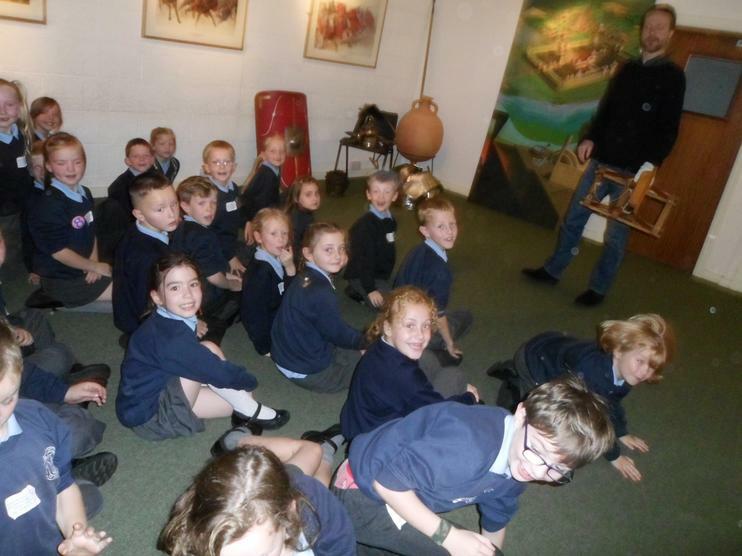 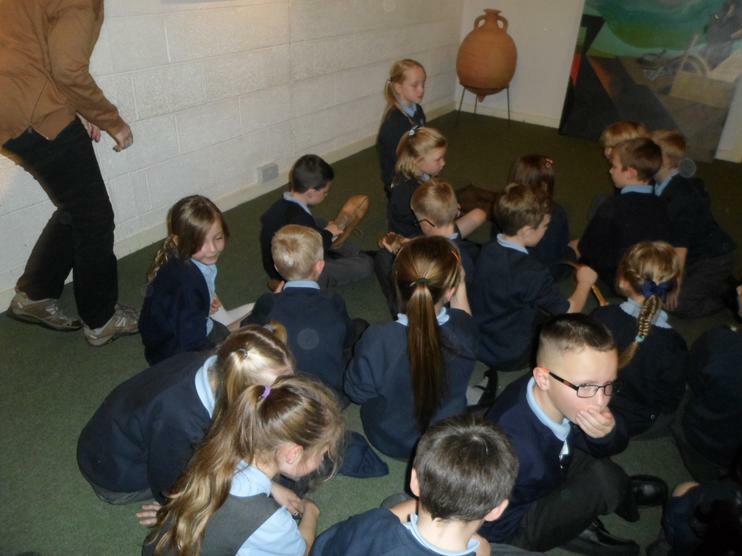 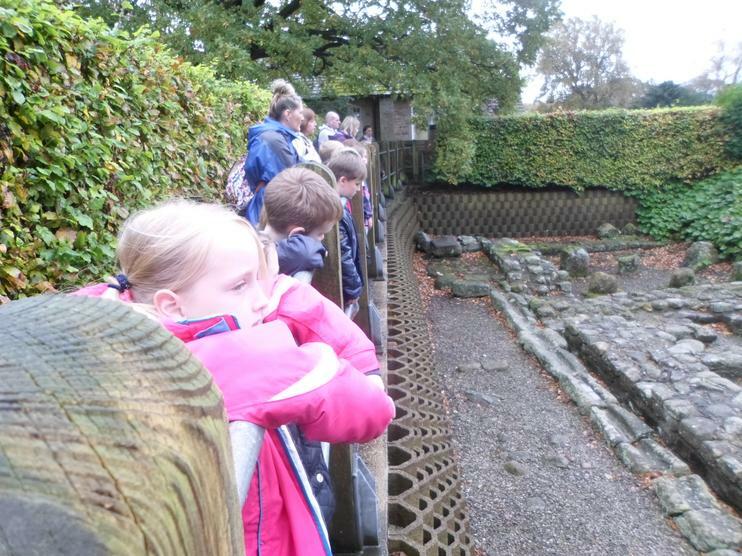 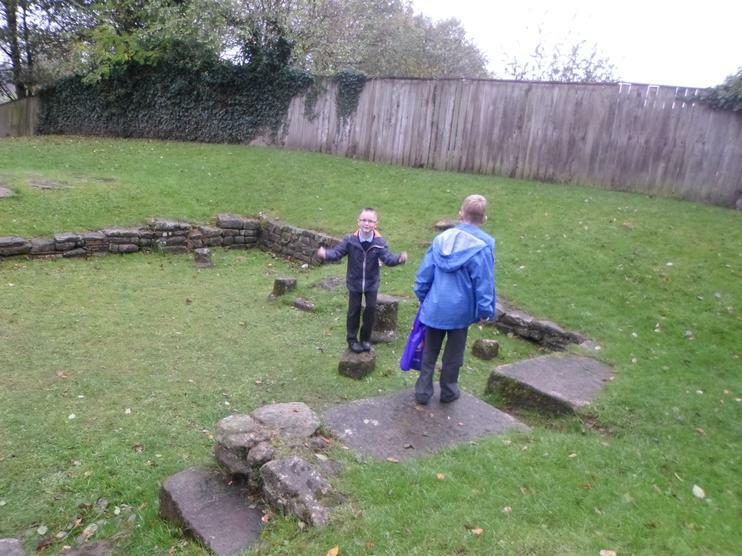 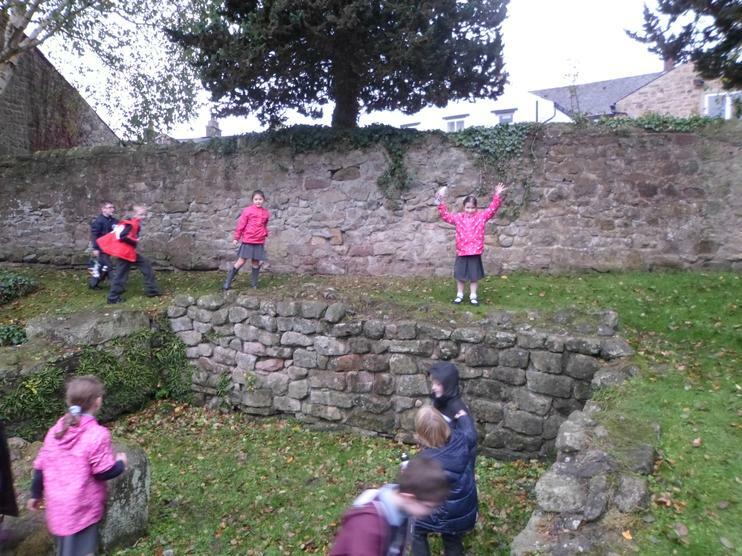 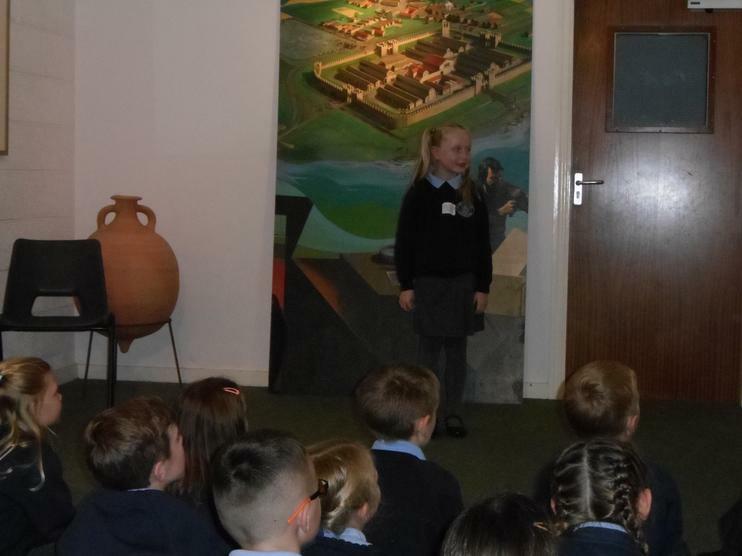 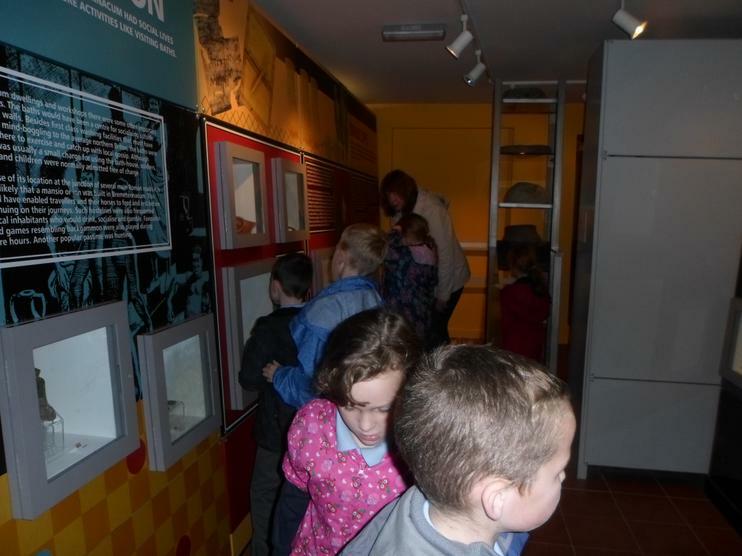 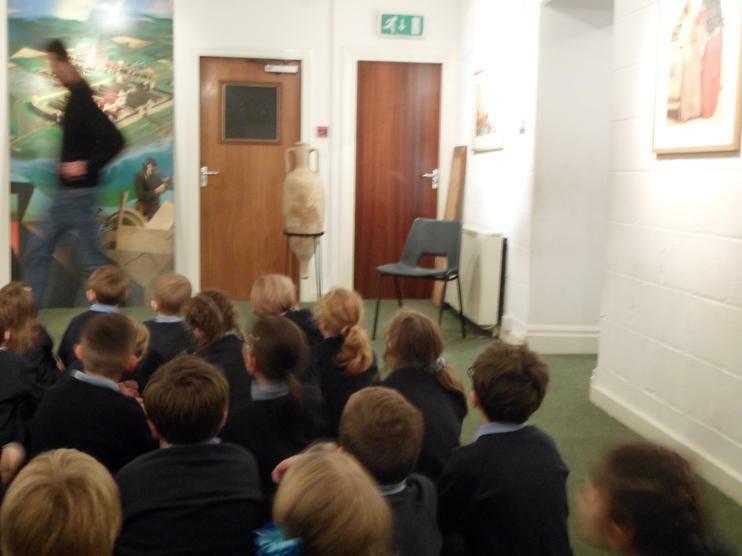 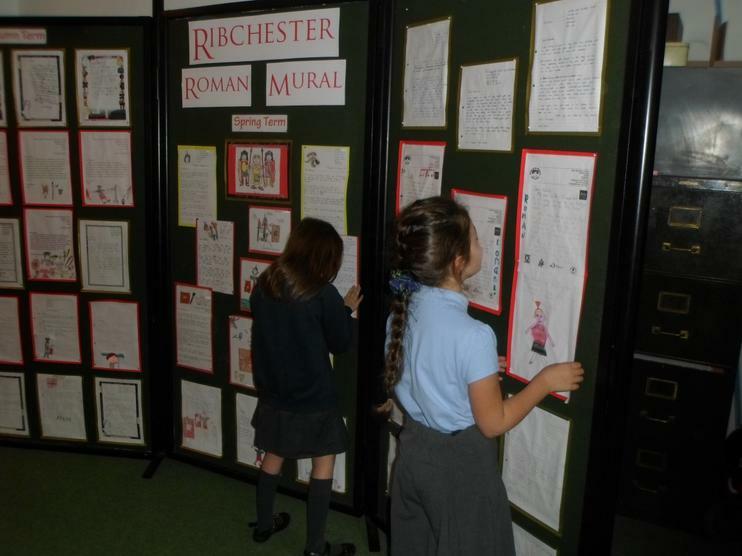 After, we had a look around the museum and then looked at the Roman Fort ruins. 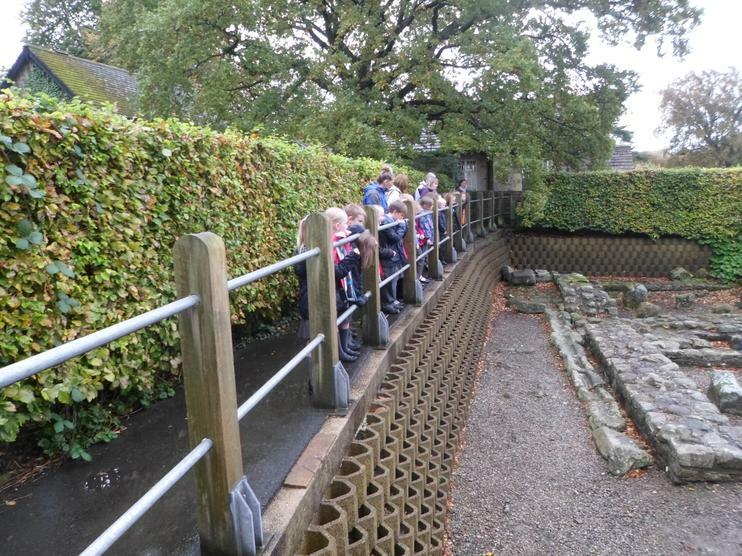 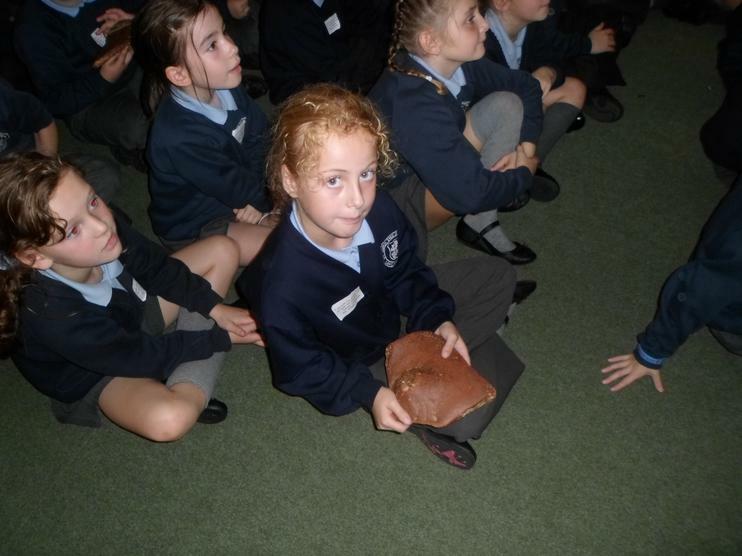 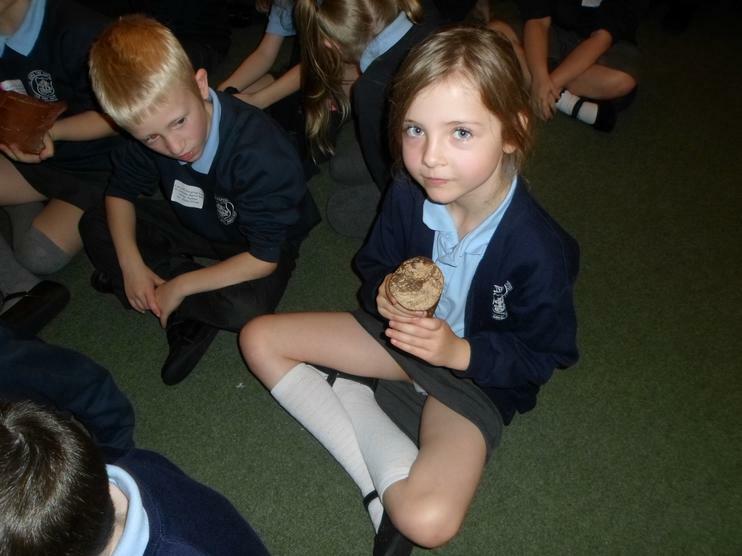 As the weather was a little bit wet, we ate our lunch in the village hall and then explored the Roman Baths on our own. 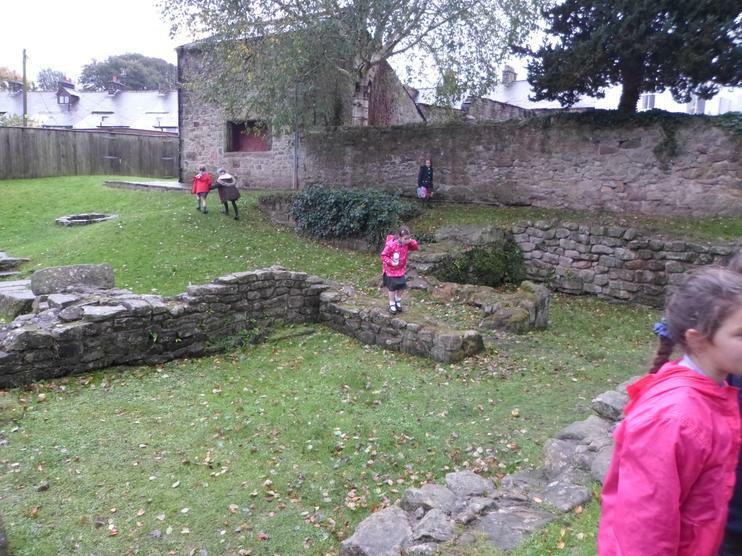 Finally, we had a walk around Ribchester and the weather was fine for 5 minutes on the park. 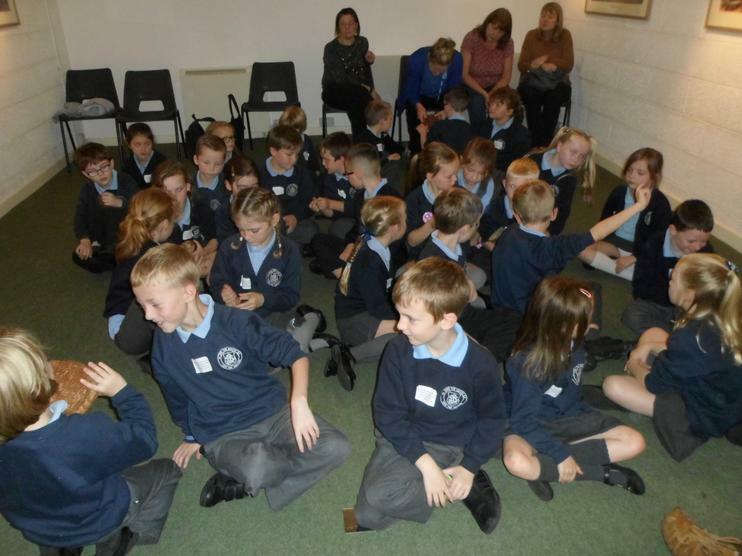 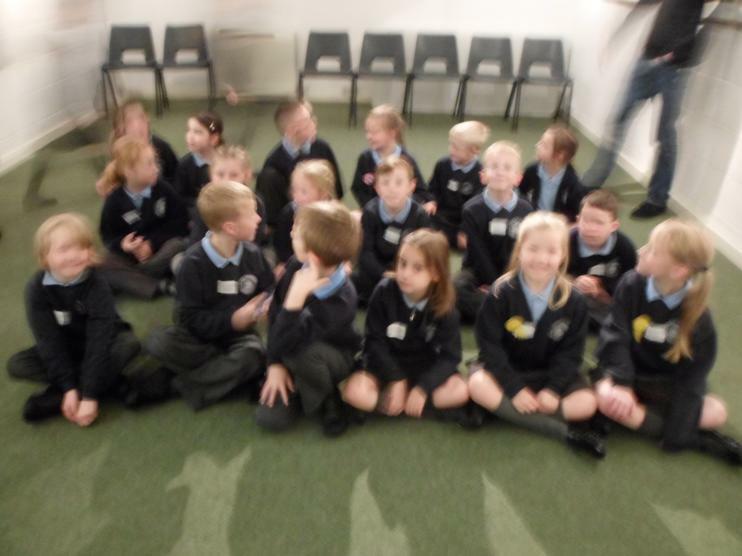 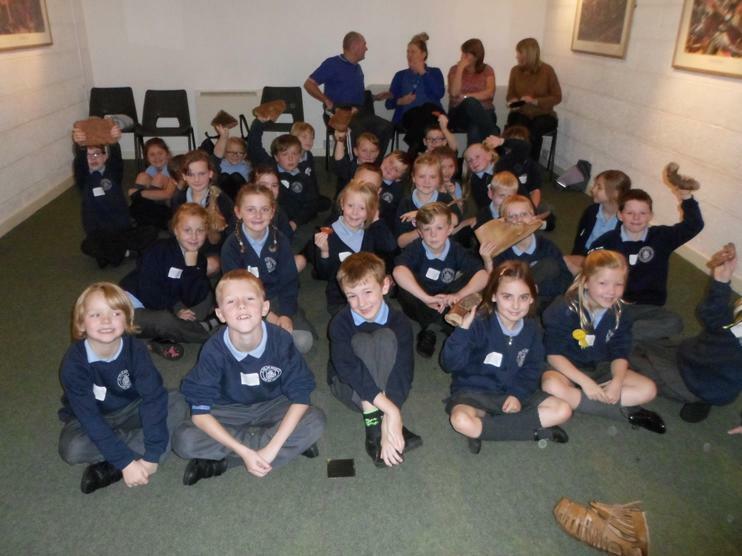 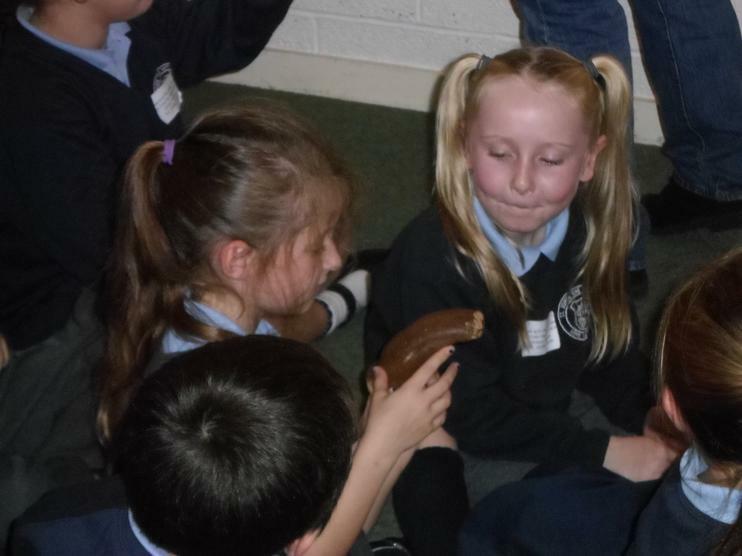 It was a great day and all the children of Year 3 were fantastic!